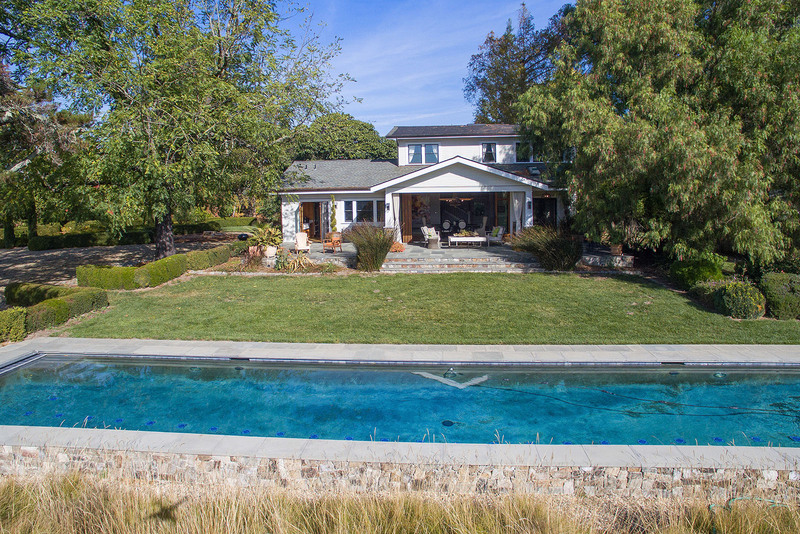 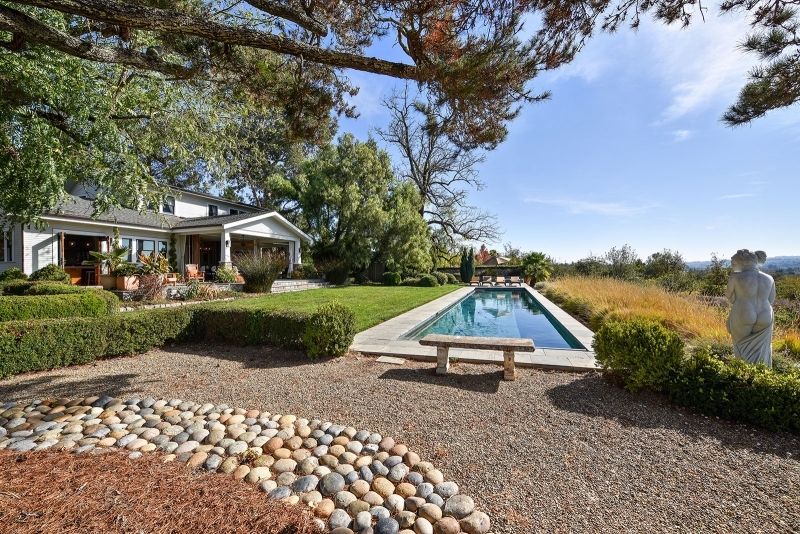 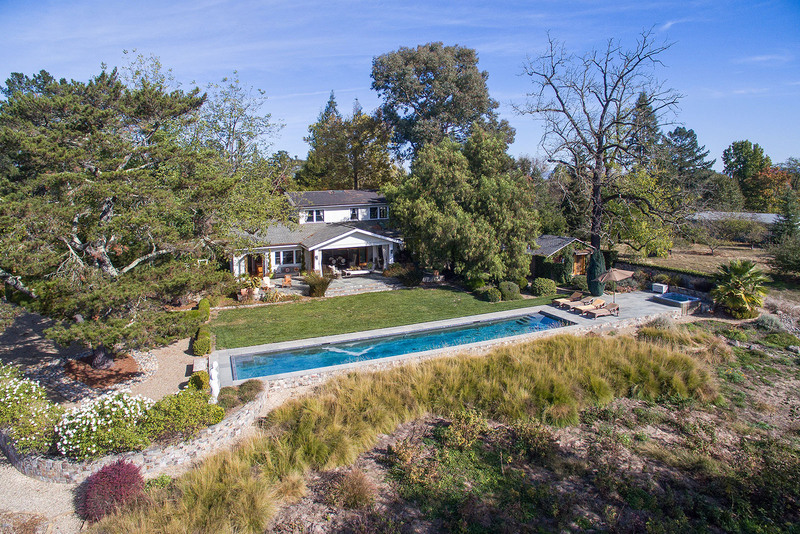 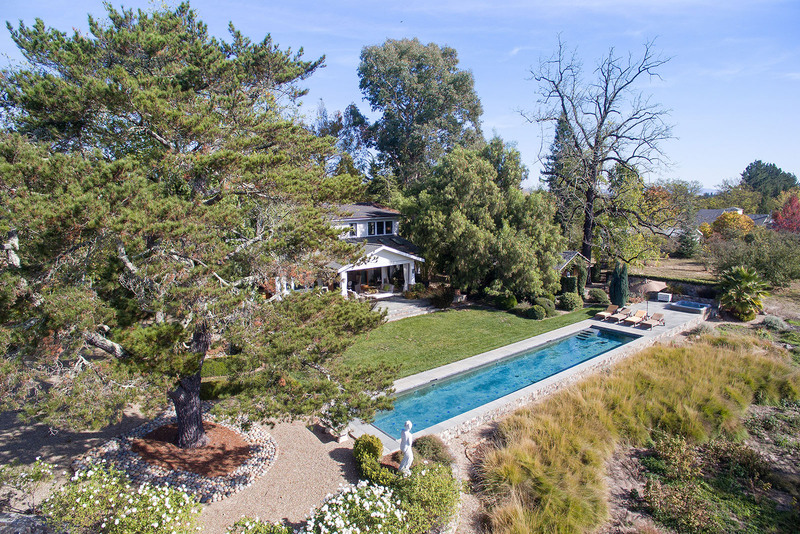 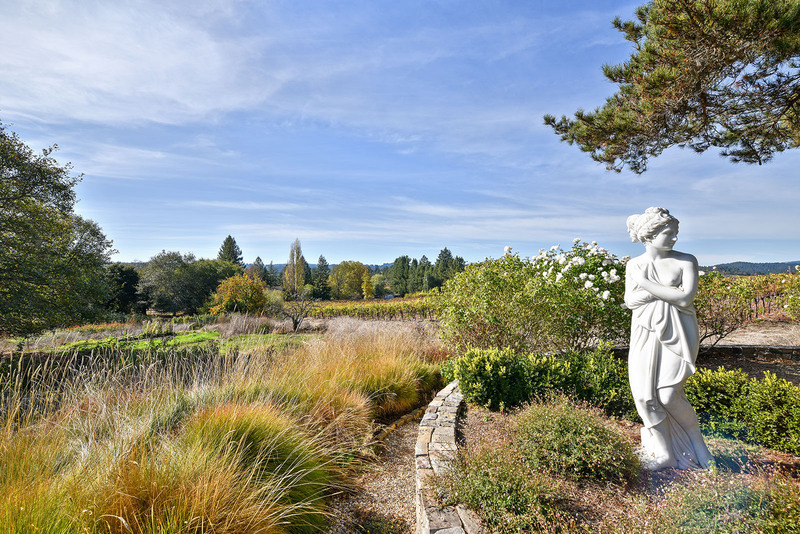 This enchanting vineyard estate in the heart of wine country’s Russian River Valley includes a charming main residence, a swimming pool and pool house, a guesthouse, gardens, a barn, and a majestic two-acre biodynamic vineyard. 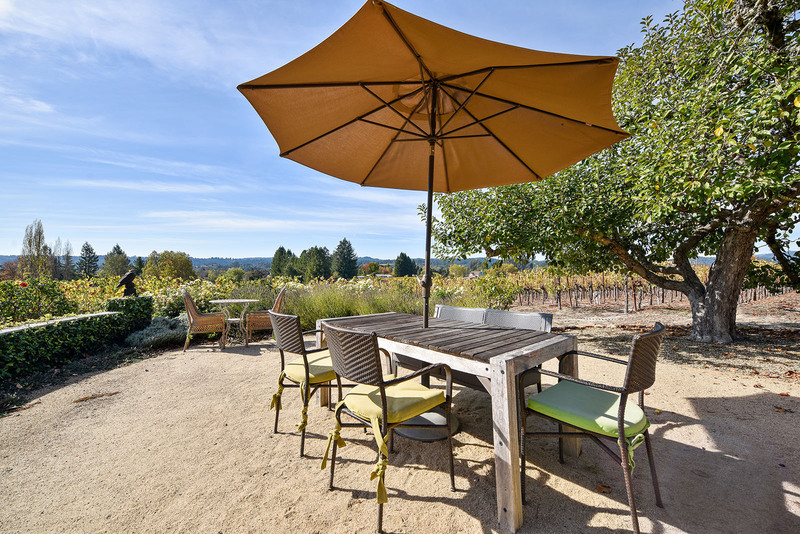 An idyllic turnkey property, it includes every detail—from kitchenware to an approximately 250-bottle wine collection—and is expertly maintained by a staff that comprises a housekeeper, a gardener, and a vineyard manager. 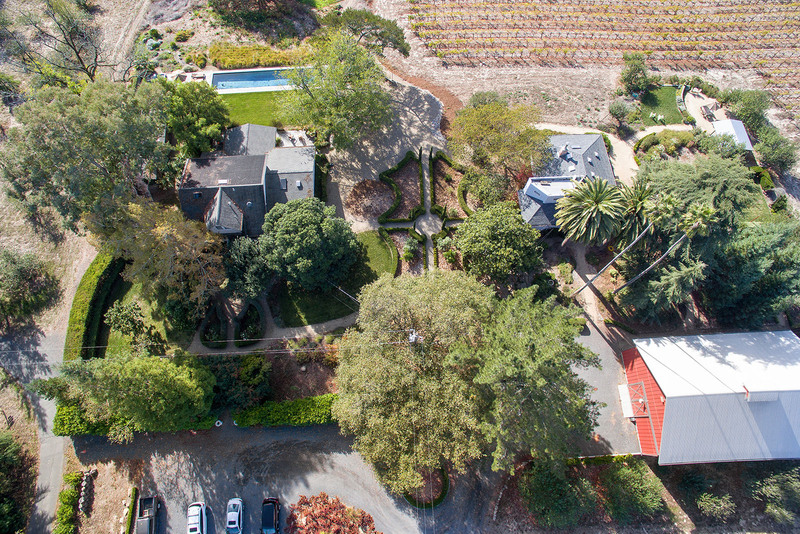 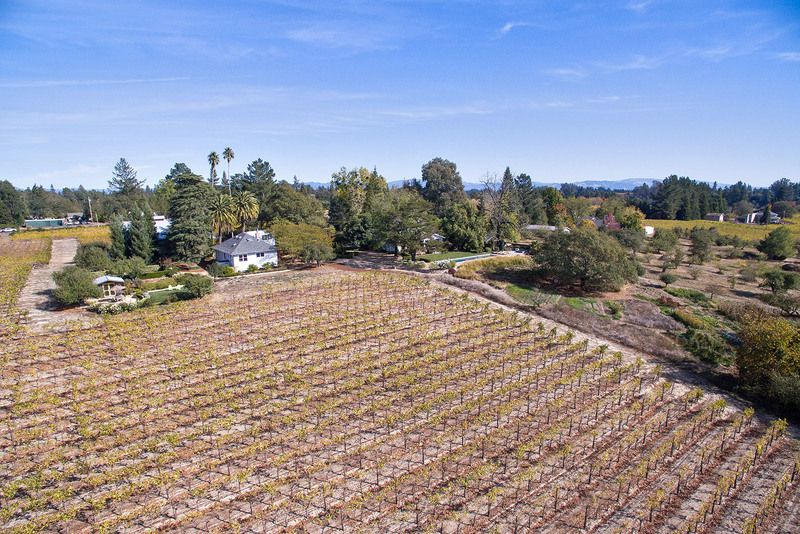 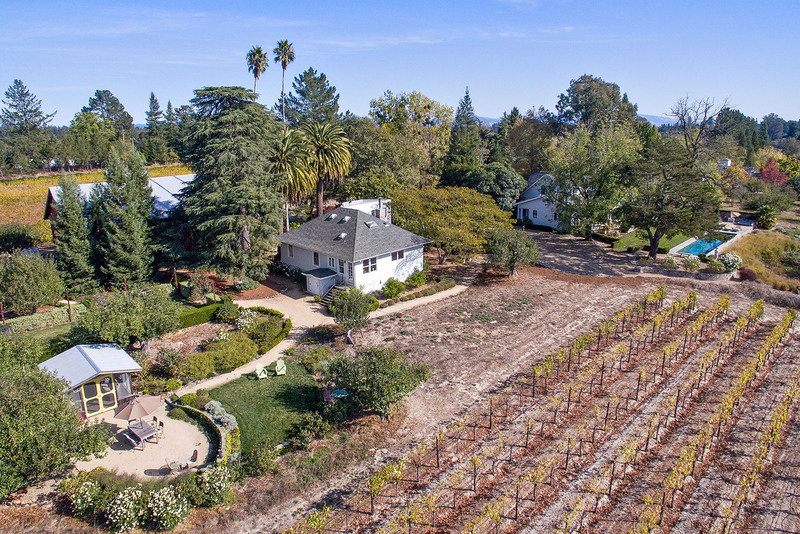 Spanning roughly six acres, the estate is surrounded by some of the world’s most celebrated wineries and has achieved a top Robert Parker rating through its vineyard-designated grapes. 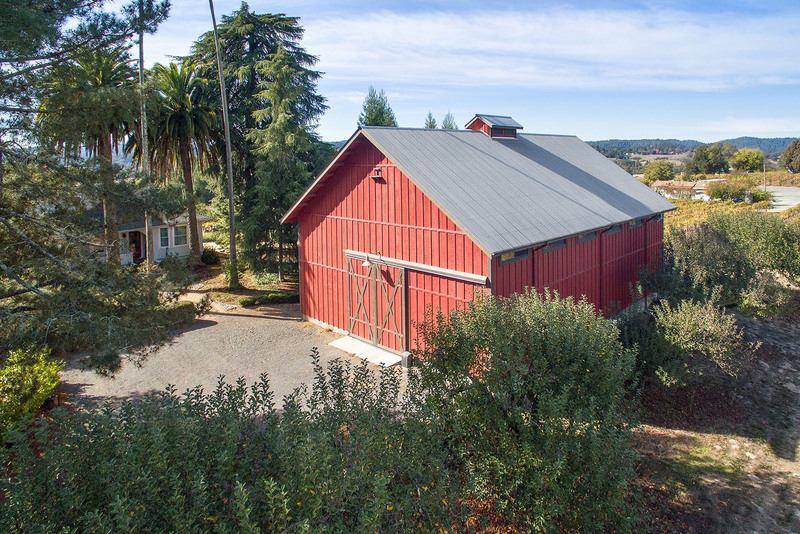 Private gates introduce this breathtaking property, opening to the thriving vineyard, its delightful red barn, and an array of mature trees, shrubs, and other flora. 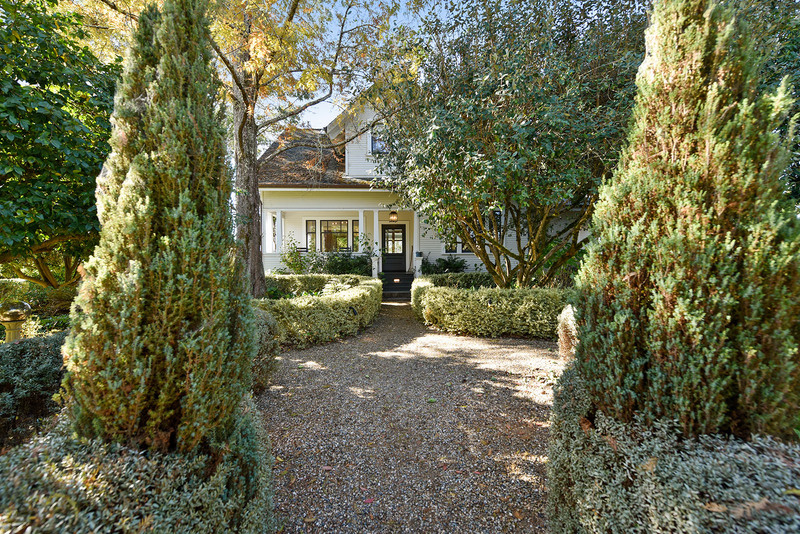 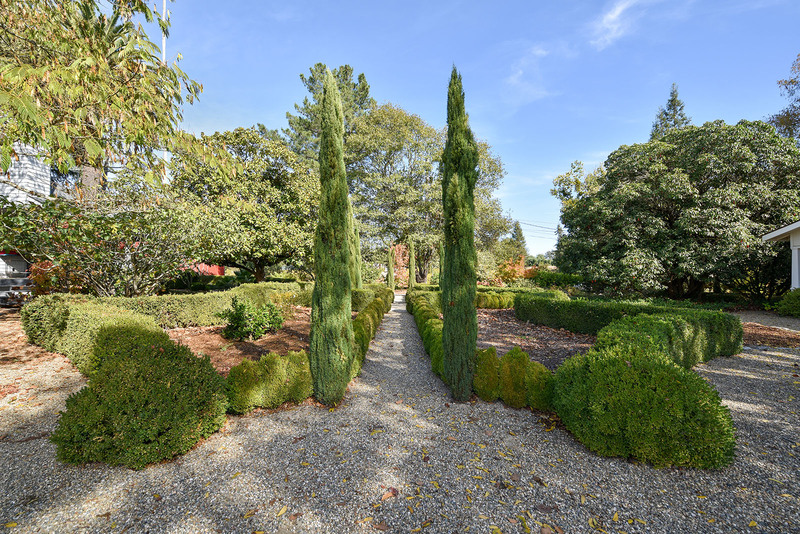 At the bottom of the drive is the recently renovated main residence, which blends modern amenities with stylish spaces for living and entertaining. 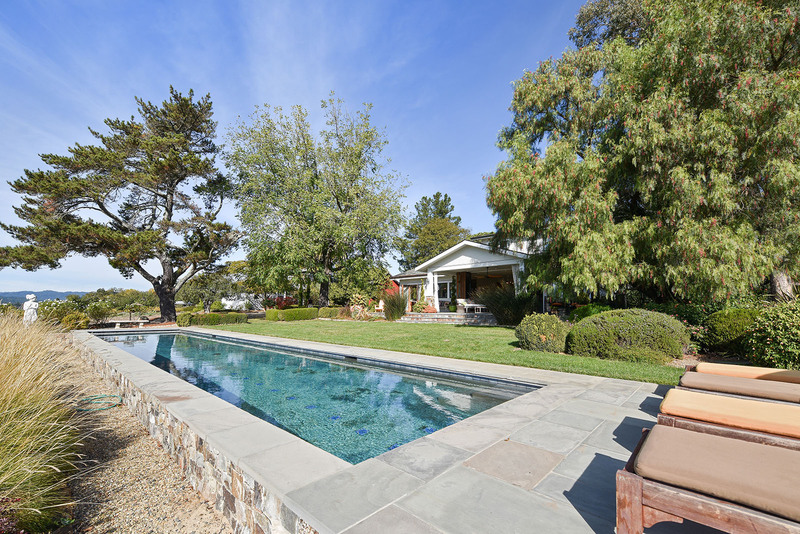 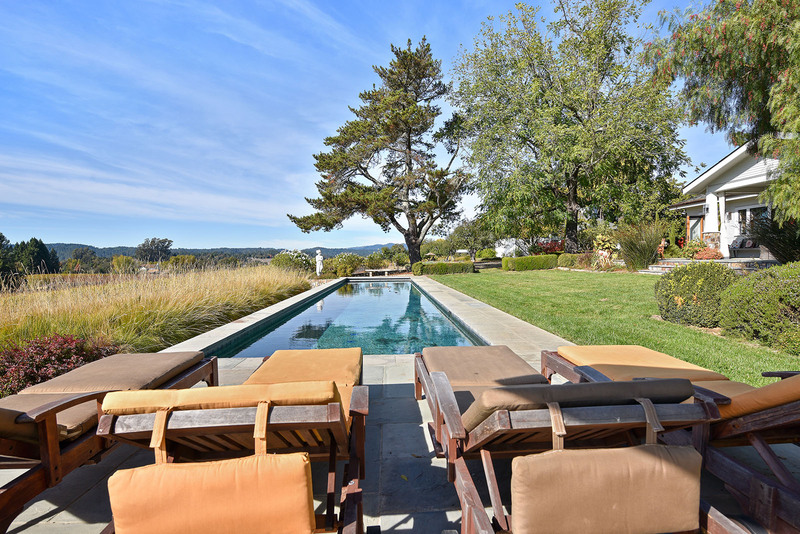 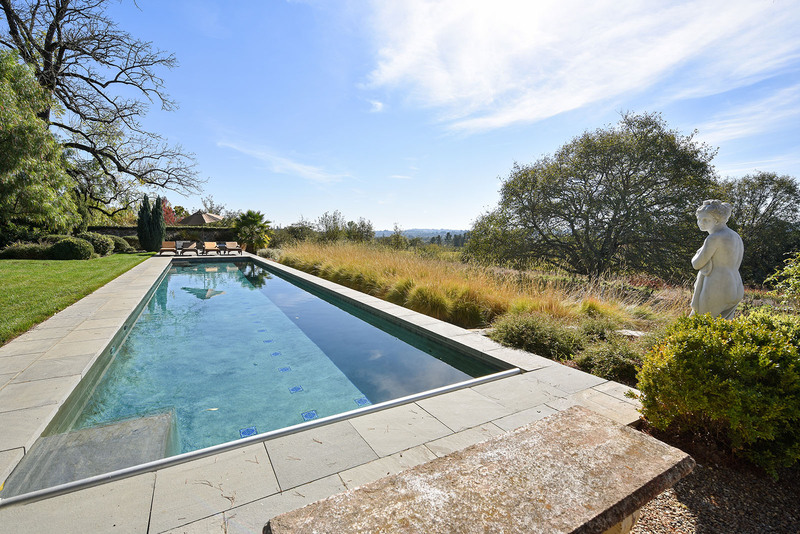 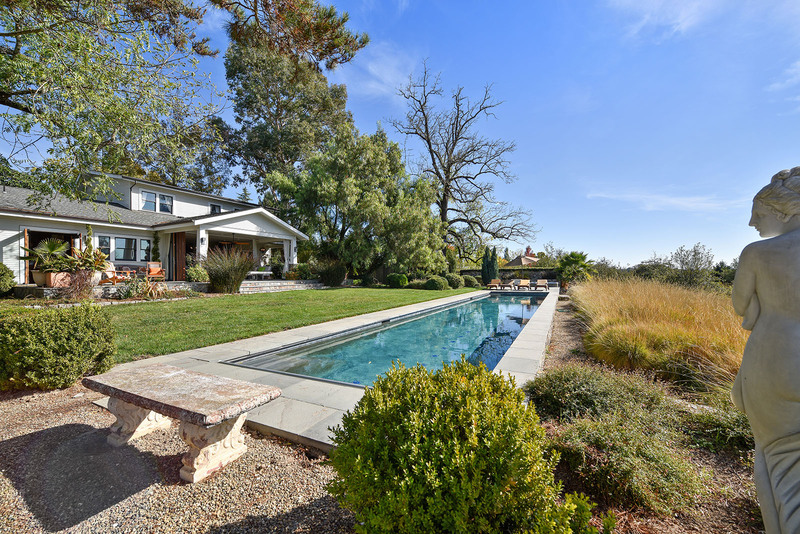 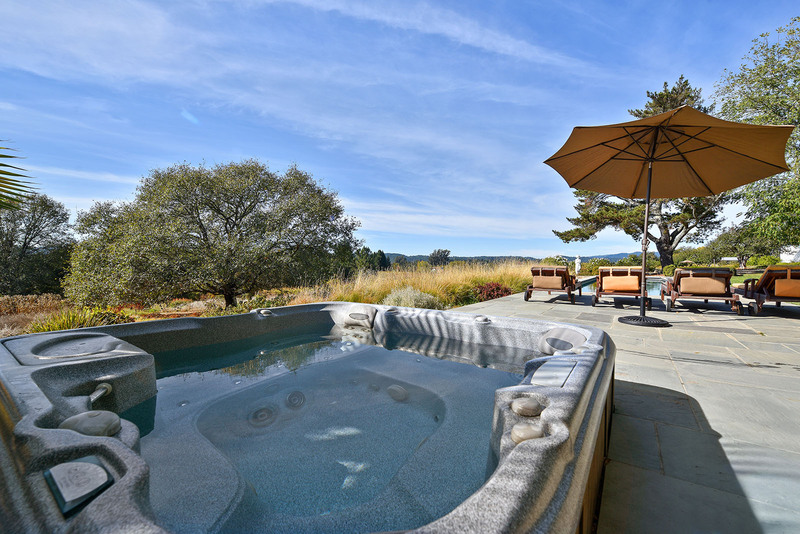 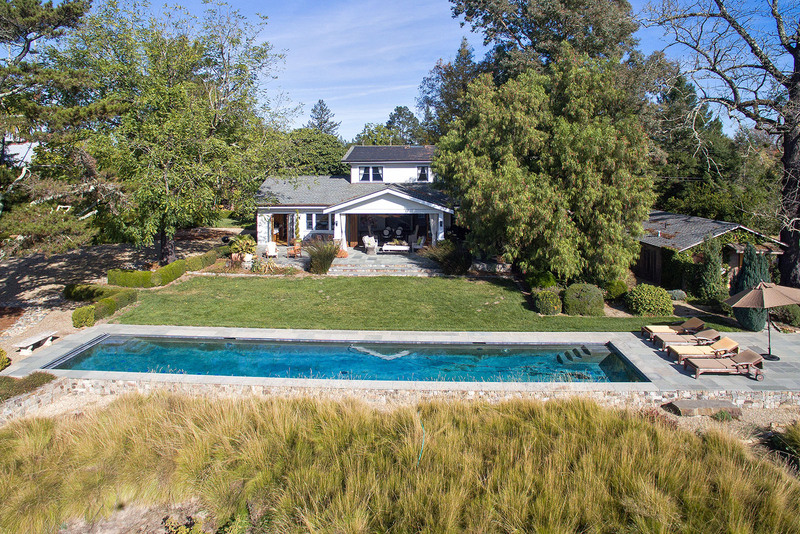 The 60-foot solar-heated lap pool has sweeping westward views across vineyards and is accompanied by a therapeutic whirlpool tub and a pool house. 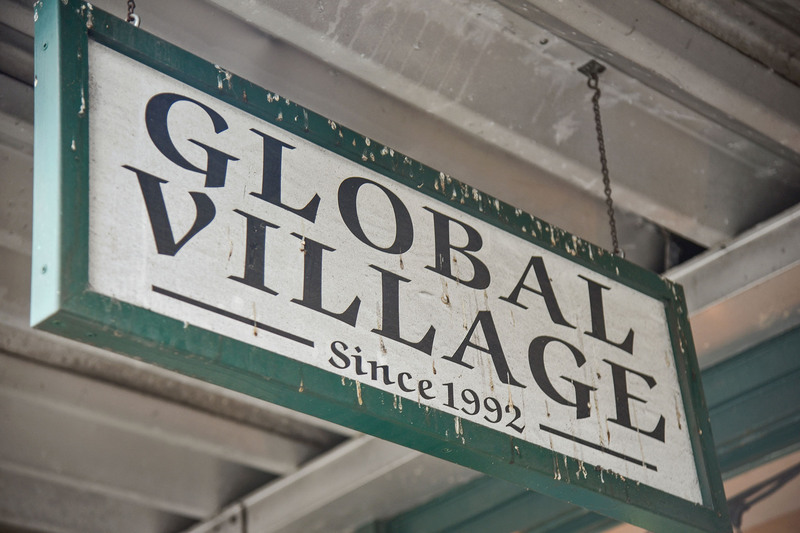 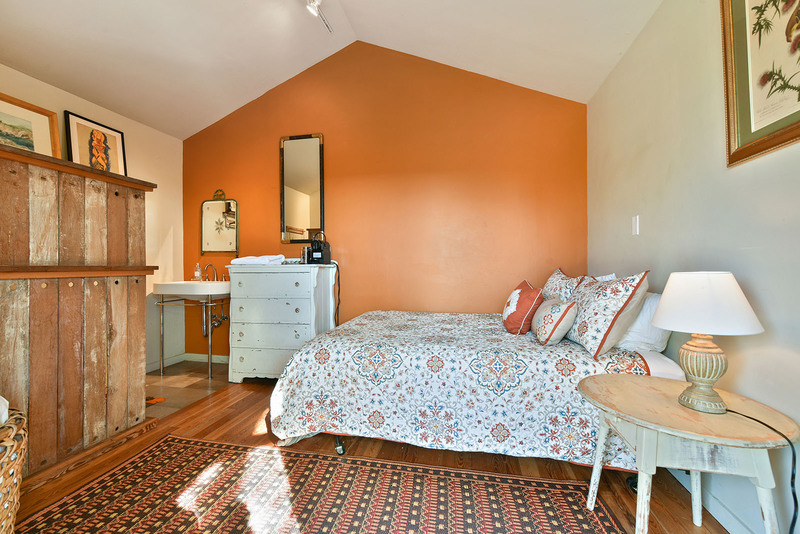 Steps from the main house is a welcoming guesthouse that dates to the 1910s and is perfect for hosting visiting family and friends or for generating revenue. 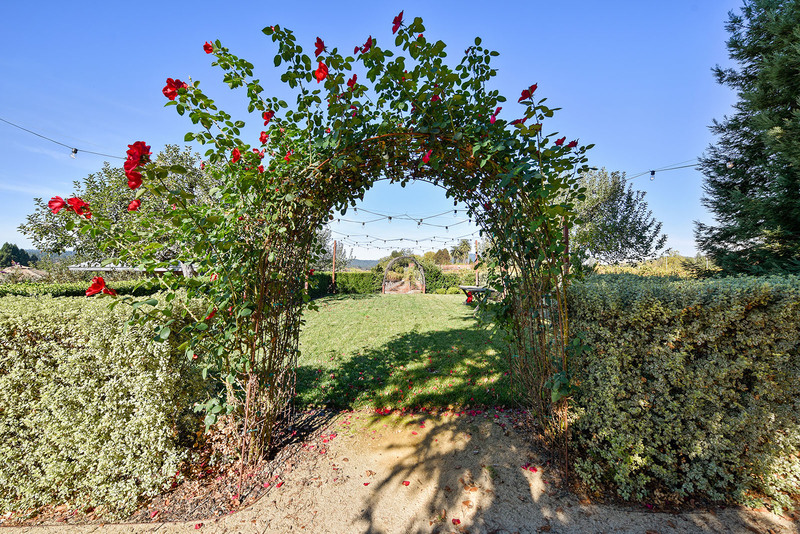 The estate’s lush organic vegetable garden yields a variety of bountiful seasonal crops that supply nearby upscale restaurants. 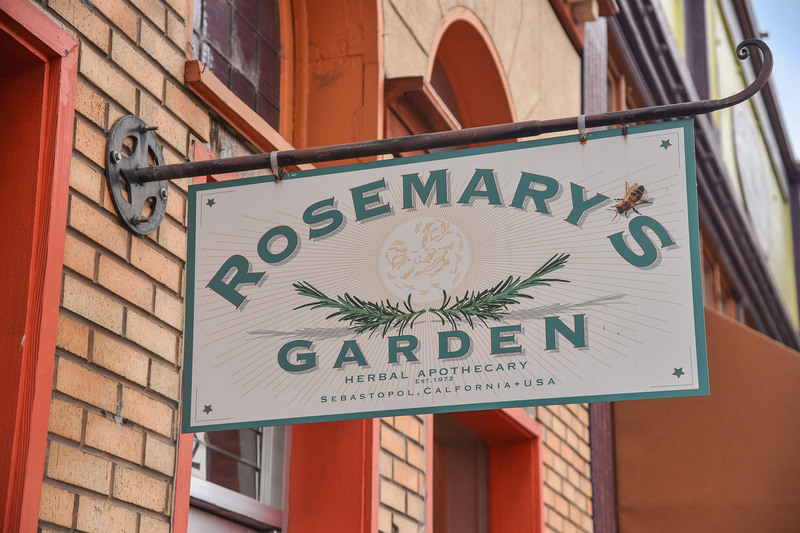 The property also includes more than 800 varietals of flowers, trees, herbs, and plants; and in 2015, portions of the gardens were designated a North American botanical sanctuary by United Plant Savers. 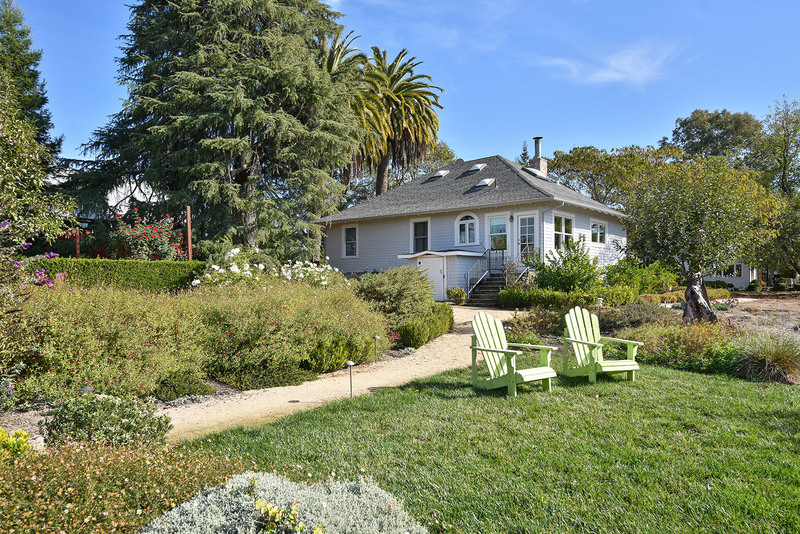 A roadside berm planted with flowering shrubs and decorative native flowers is a well-known local landmark. 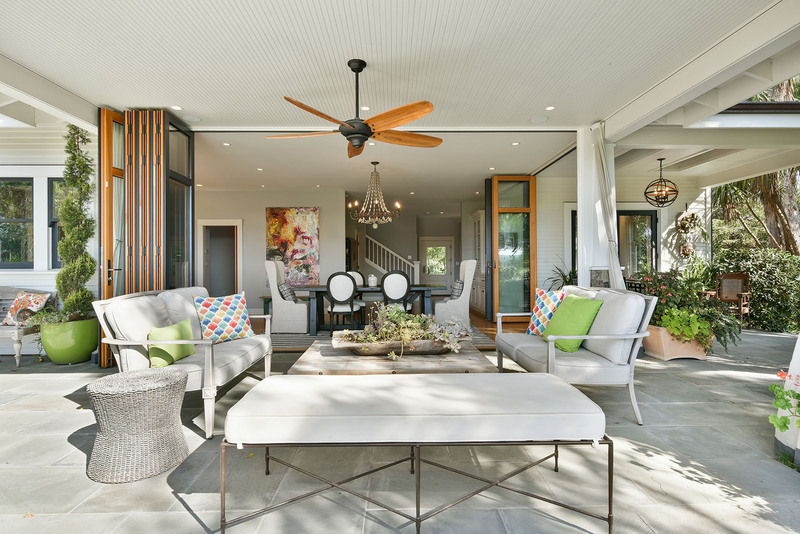 No detail was overlooked in the creation of an elegant modern ambience in this classic country residence, from one-of-a-kind accents to stylish contemporary light fixtures. 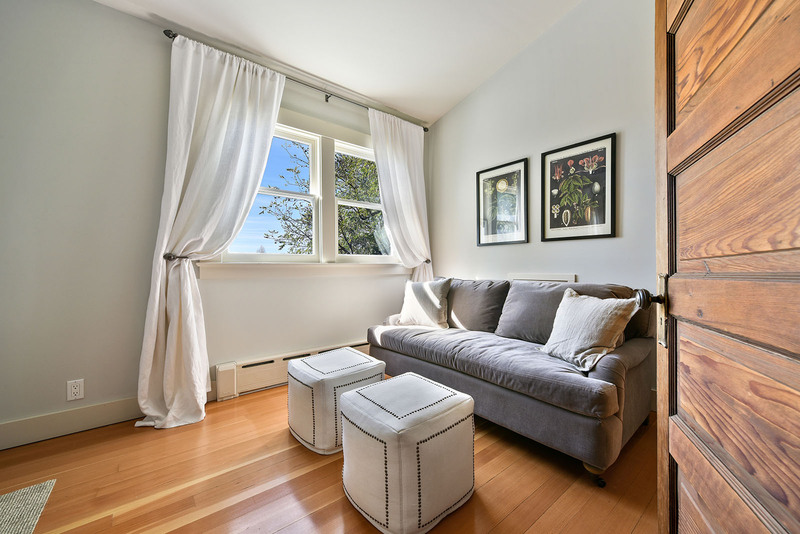 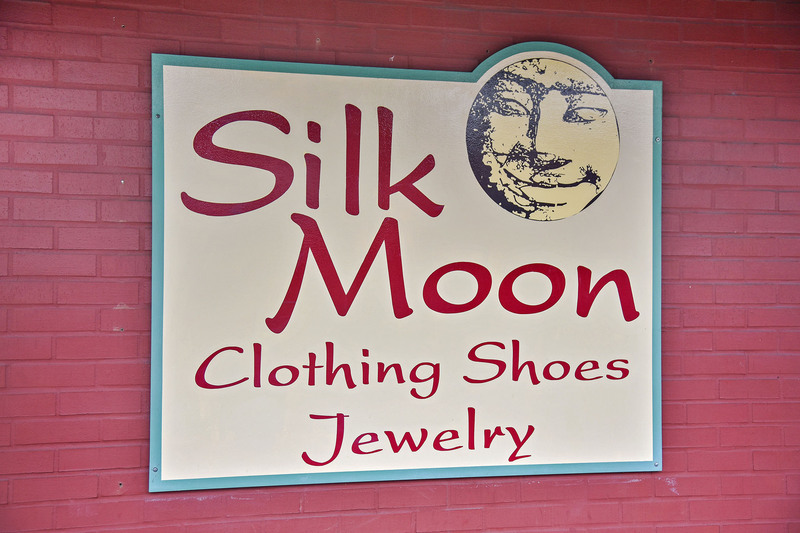 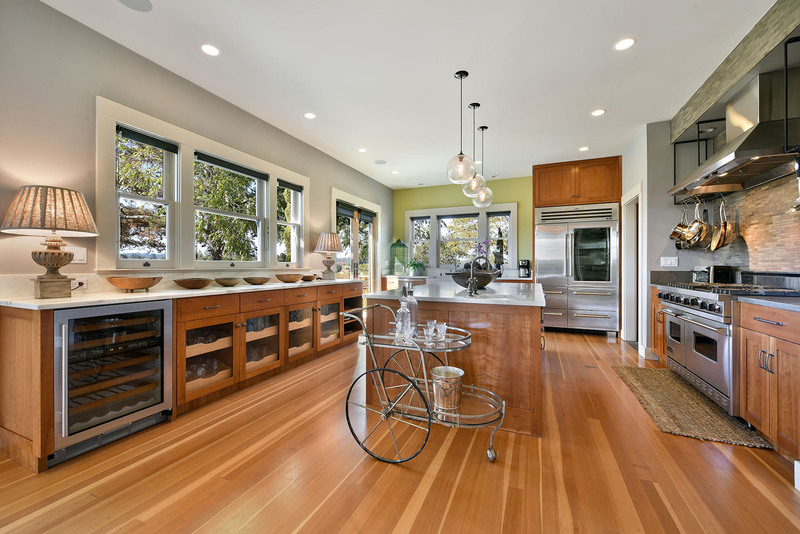 The first floor features beautiful hardwood floors, a handsome dining room, a living room, a salon, an office, a mudroom with a contemporary custom stone sink and countertop, and a guest bedroom and bath. 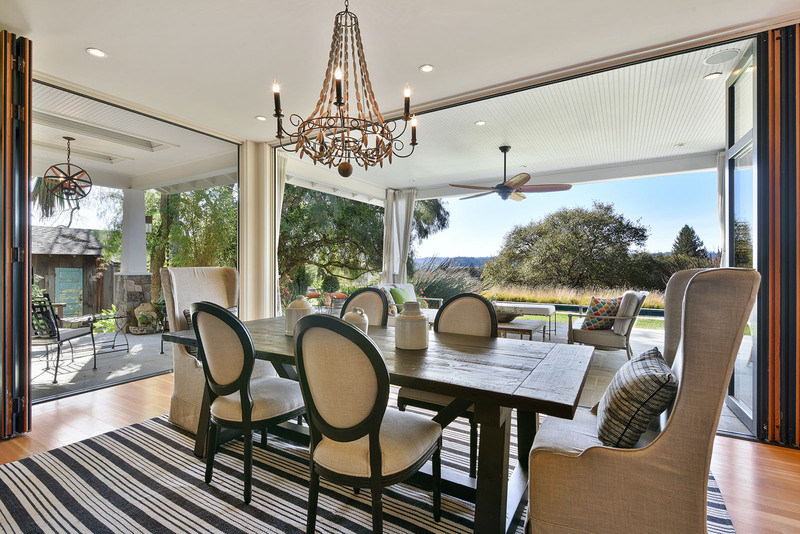 Through floor-to-ceiling folding Nano doors, the dining room extends naturally to a peaceful patio overlooking the pool and gardens. 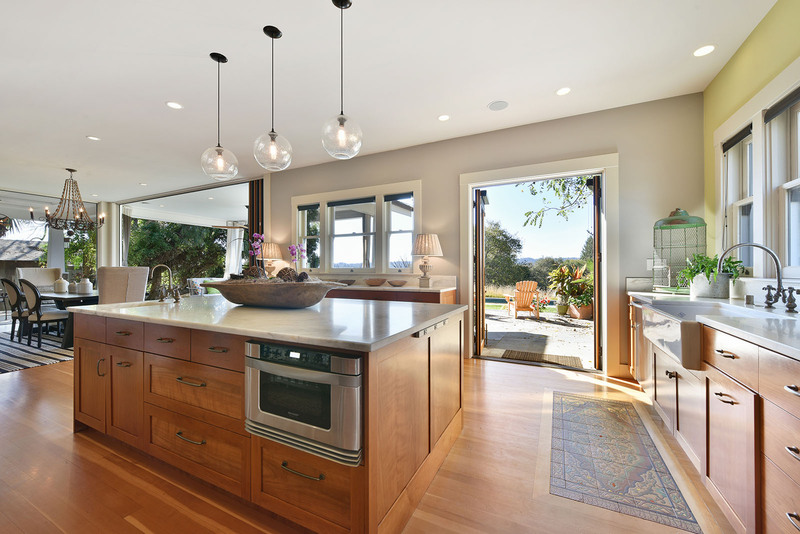 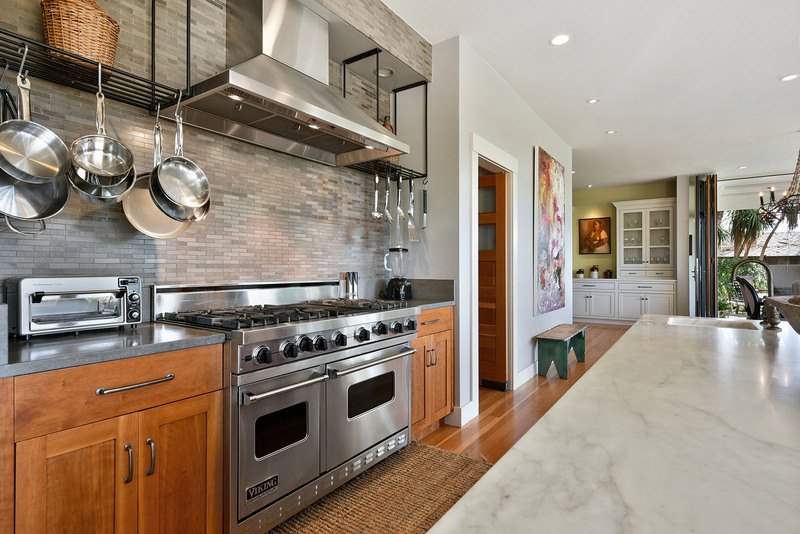 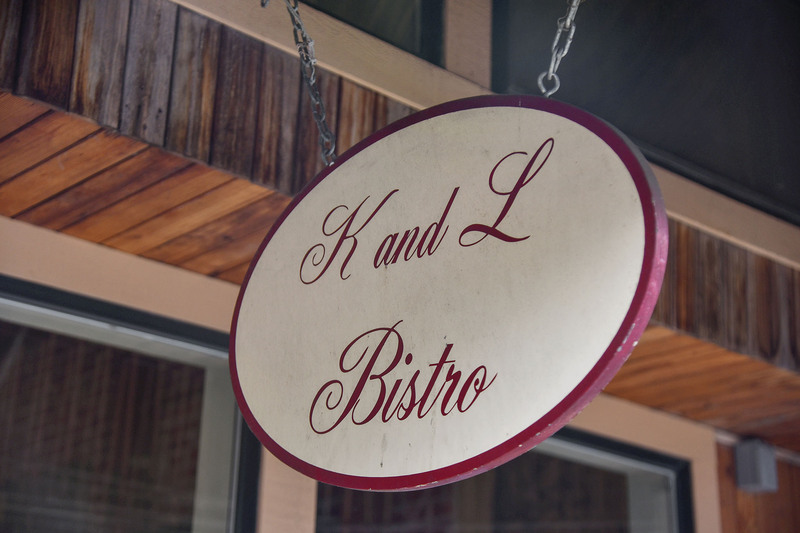 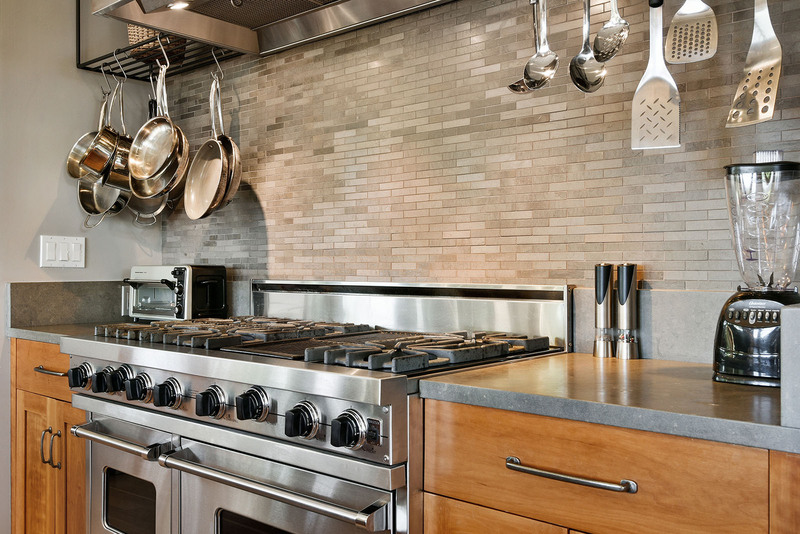 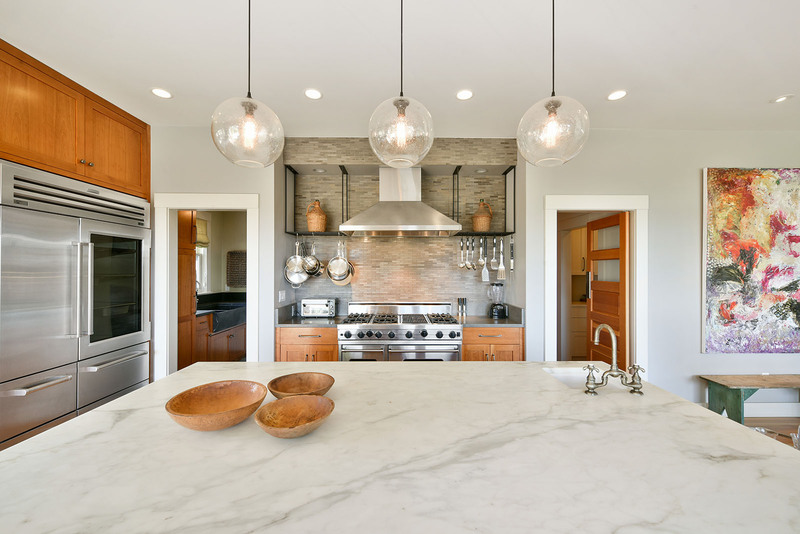 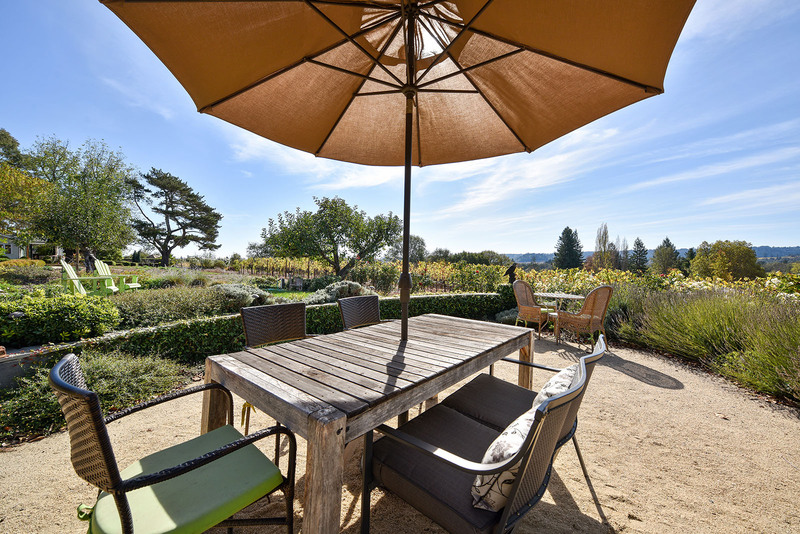 A professional-caliber chef’s kitchen is perfect for preparing a farm-to-table gourmet meal using vegetables and fruits from the property’s gardens and orchard. 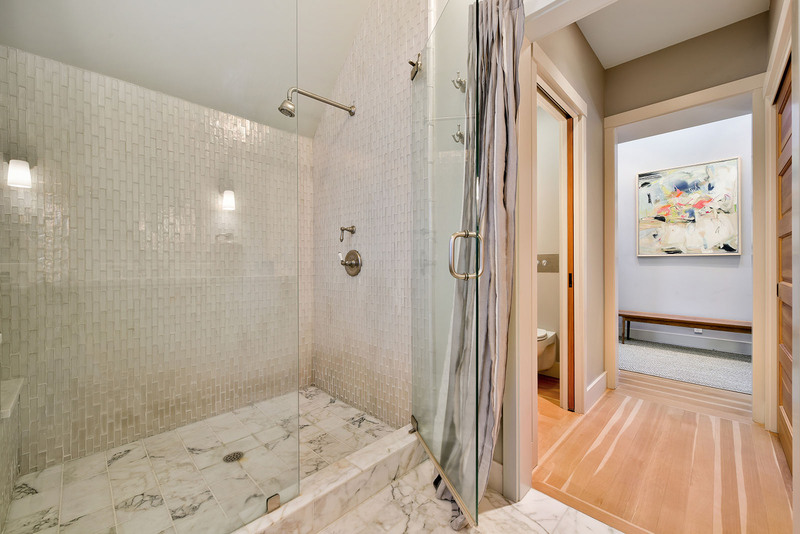 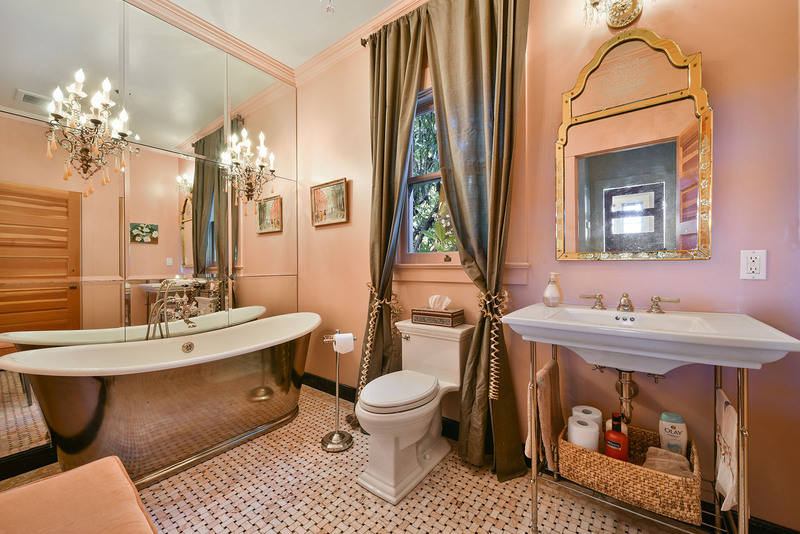 Two bedrooms and a bath with a glass-enclosed rain shower are located on the upper level. 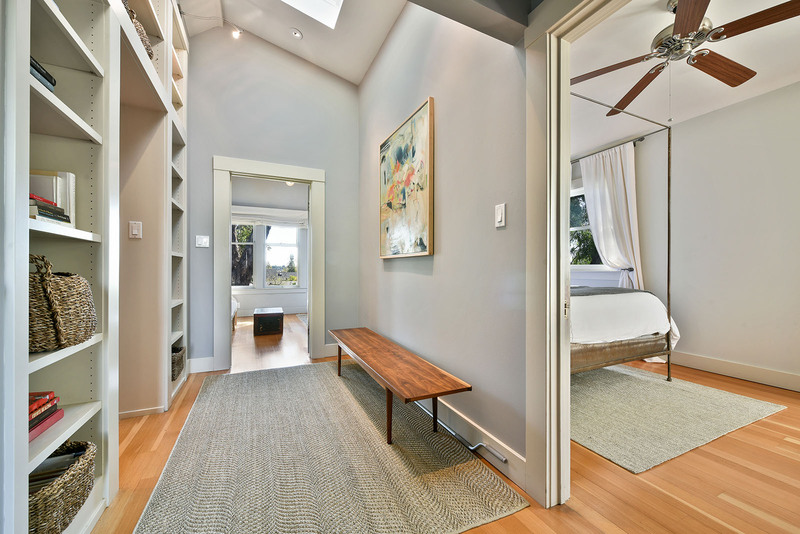 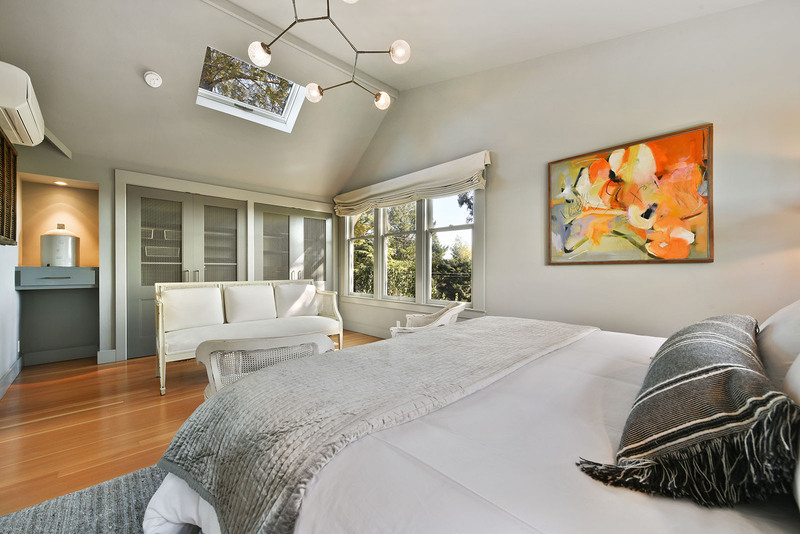 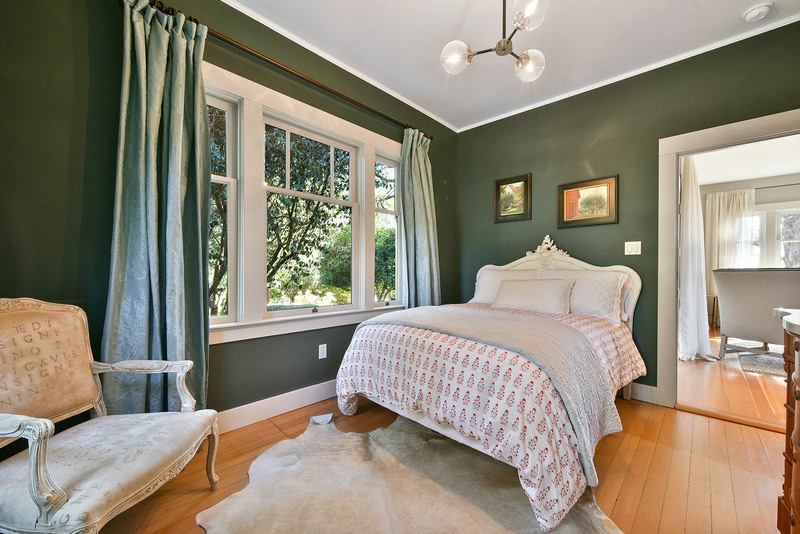 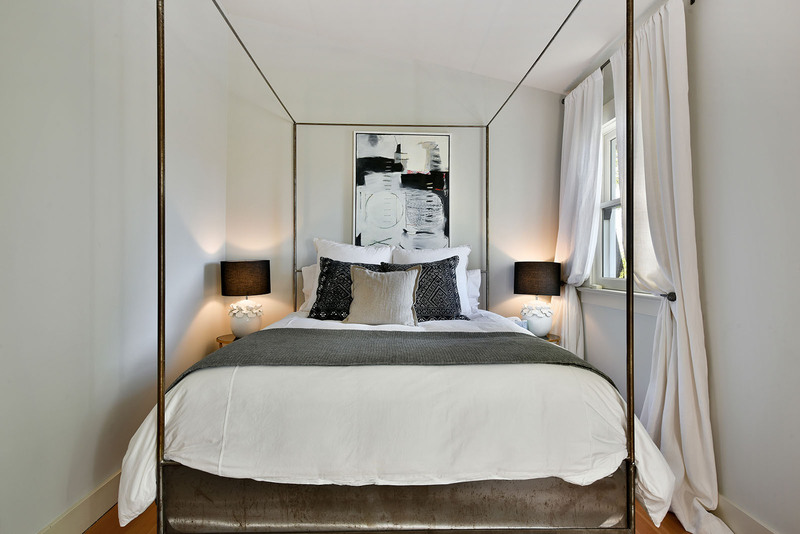 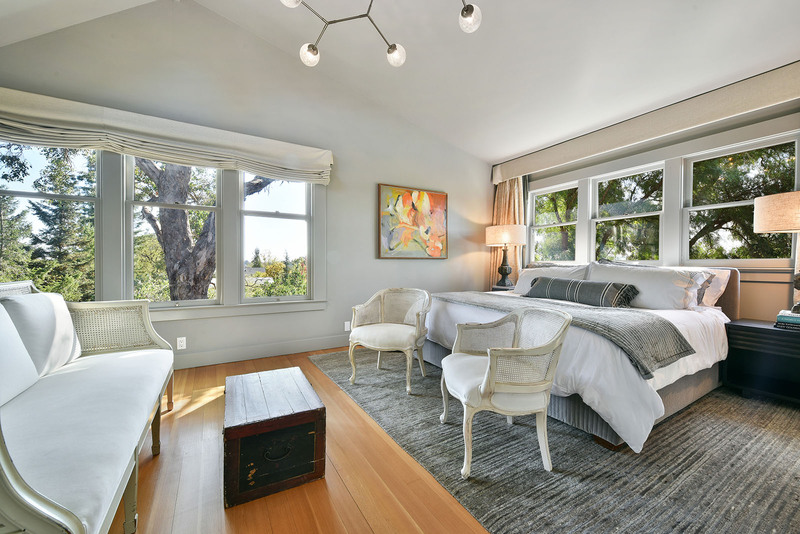 The master bedroom has a high pitched ceiling with a skylight and oversized windows overlooking the manicured grounds. 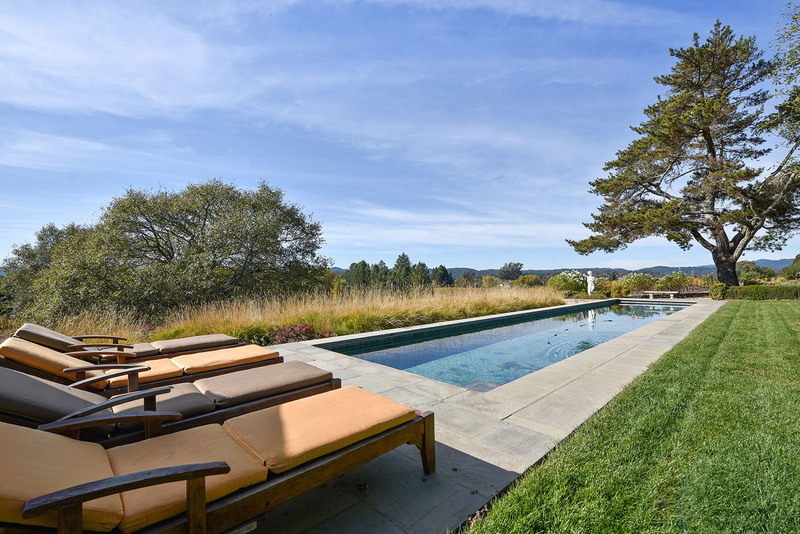 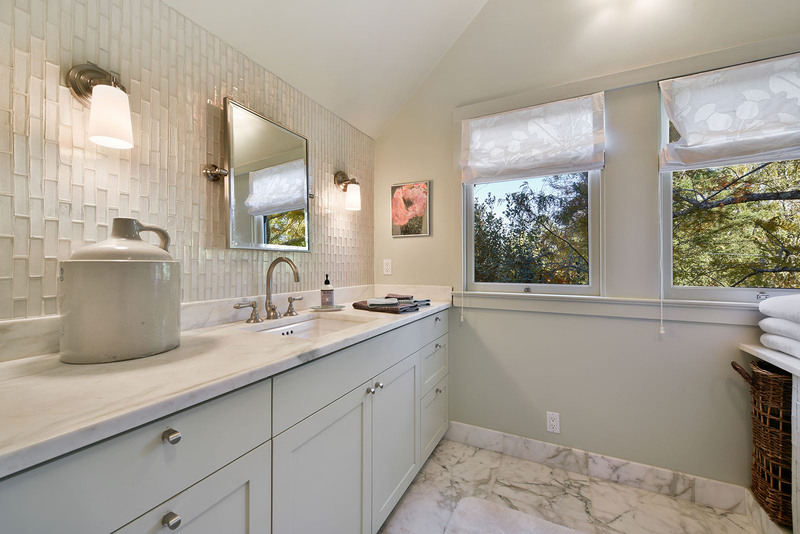 The pool house includes a guest suite, a half bath, and a refreshing outdoor shower. 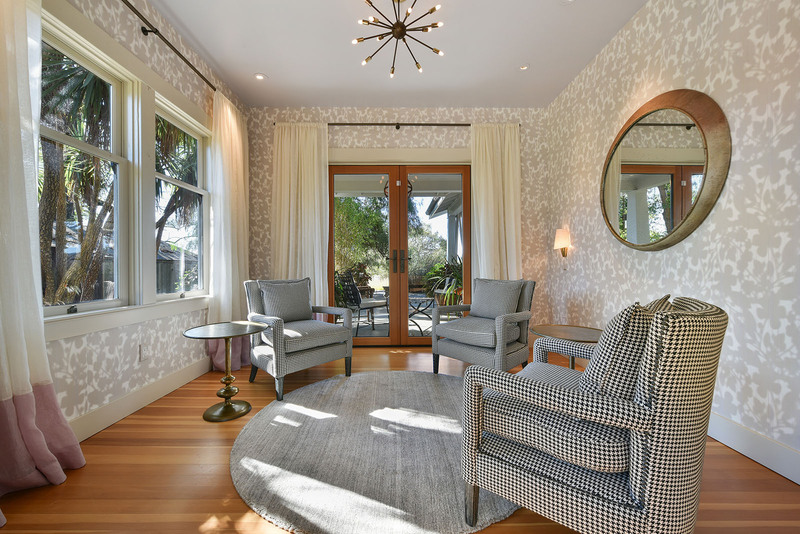 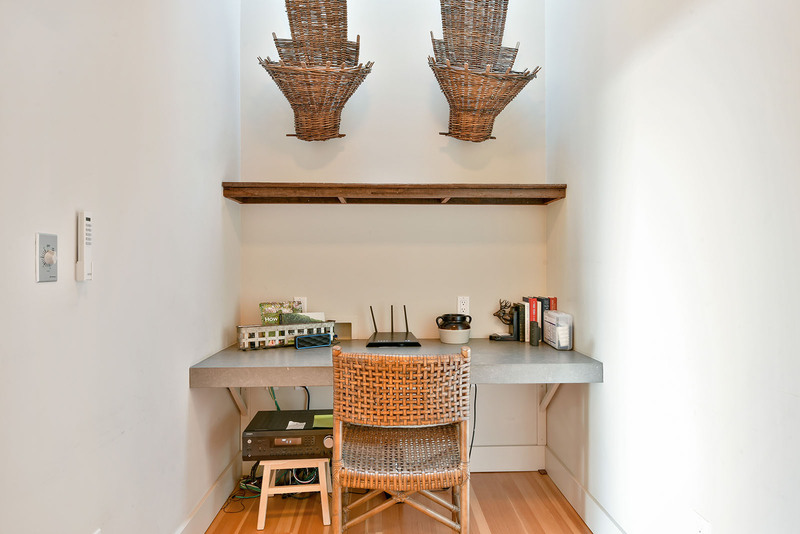 Originally a farmhouse dating to the 1910s, the guest cottage has been recently remodeled to combine the charm and style of a bygone era with desirable modern conveniences. 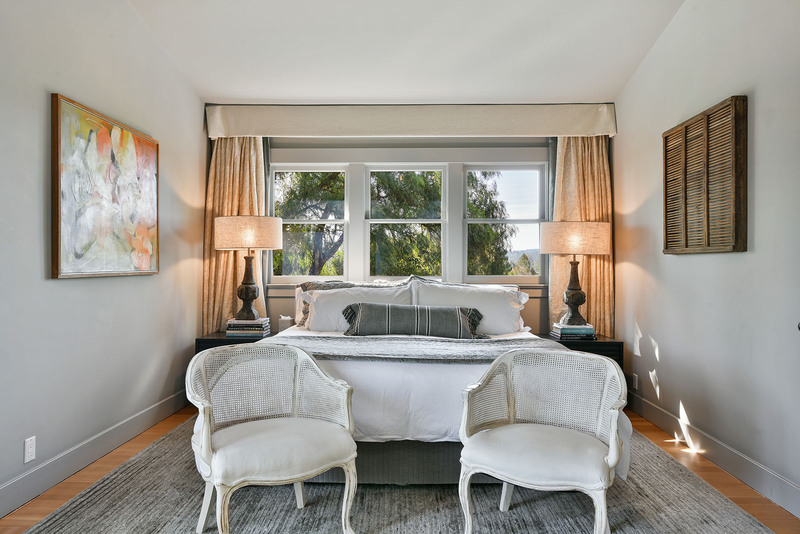 Contributing to the comfortable classic ambience are arched doorways, a gas fireplace, sunny rooms with skylights, and gorgeous views of the gardens and vineyards from every window. 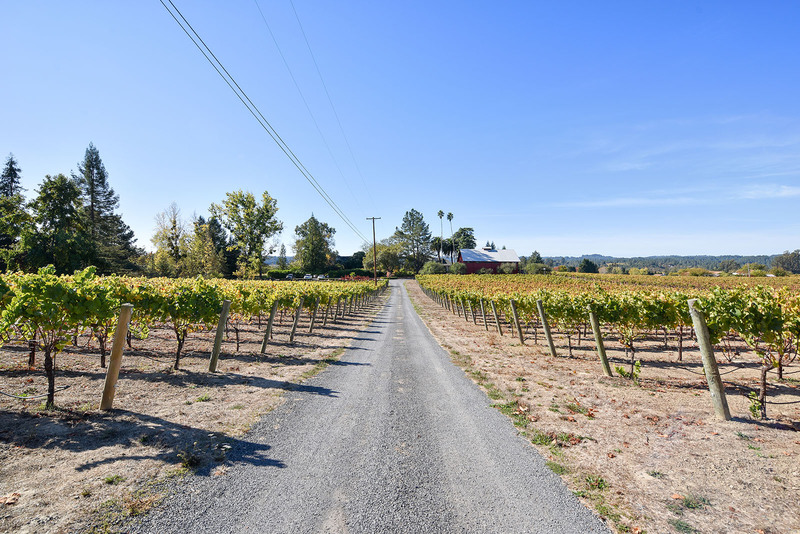 The home offers two bedrooms, a full bath, an inviting kitchen overlooking the vineyard, and a wraparound porch for appreciating the serene scenery. 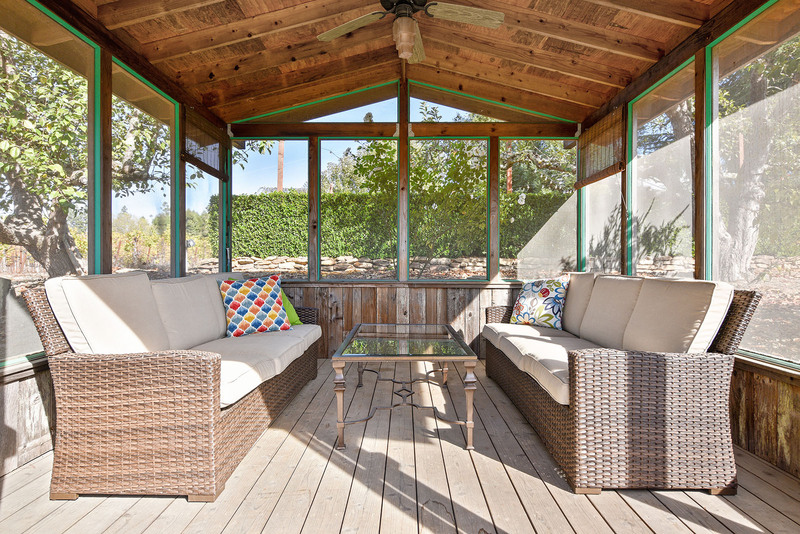 A loggia located in the garden is perfect for both napping and alfresco entertaining. 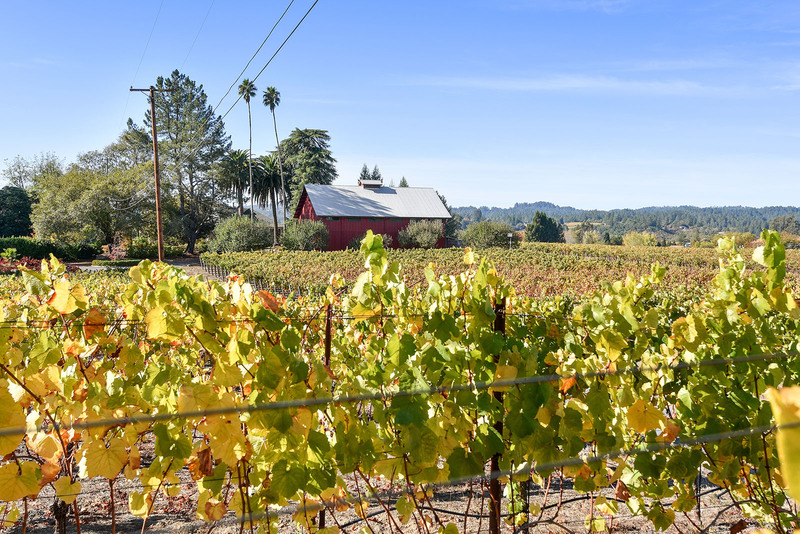 The farm’s two-acre biodynamic vineyard is surrounded by the Kistler, Merry Edwards, Dutton-Goldfield, Paul Hobbs, Emeritus, Dehlinger, and Iron Horse wineries and vineyards, creating an iconic vista. 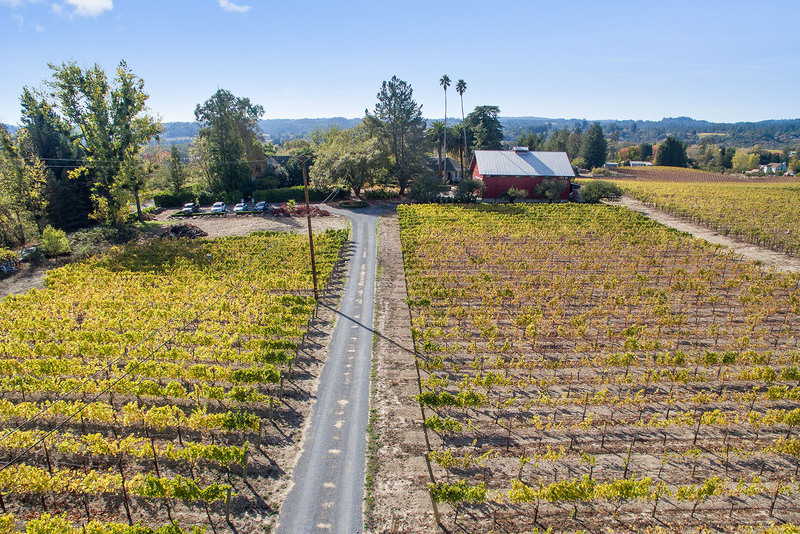 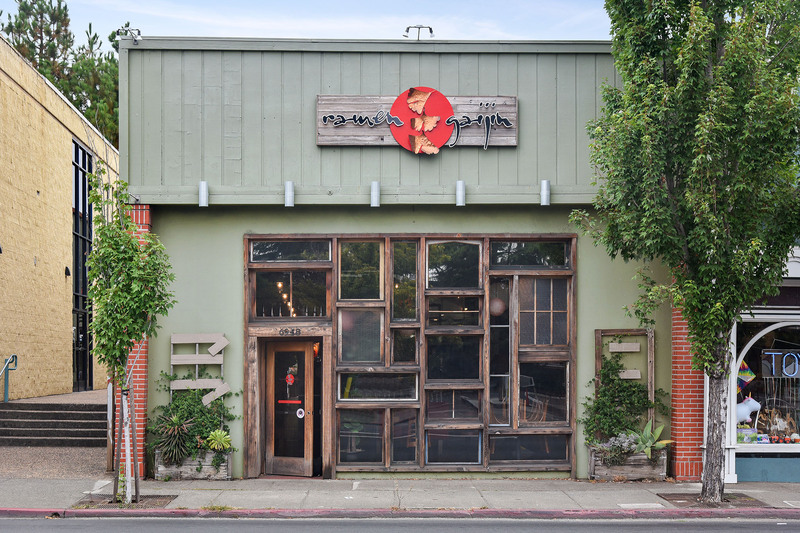 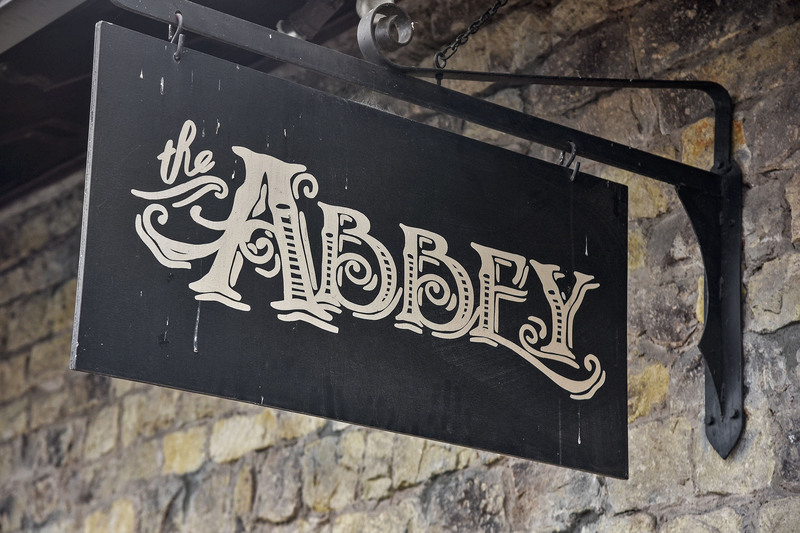 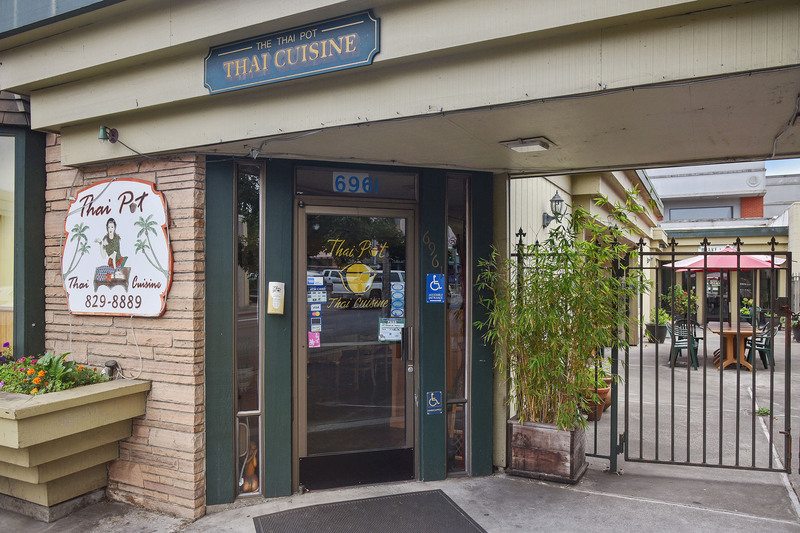 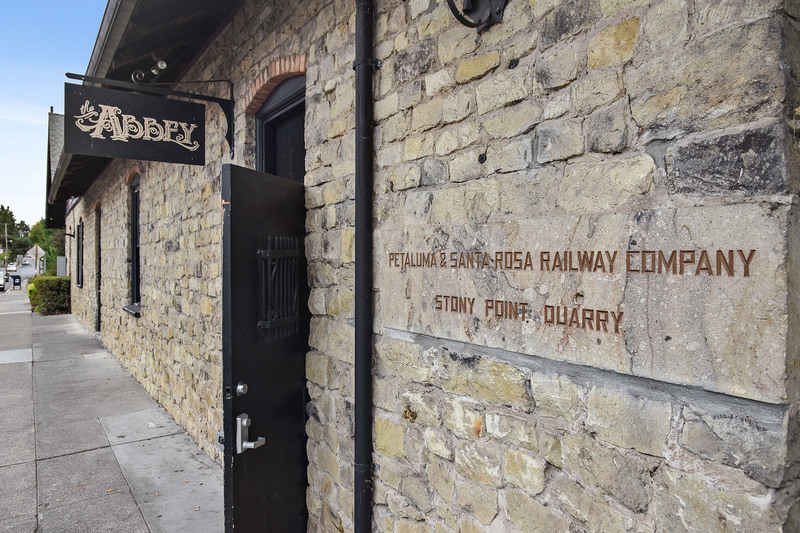 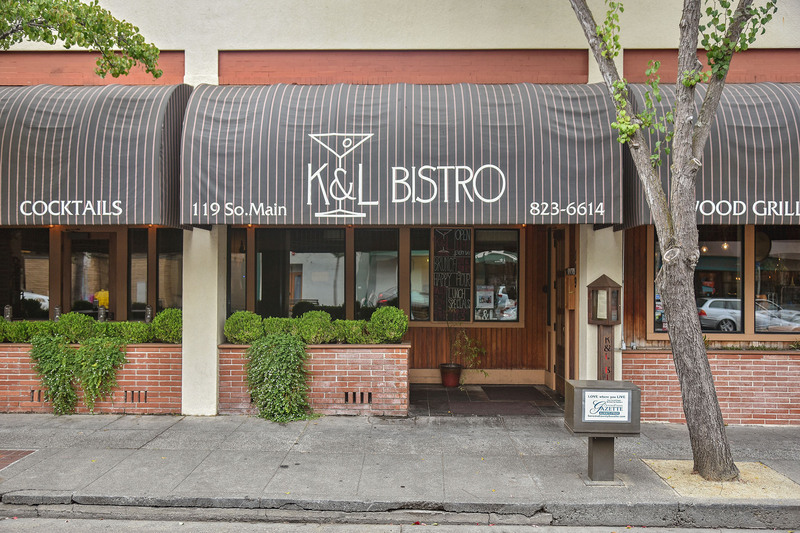 It generates revenue from the seasonal selling of its grapes to VML Winery in nearby Healdsburg, and its Russian River Chardonnay—described by VML as “nothing less than transcendental”—was recently given a 94-point rating by Robert Parker. 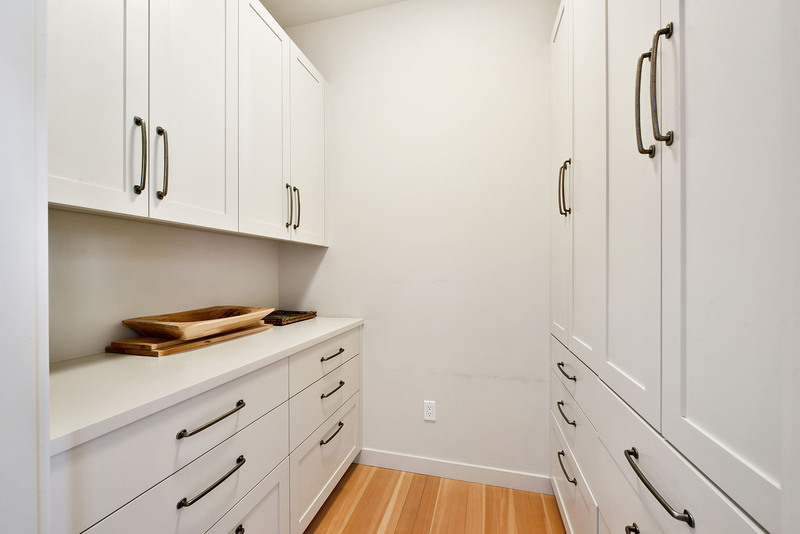 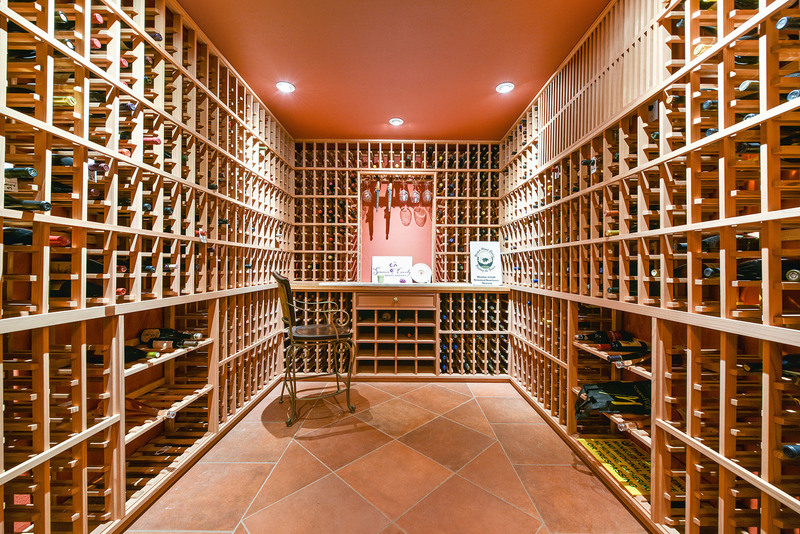 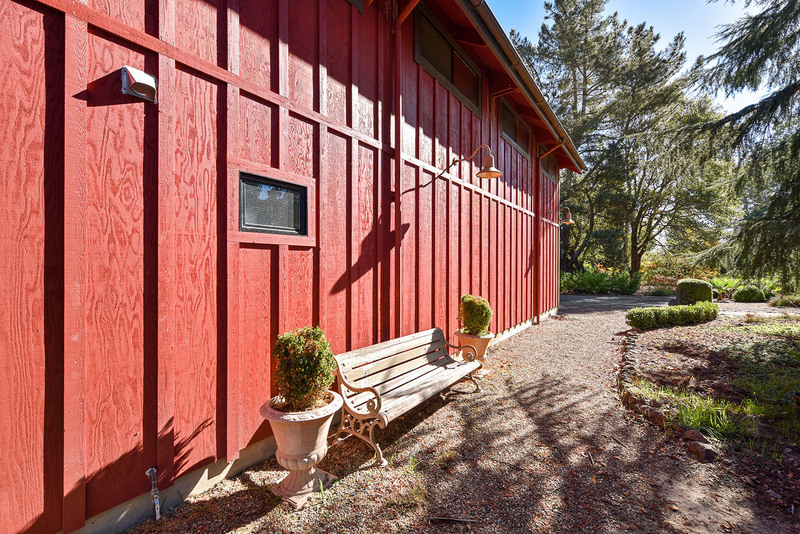 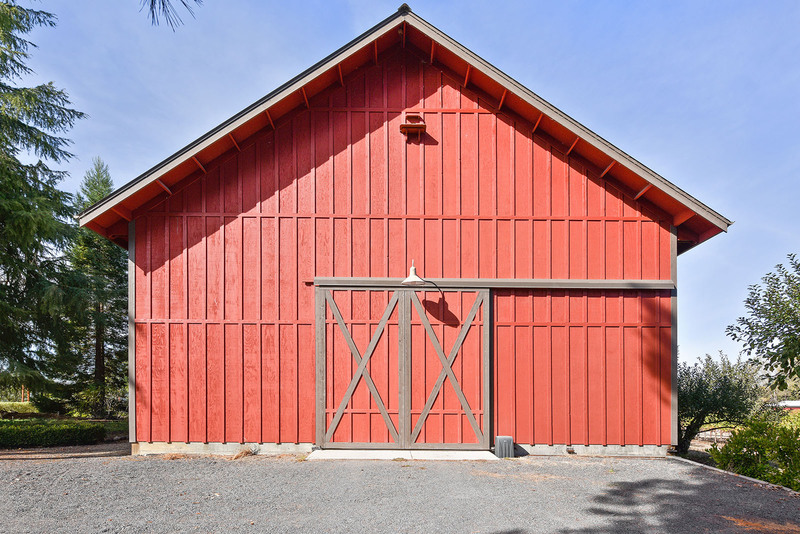 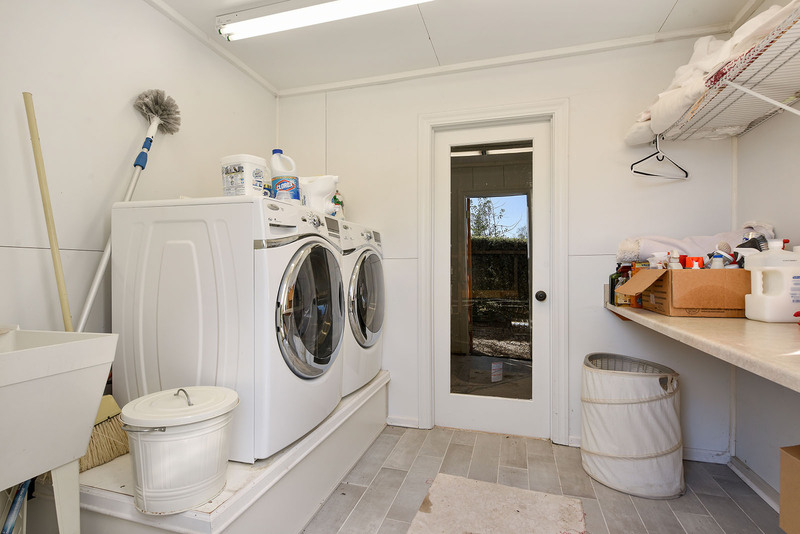 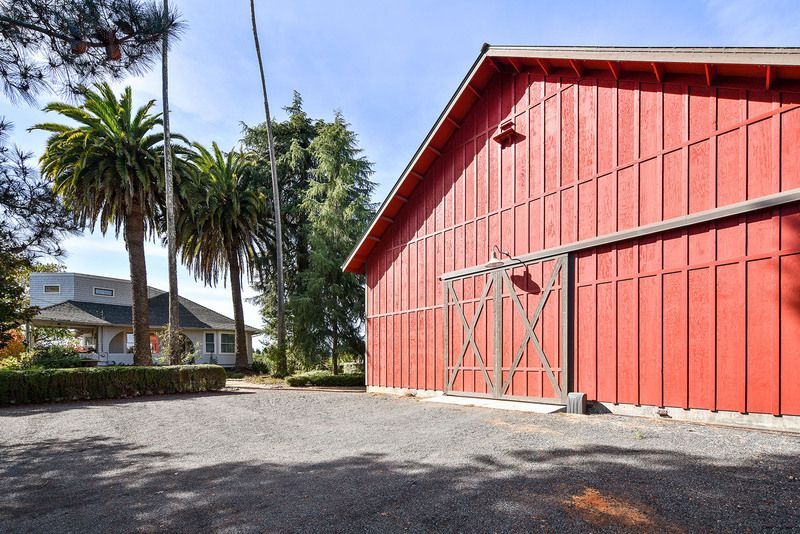 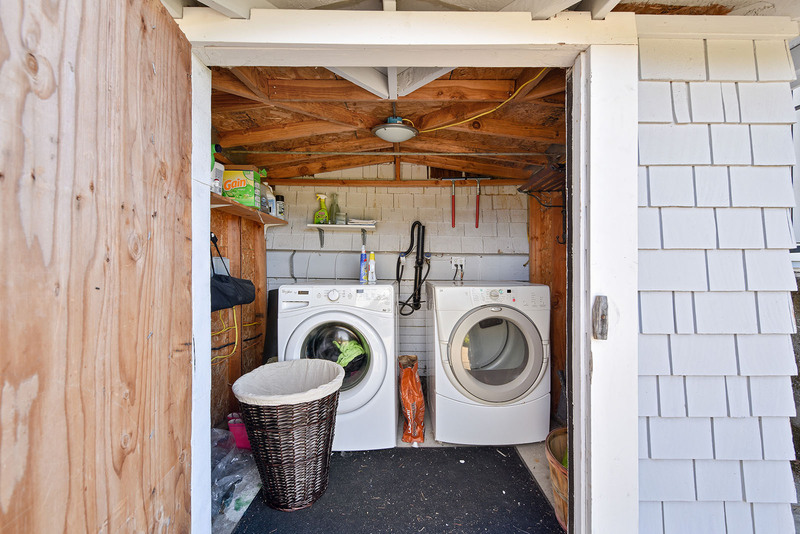 The estate’s red barn is both picturesque and functional, offering an in-law unit with a bath and kitchen as well as an elevator and a temperature-controlled 1,500-bottle wine cellar. 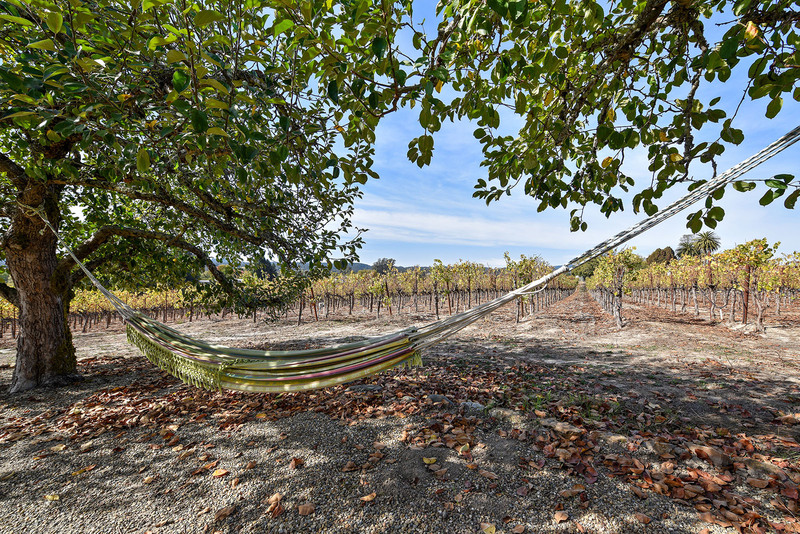 This estate is a truly unique retreat, offering the opportunity to relax in the sun by the pool, enjoy a glass of Chardonnay made from grapes grown just steps away, take advantage of the organic gardens’ fruits and vegetables to prepare a meal in a chef’s kitchen, and welcome visitors with idyllic charm and style. 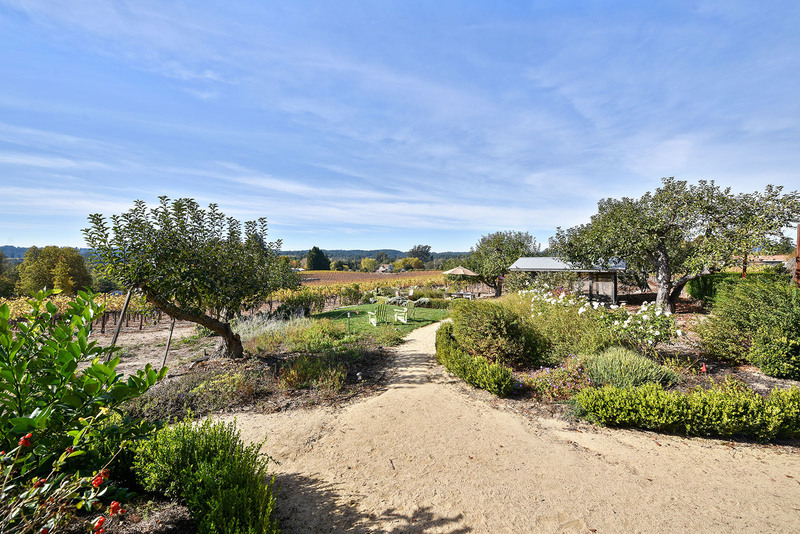 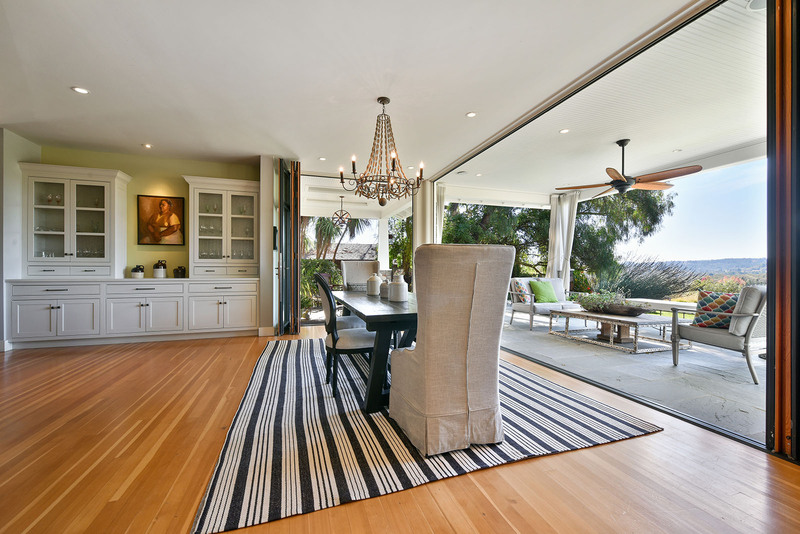 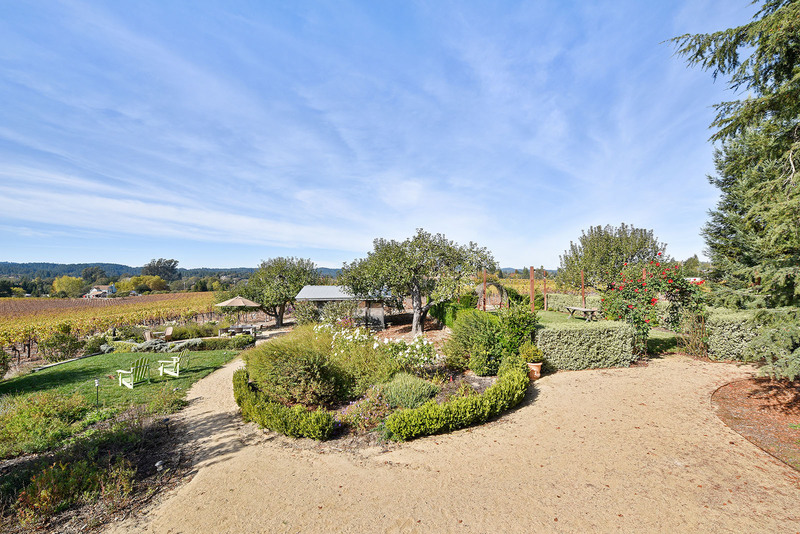 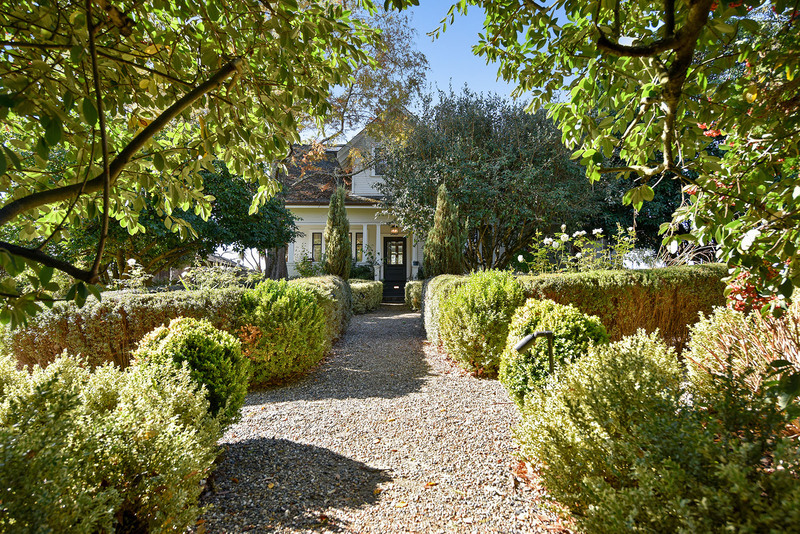 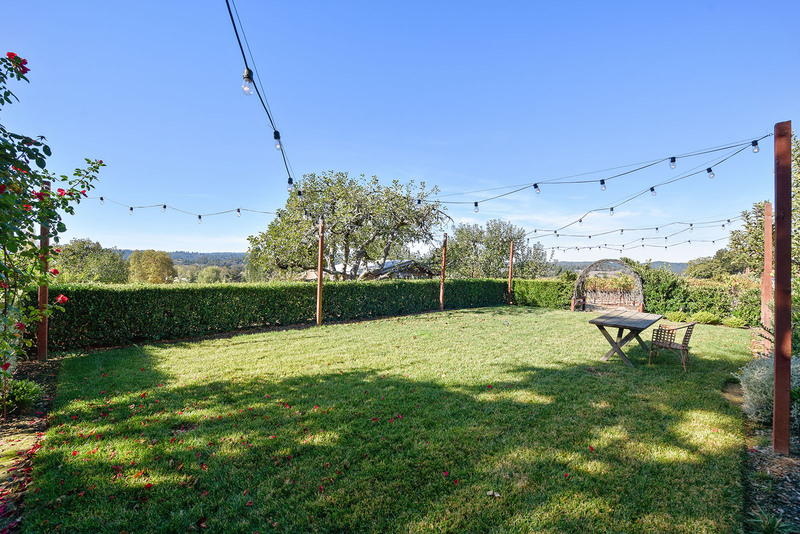 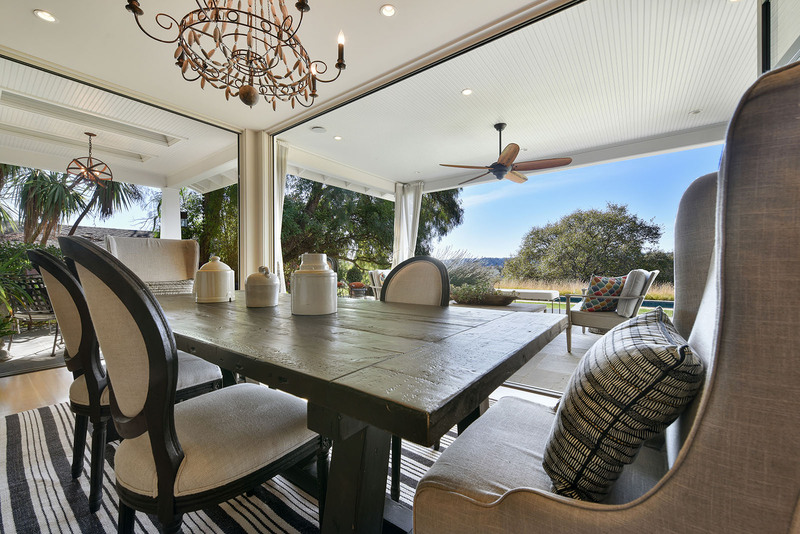 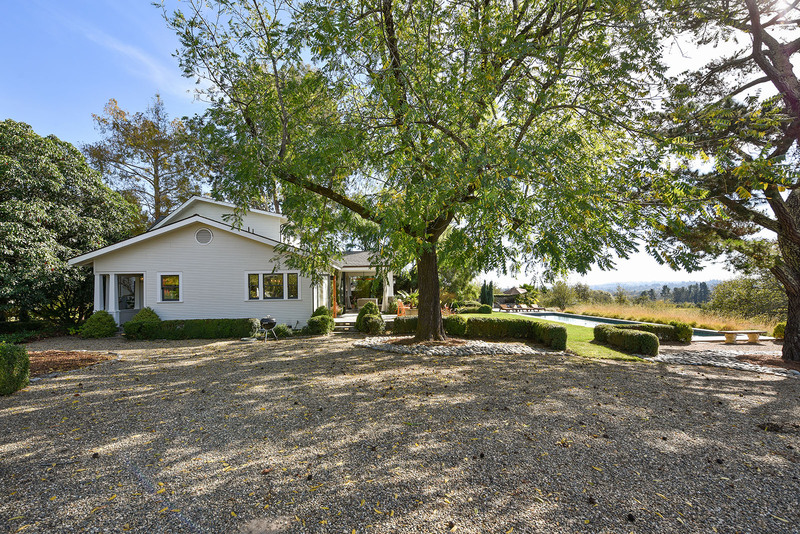 This is the perfect place for reconnecting with the earth, embracing solitude, appreciating friends and family, and benefitting from all the delights of owning a one-of-a kind wine country estate. 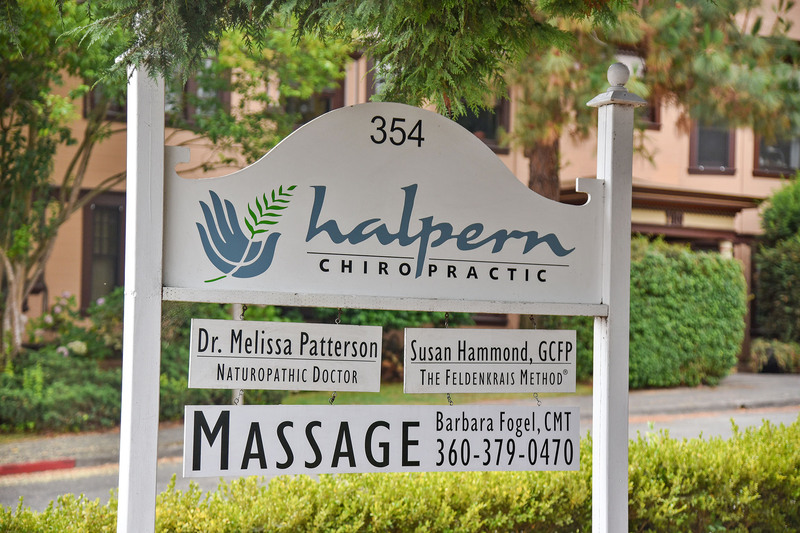 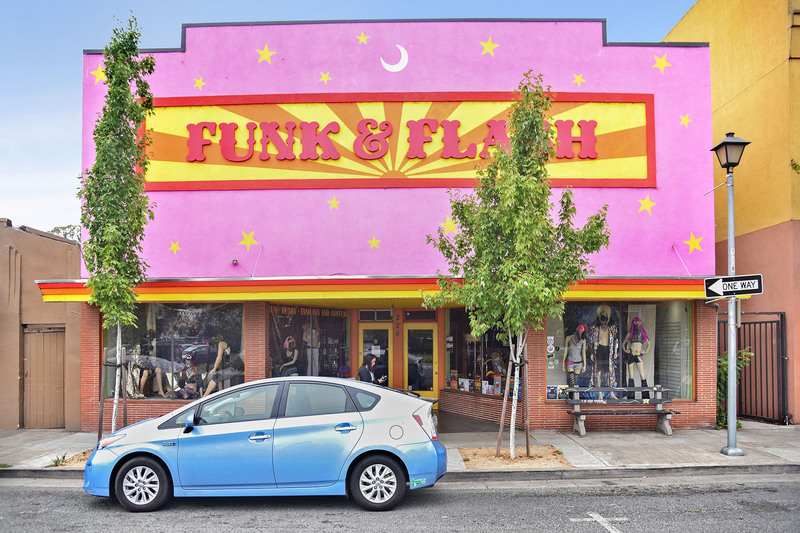 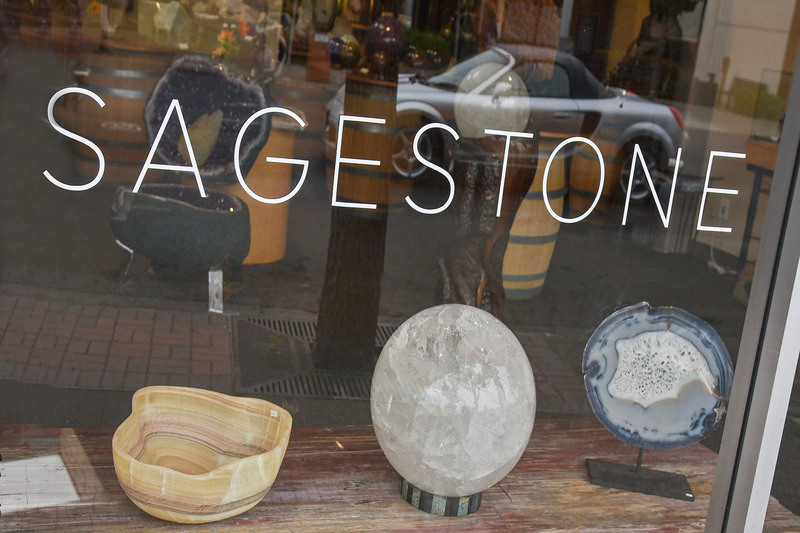 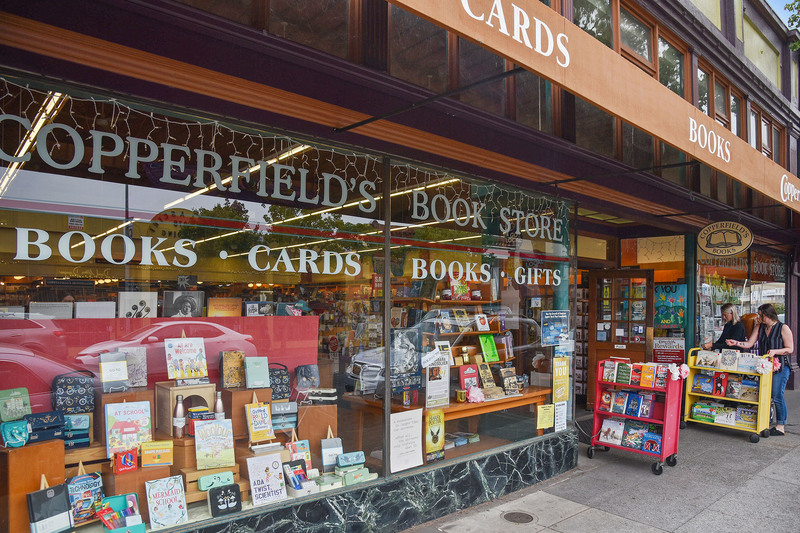 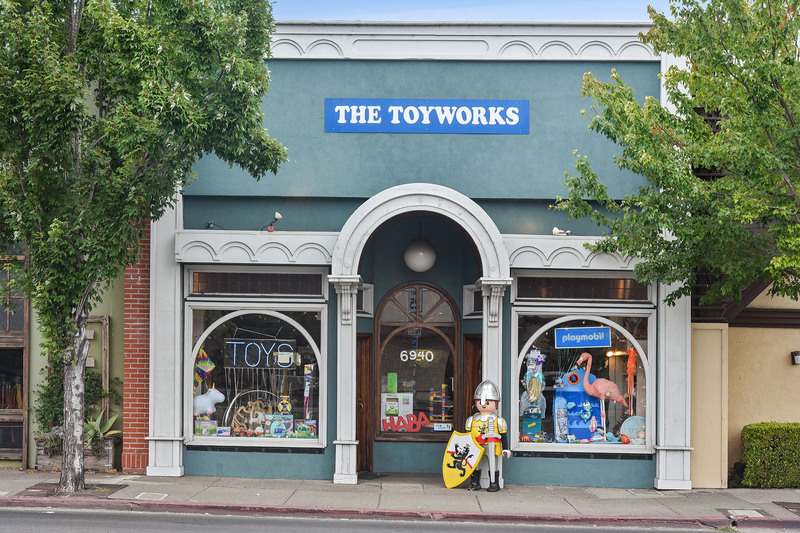 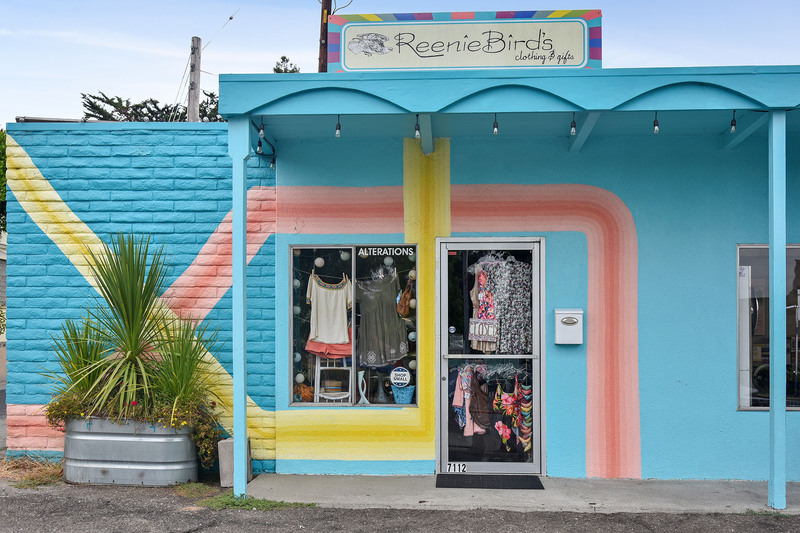 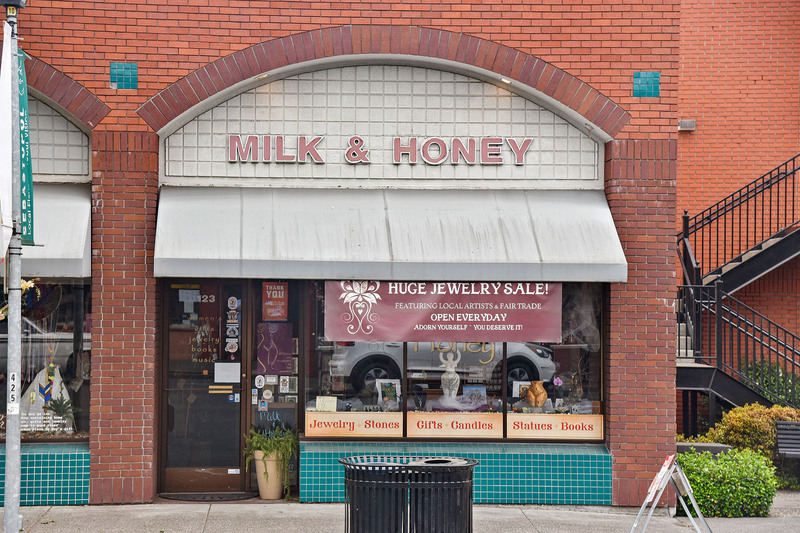 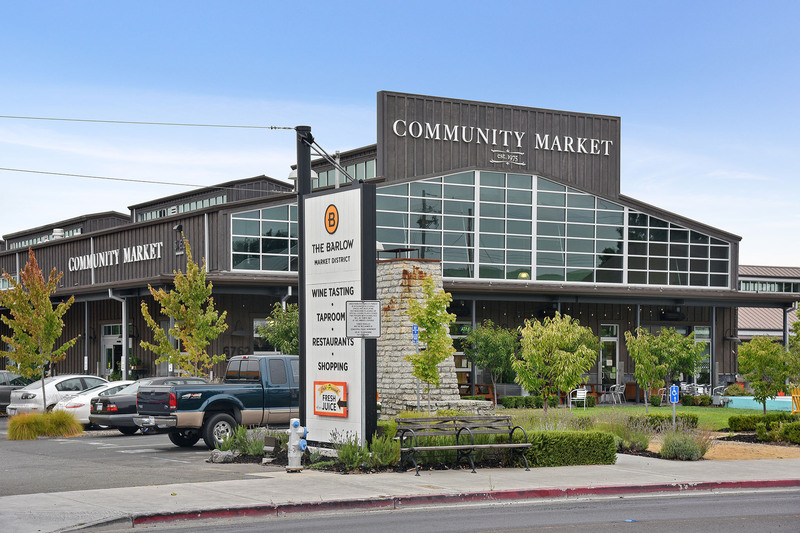 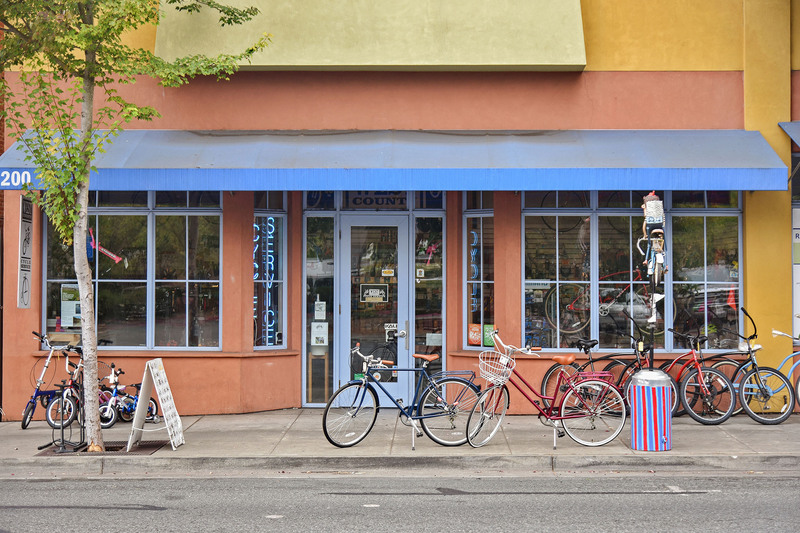 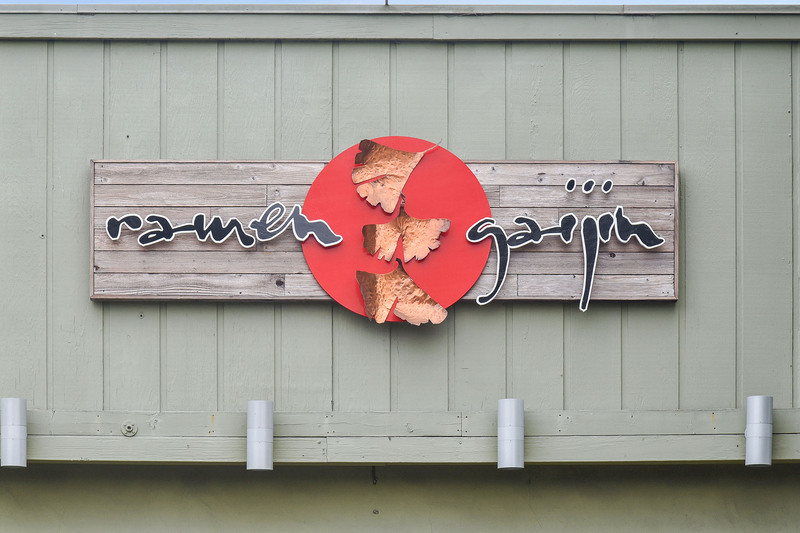 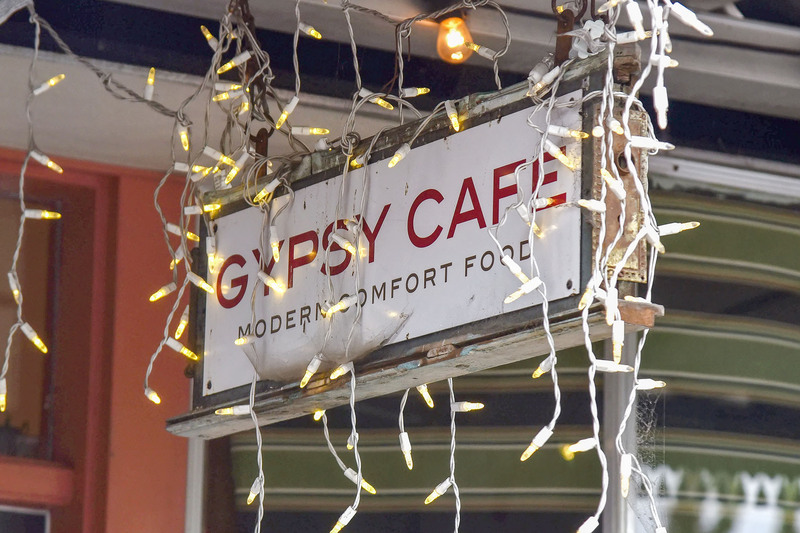 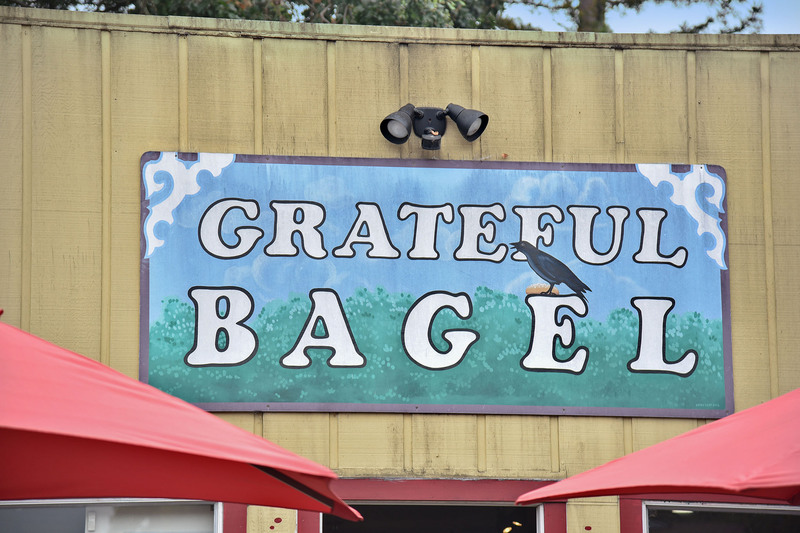 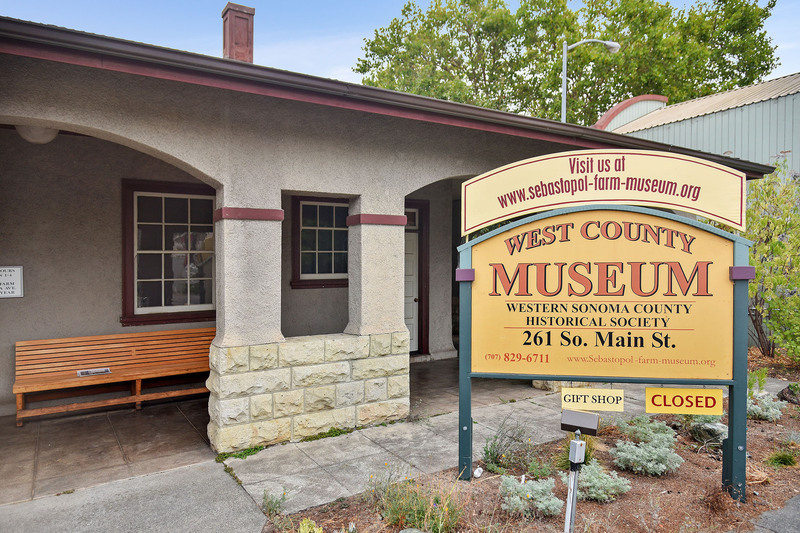 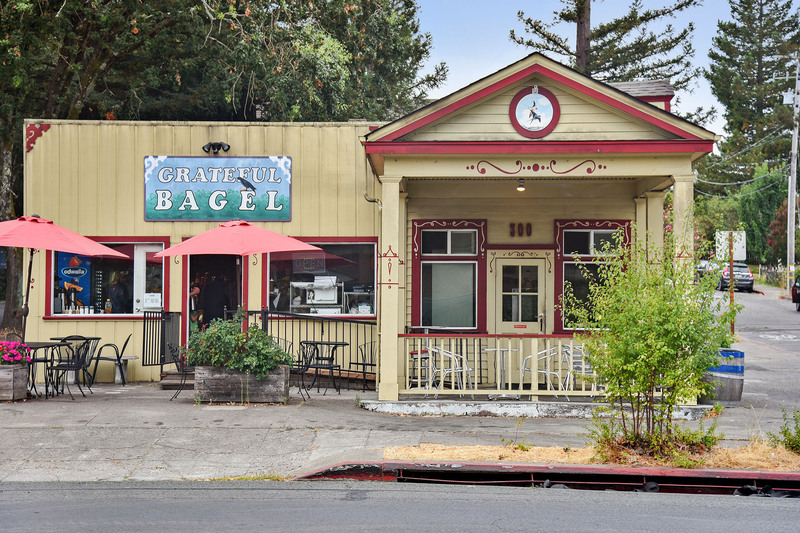 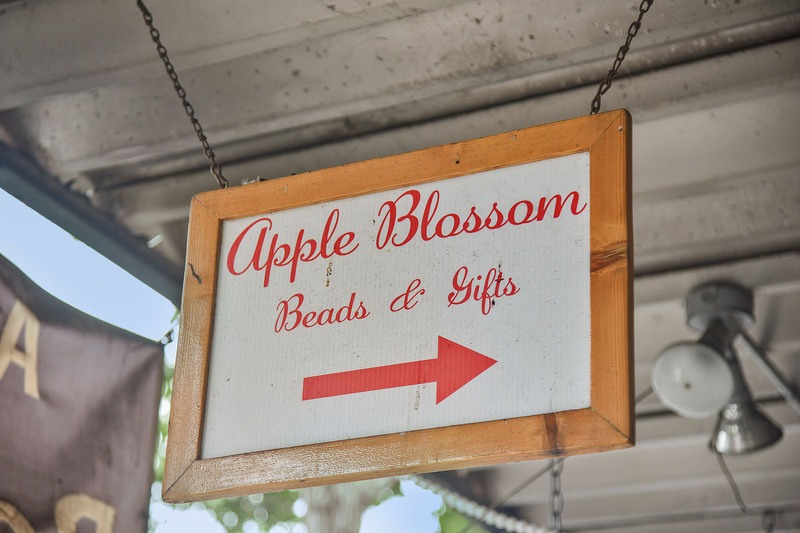 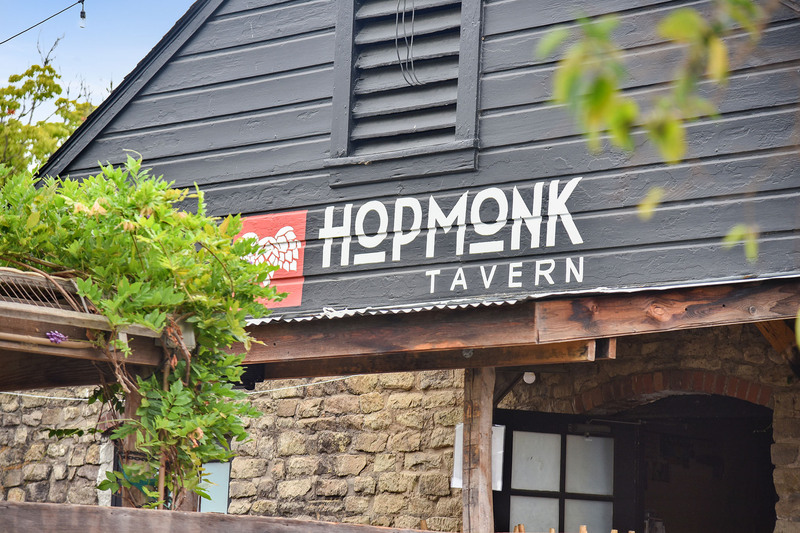 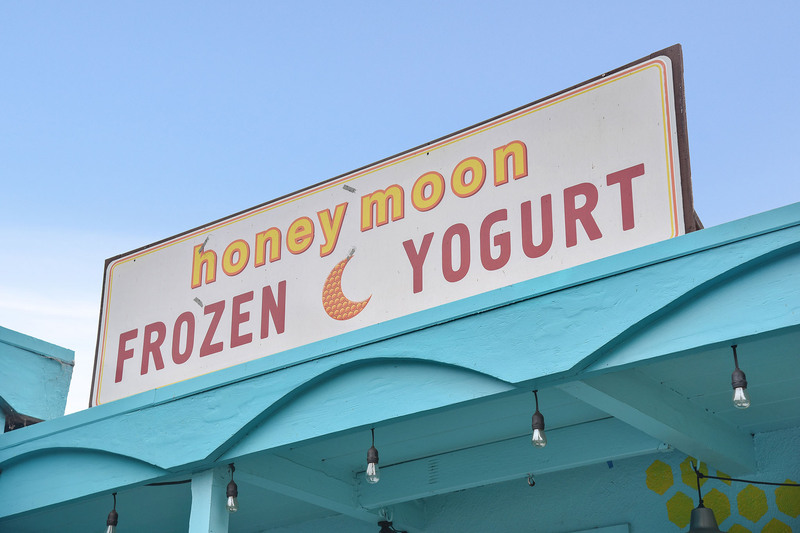 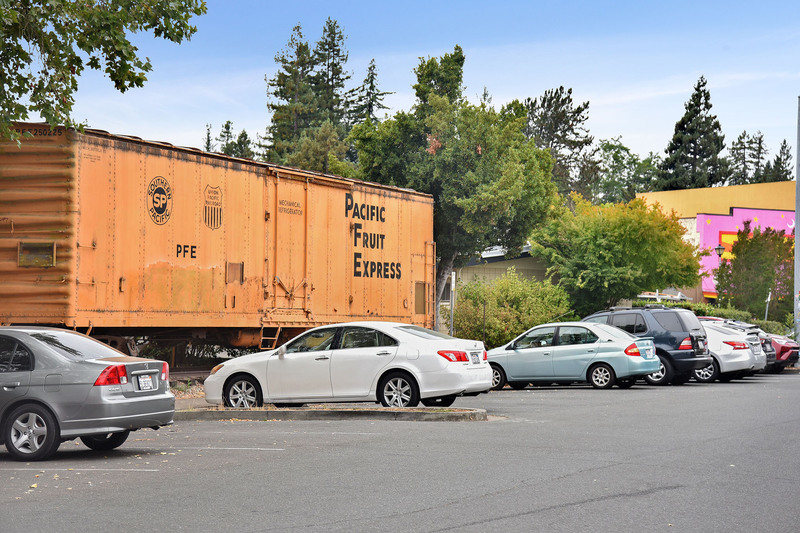 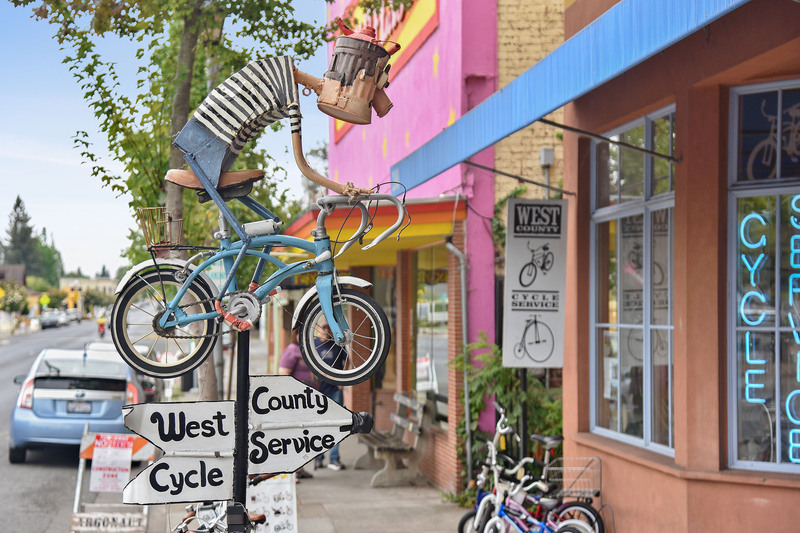 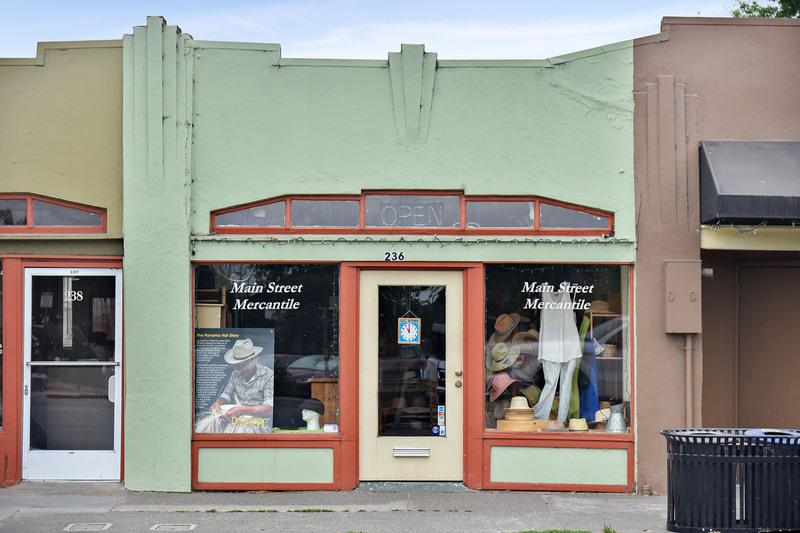 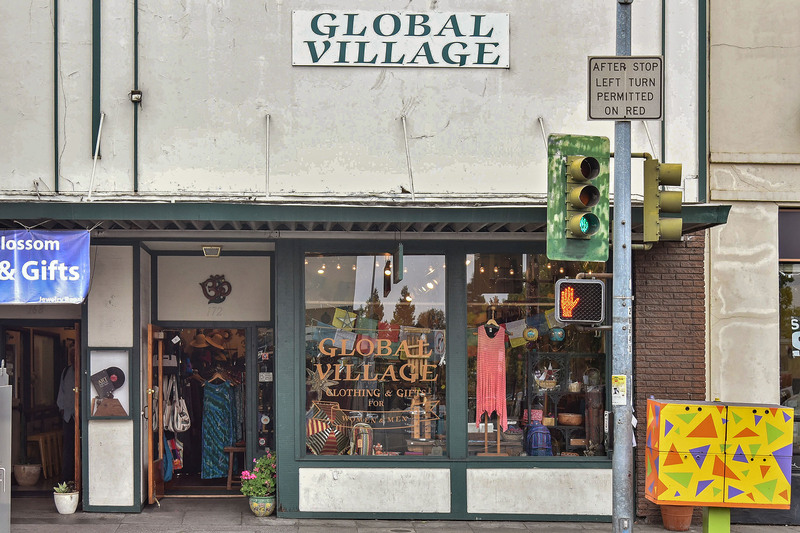 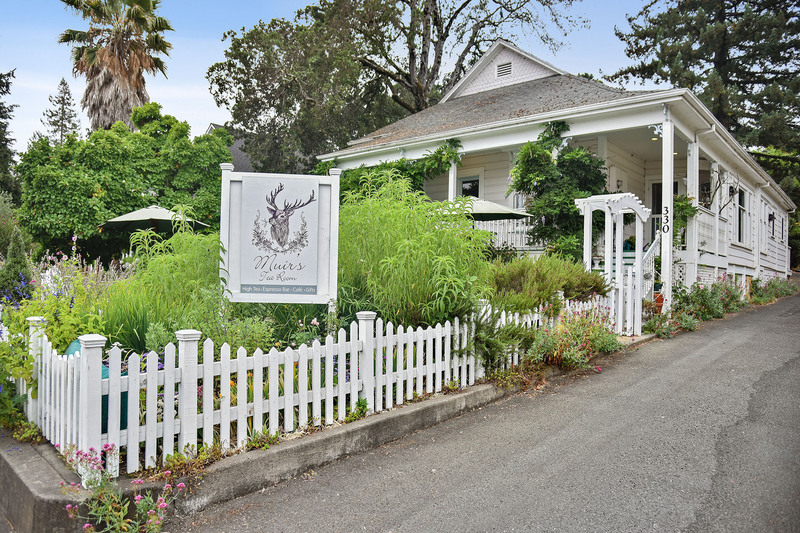 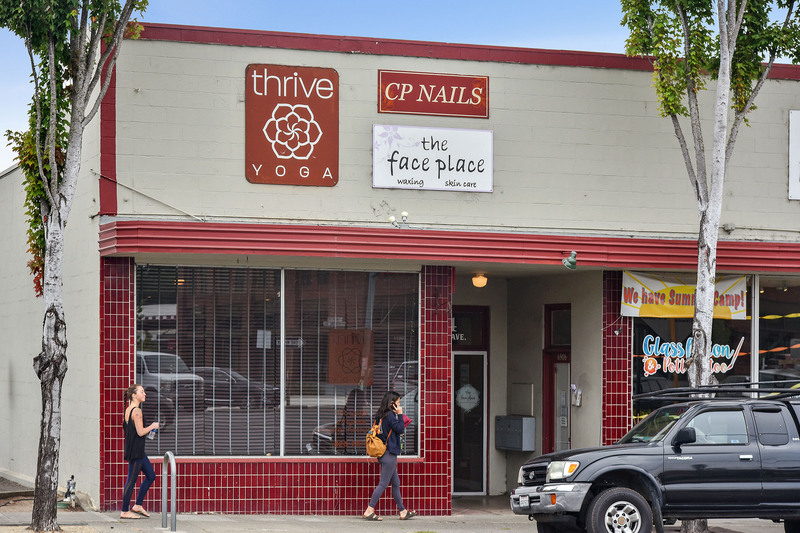 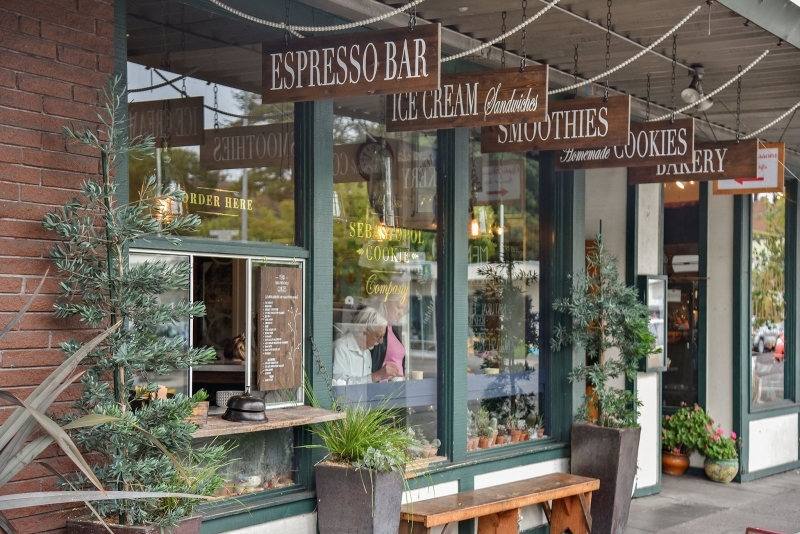 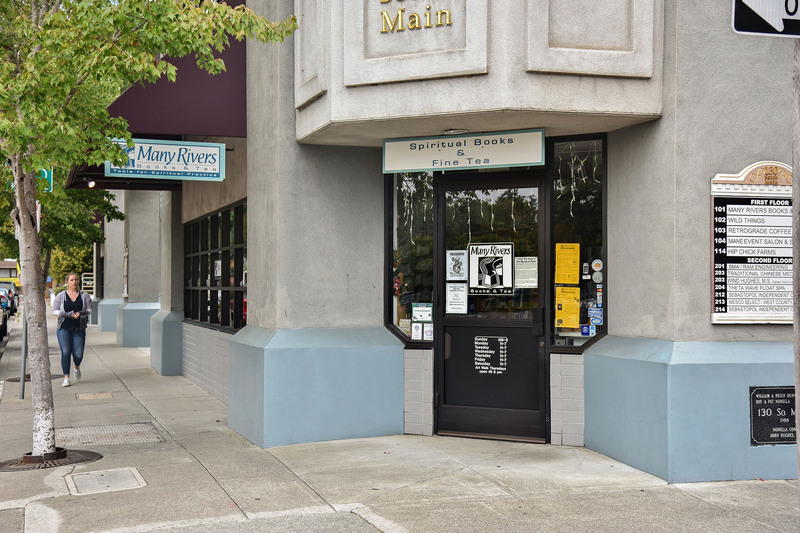 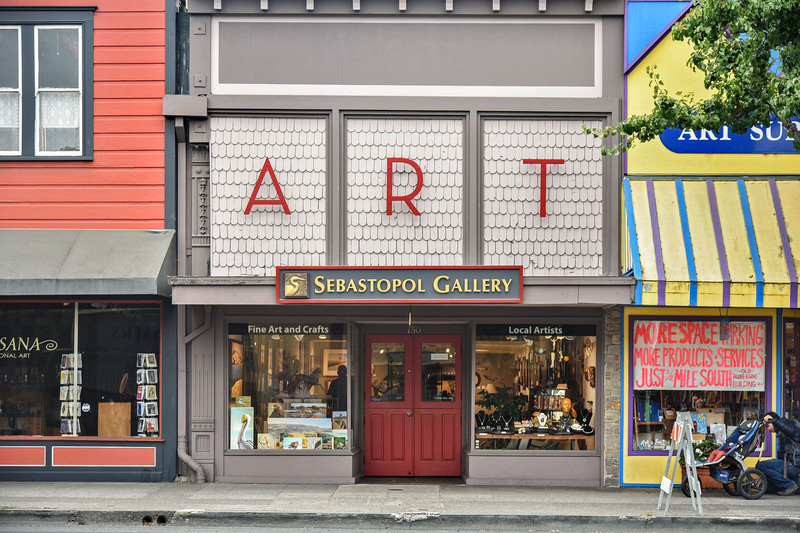 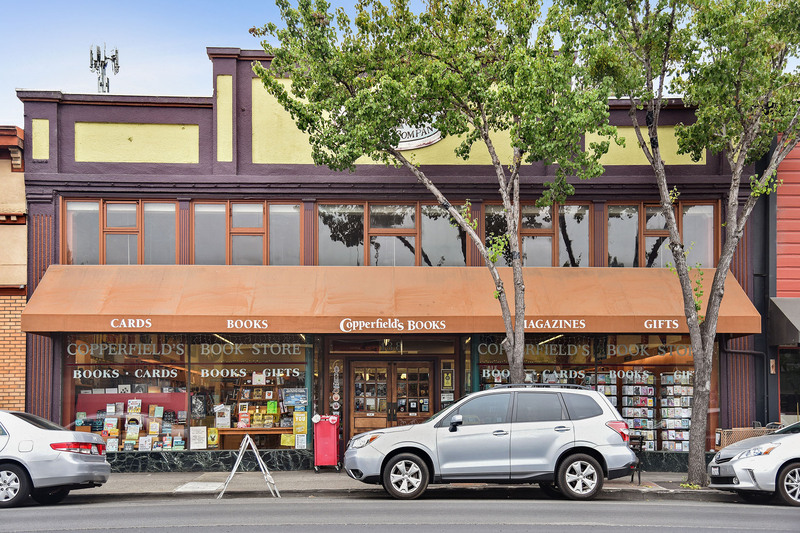 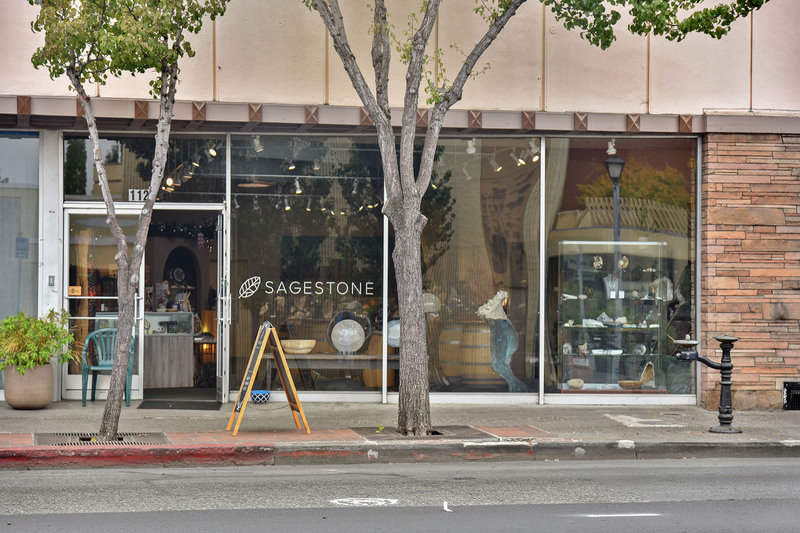 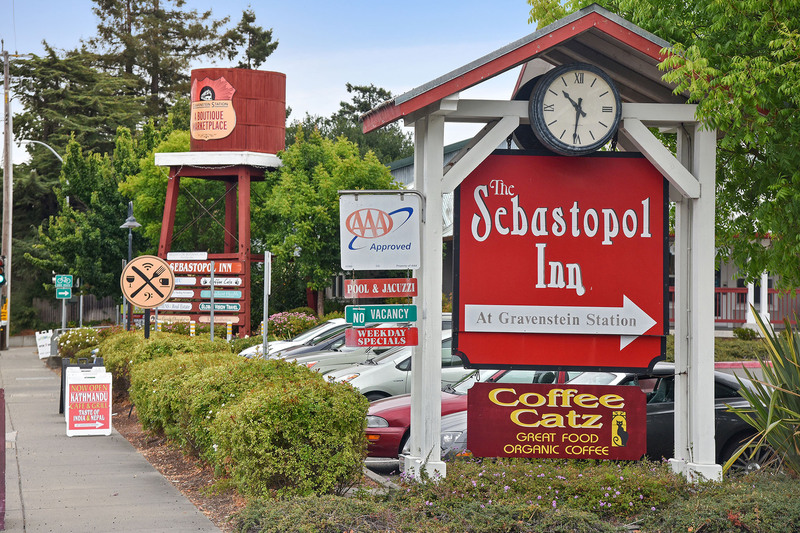 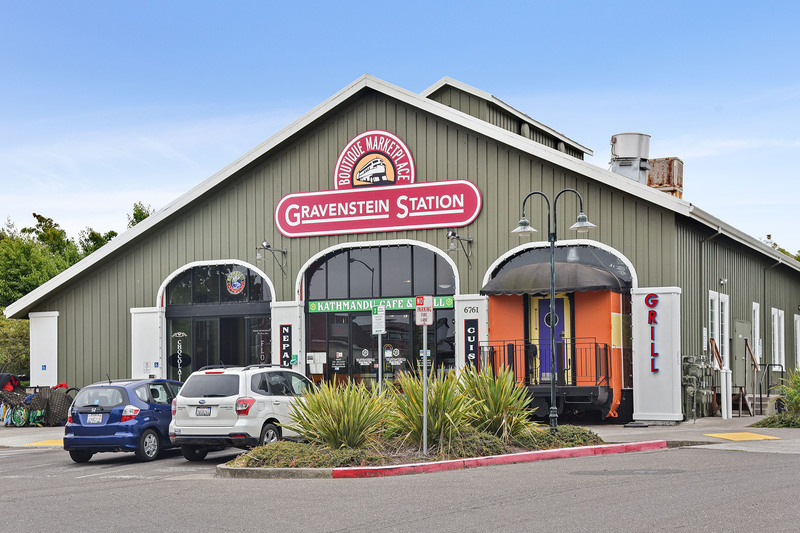 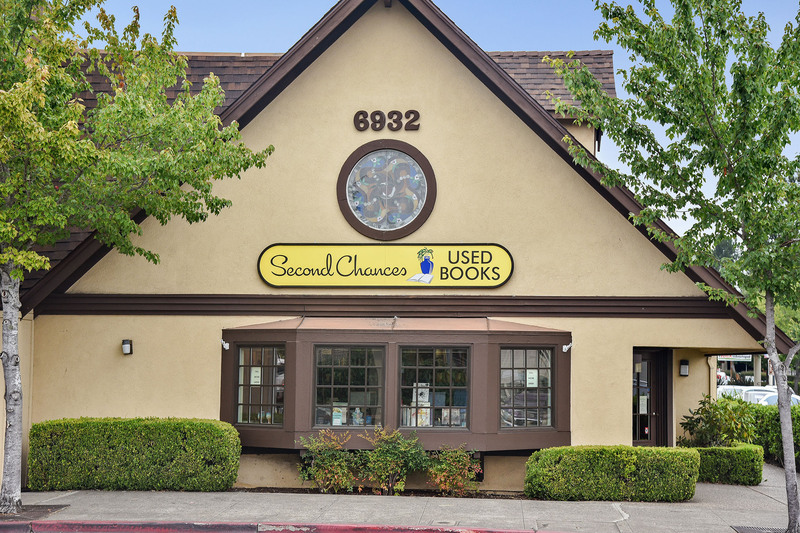 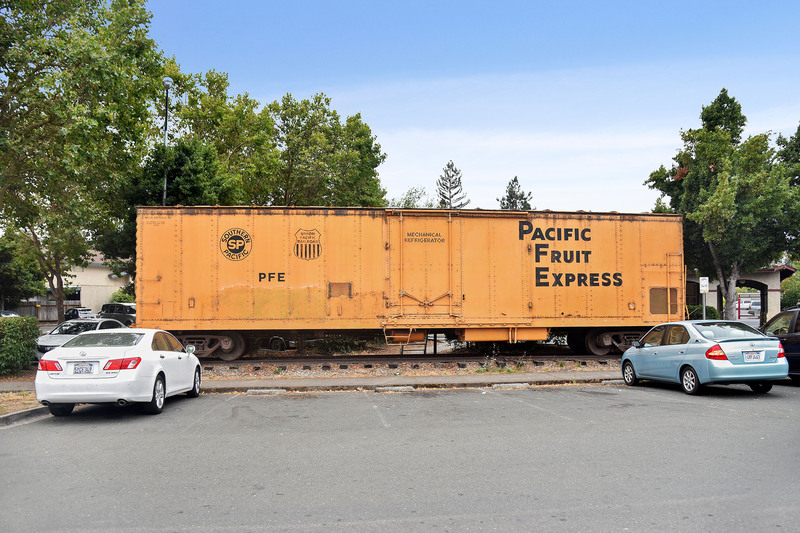 A farming community known for its Gravenstein apple orchards and grapevines, Sebastopol is a small, family-oriented city of orderly, older homes. 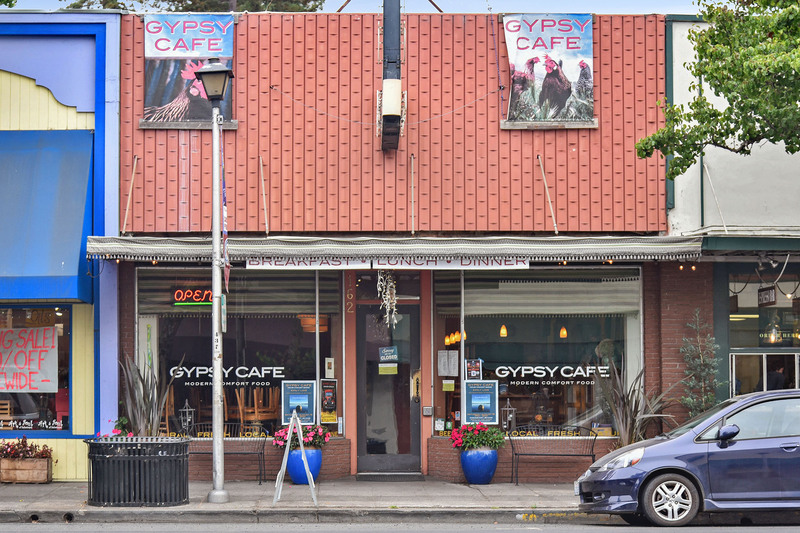 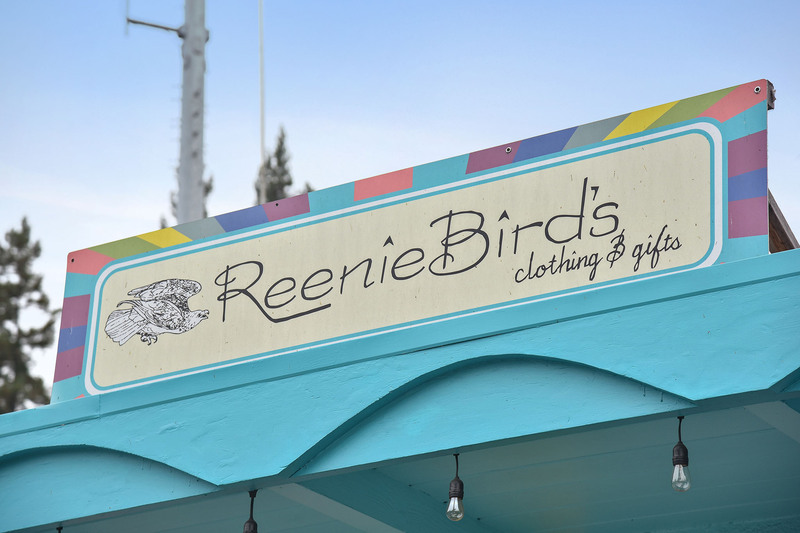 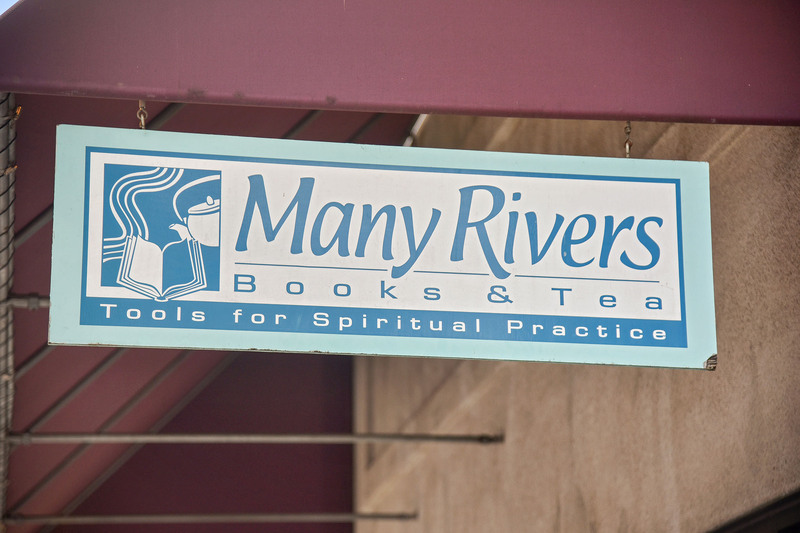 Horses graze just a few blocks from Main Street, and cars brake for chickens brazenly crossing the road. 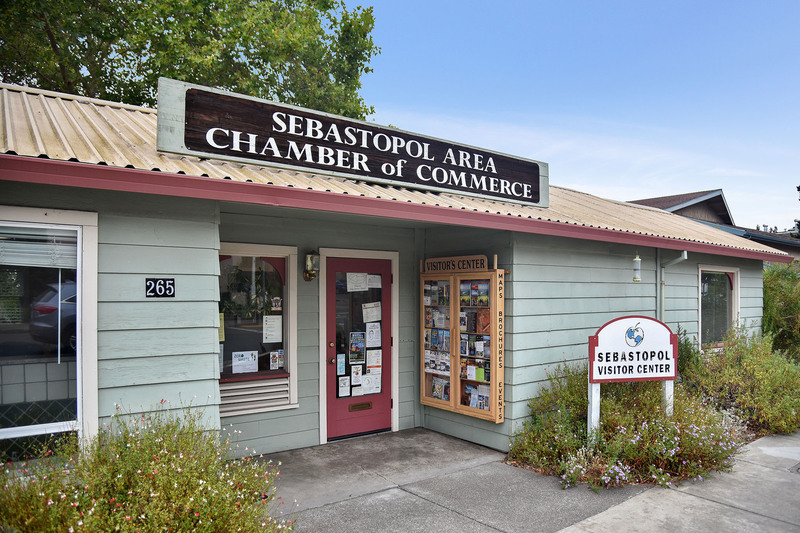 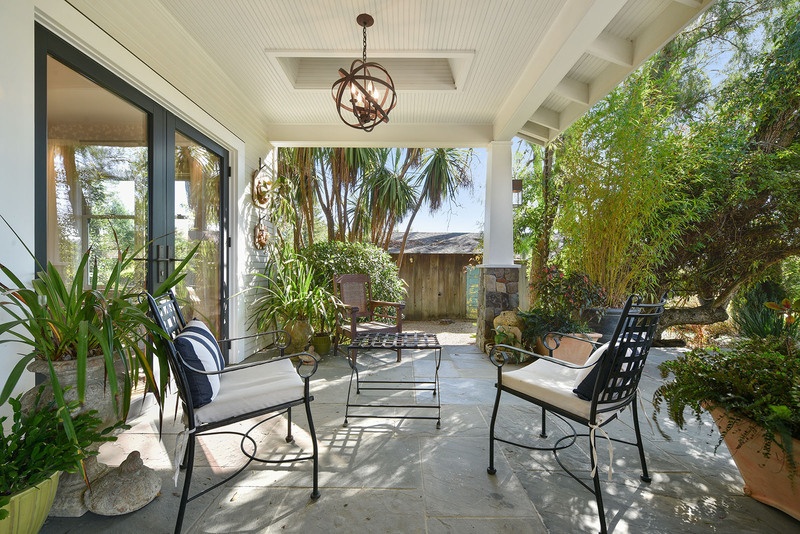 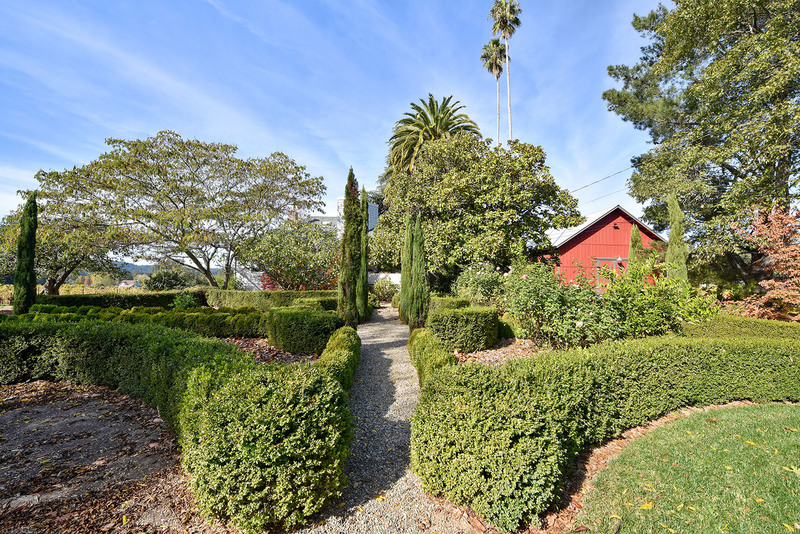 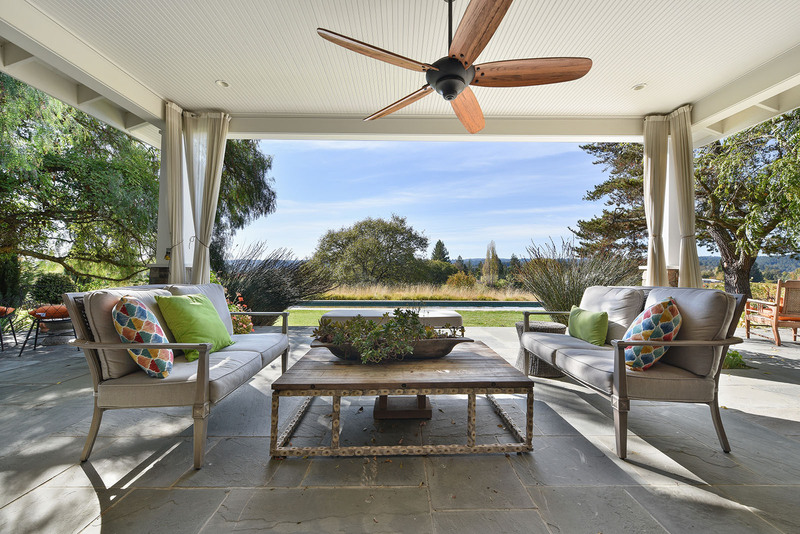 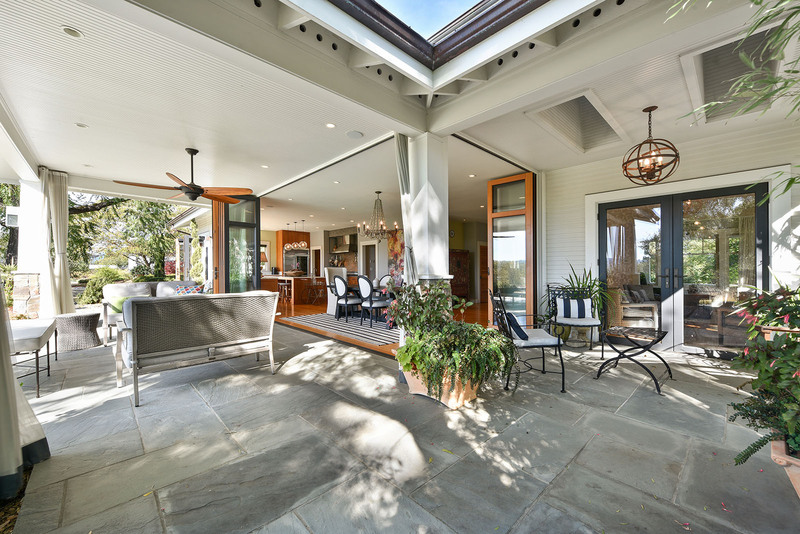 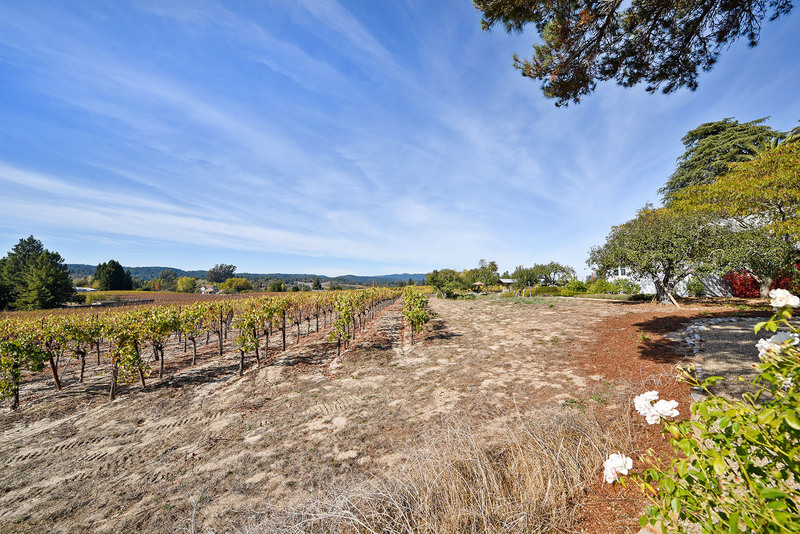 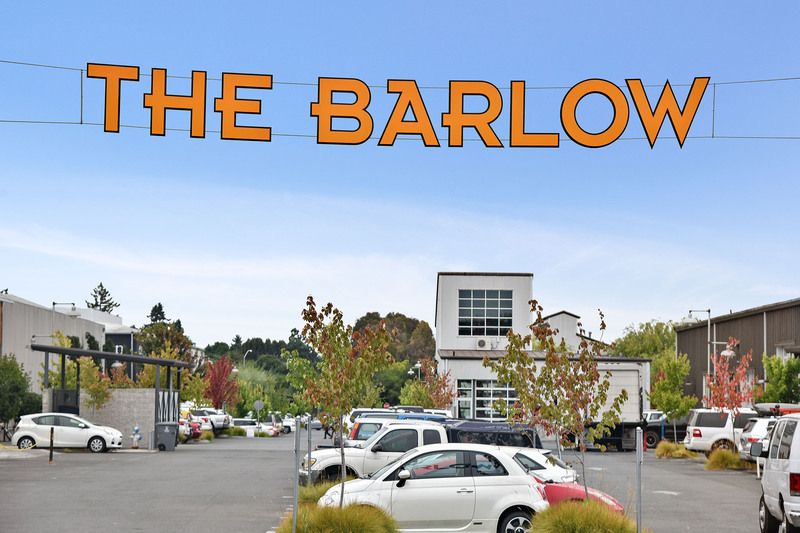 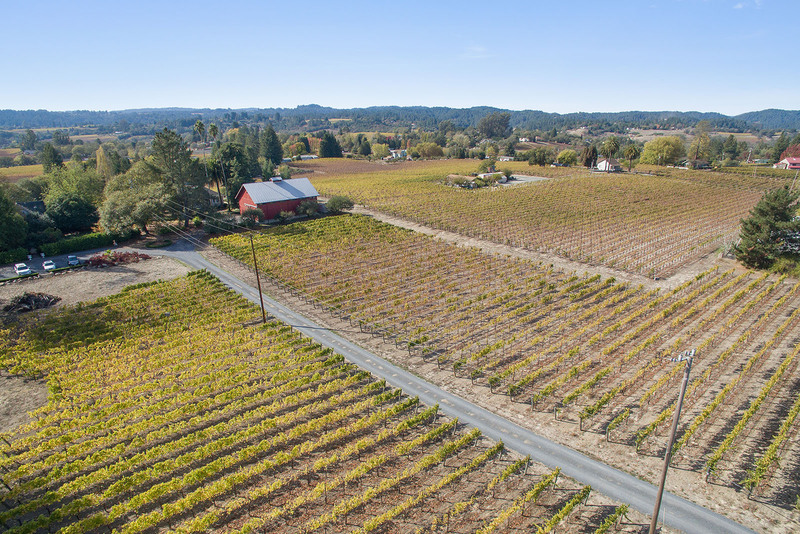 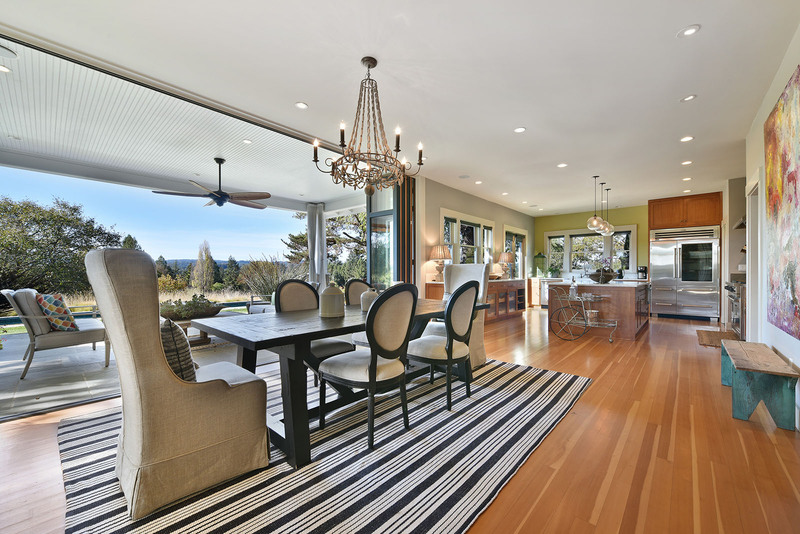 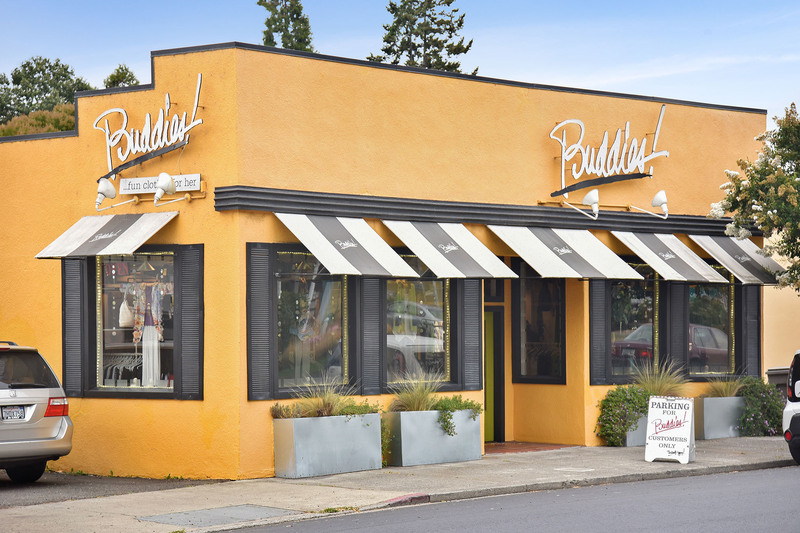 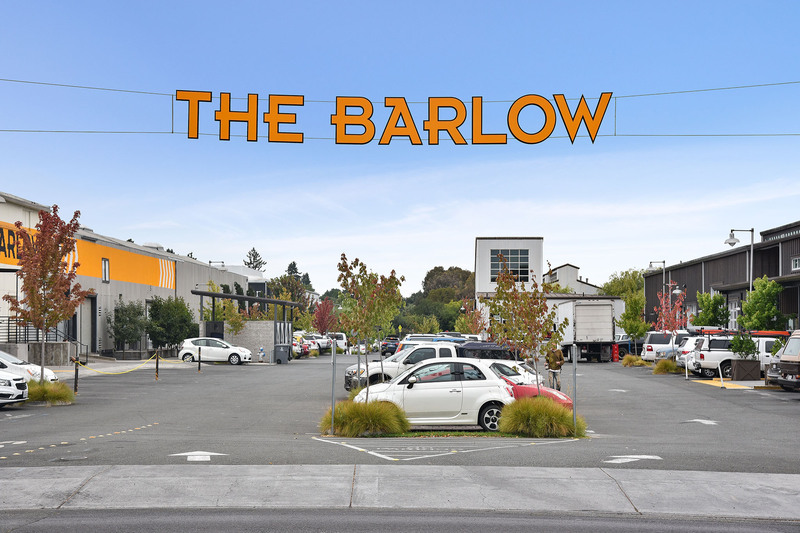 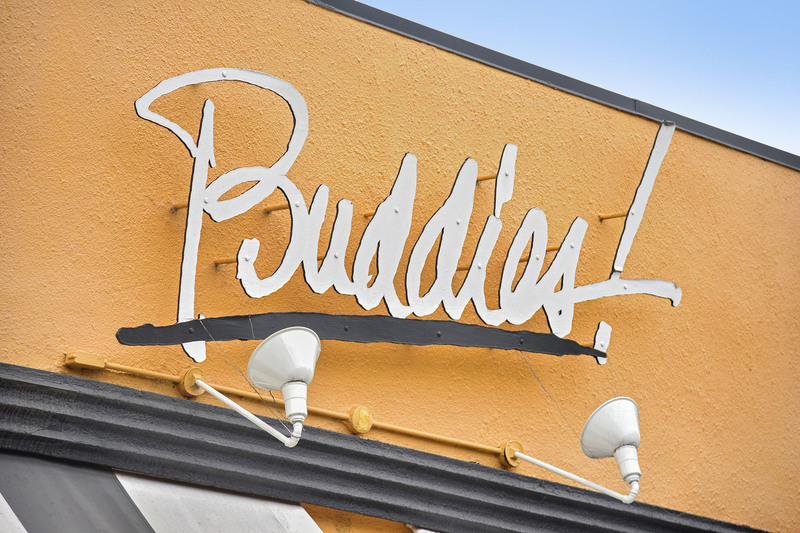 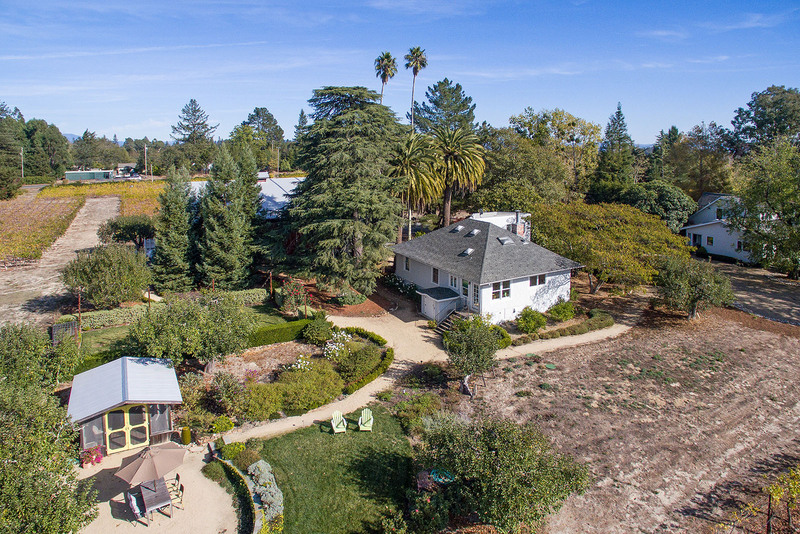 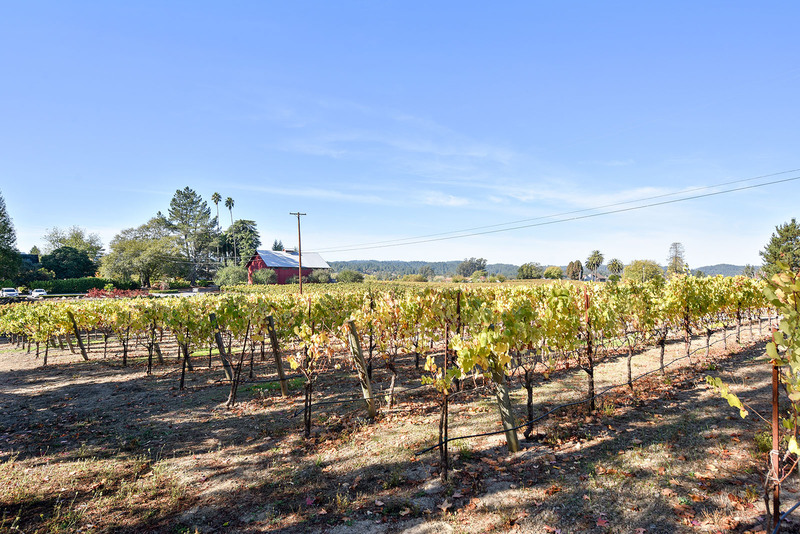 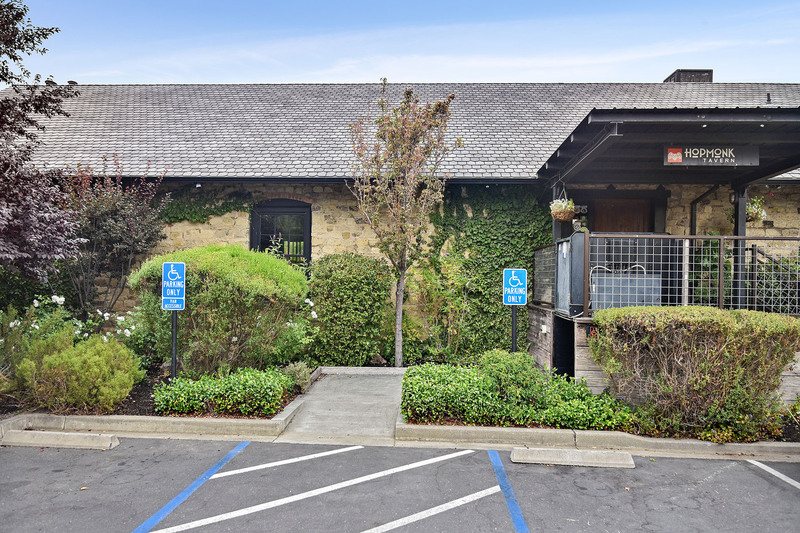 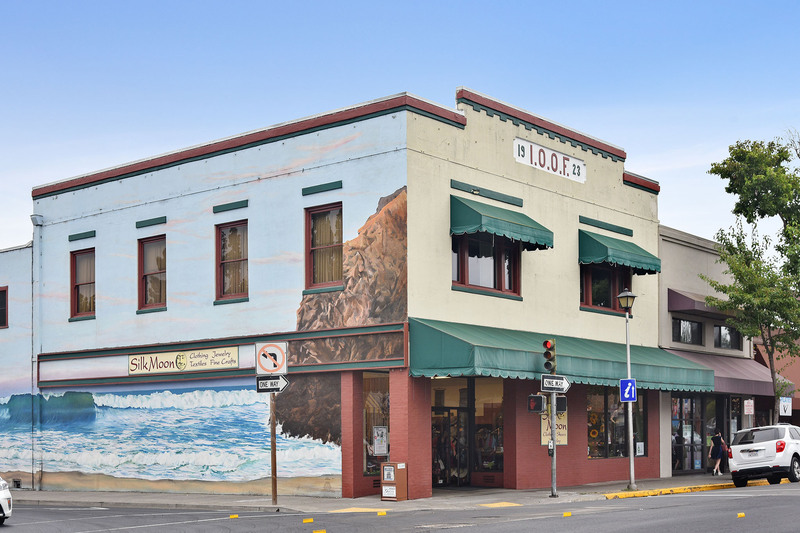 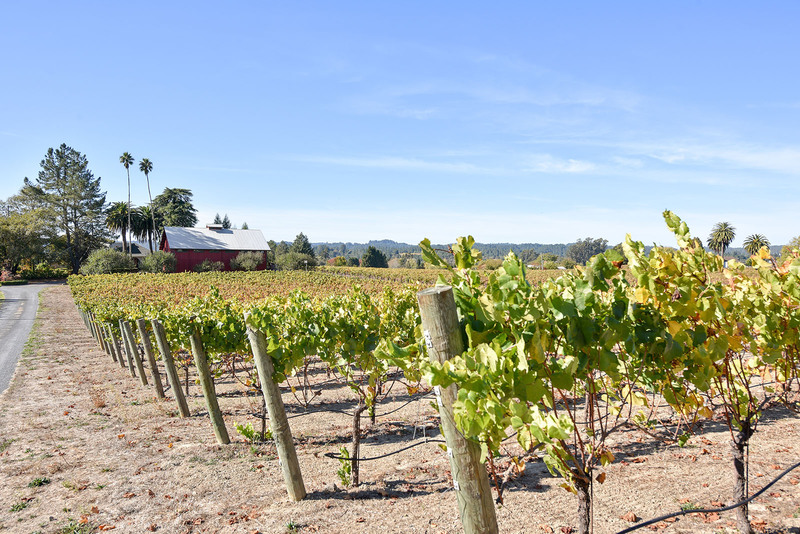 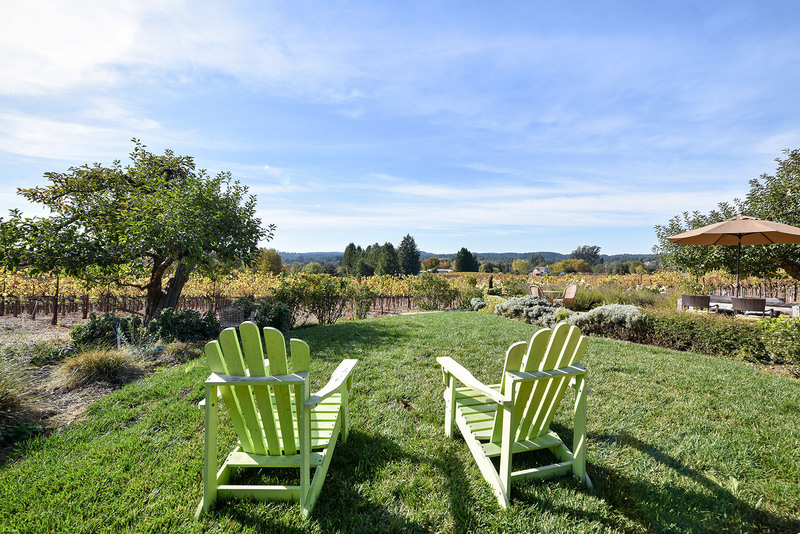 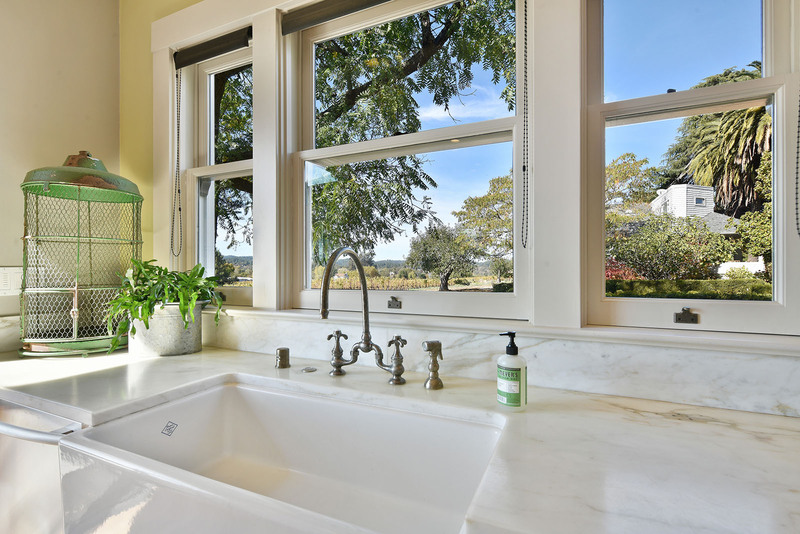 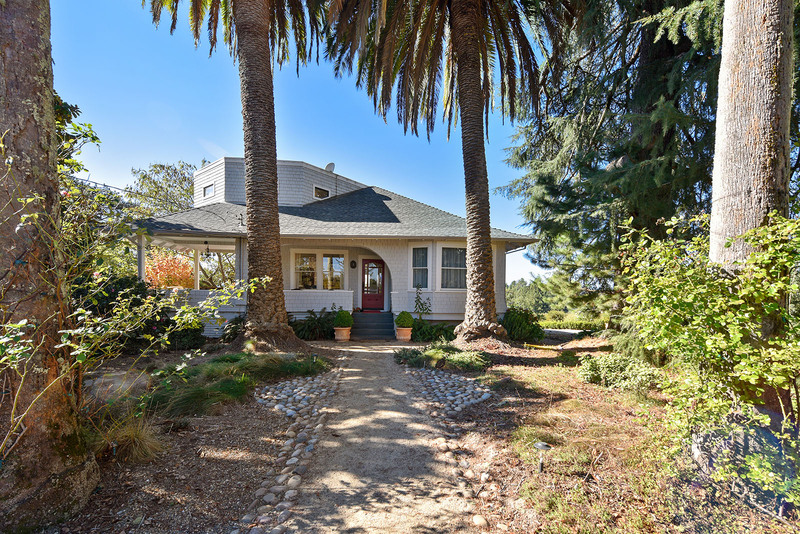 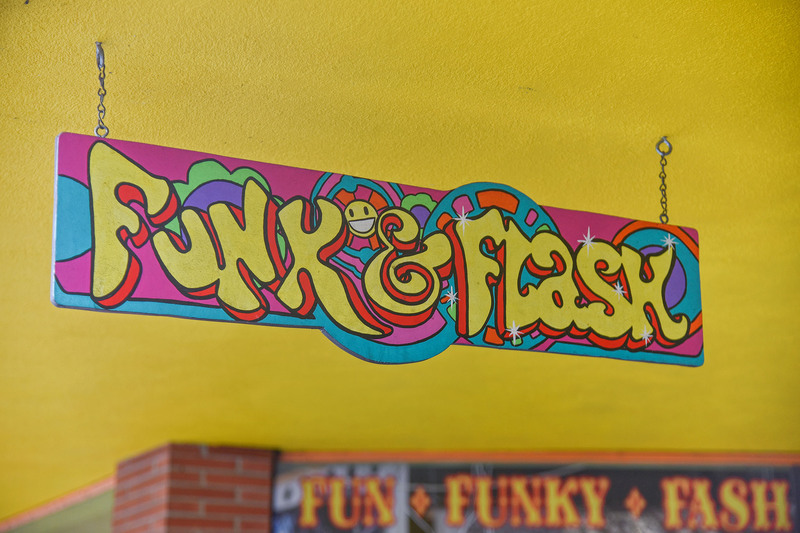 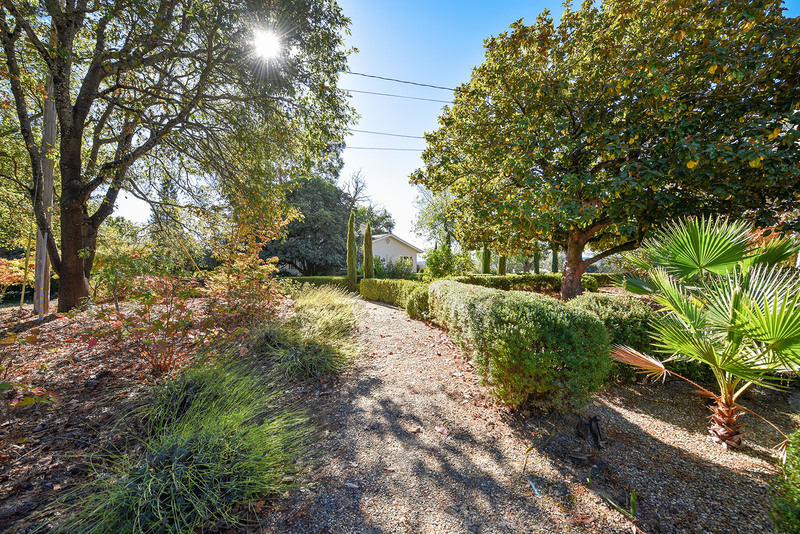 The city’s natural beauty and its proximity to the rugged Sonoma coastline and Russian River redwood corridor are just some of the reasons Sebastopol is popular with Sonoma County homebuyers. 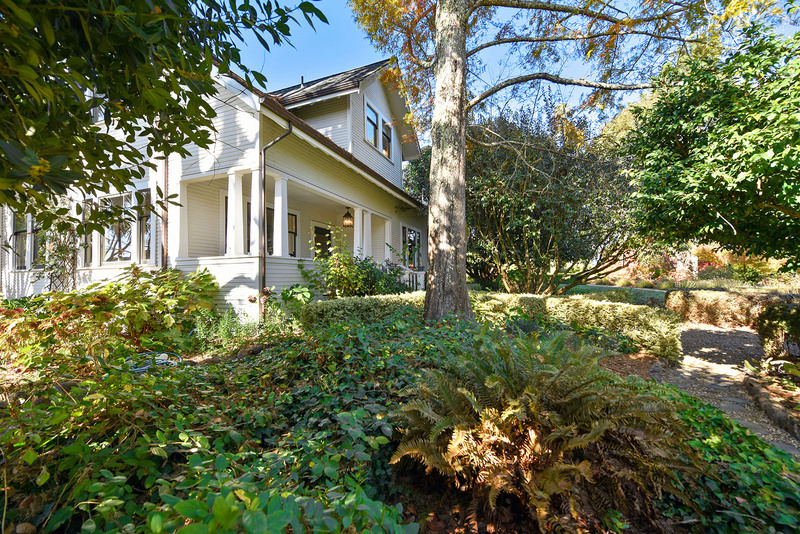 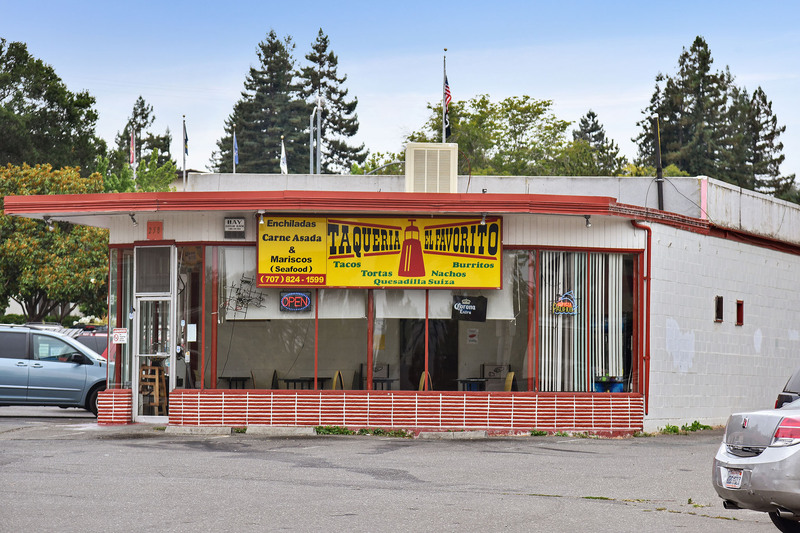 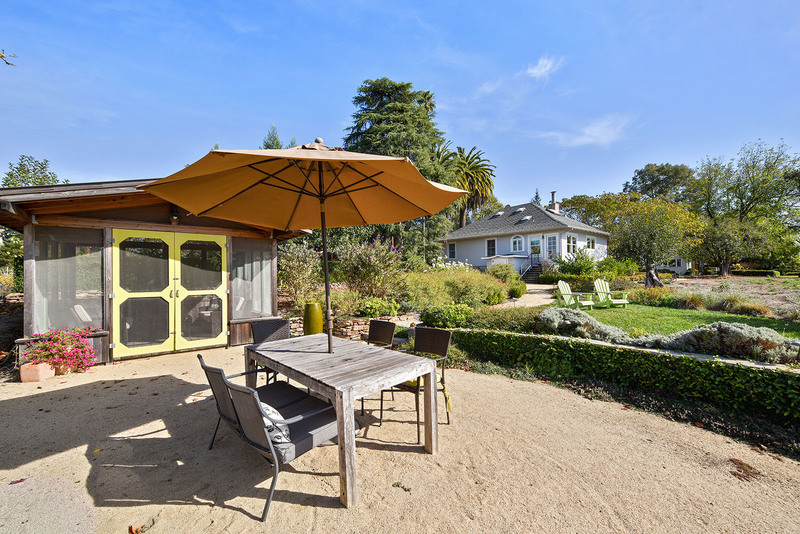 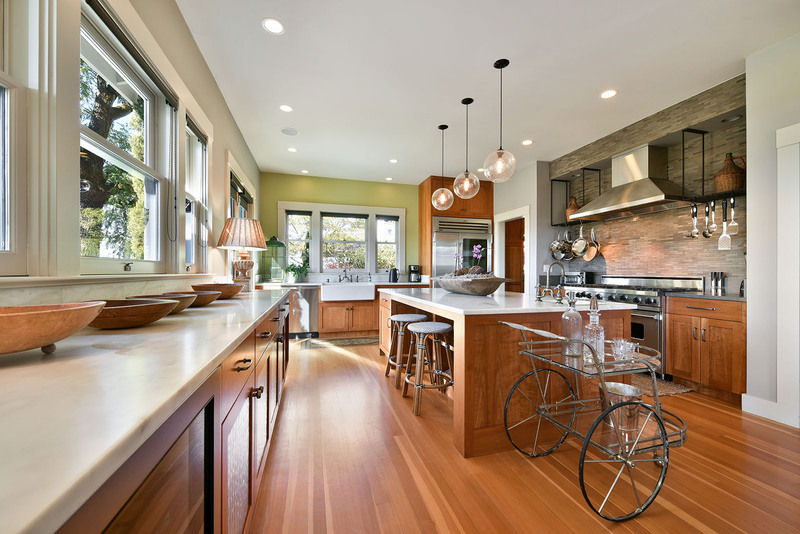 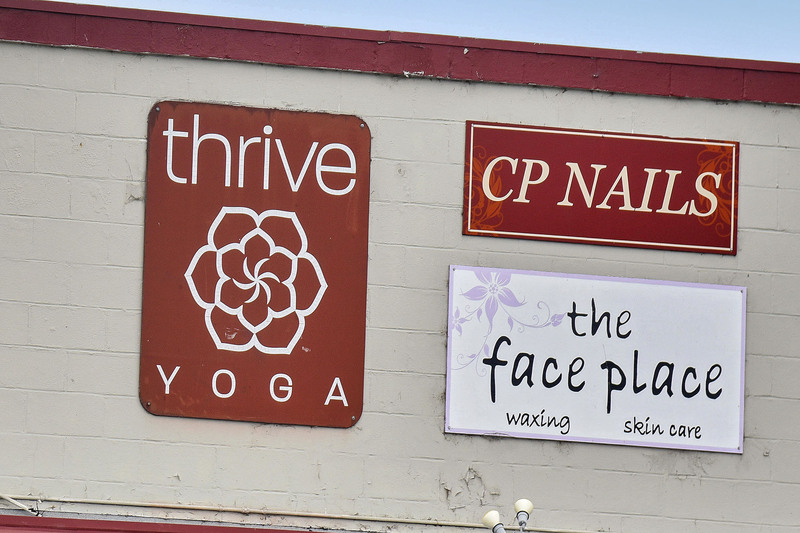 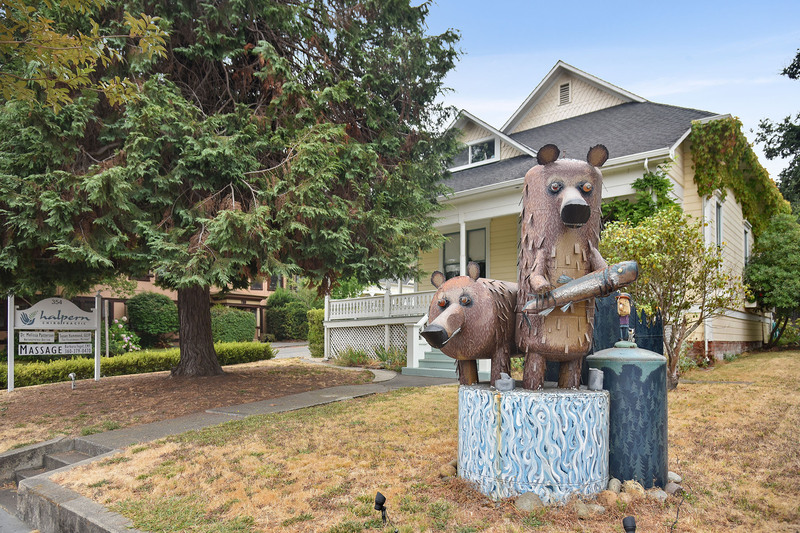 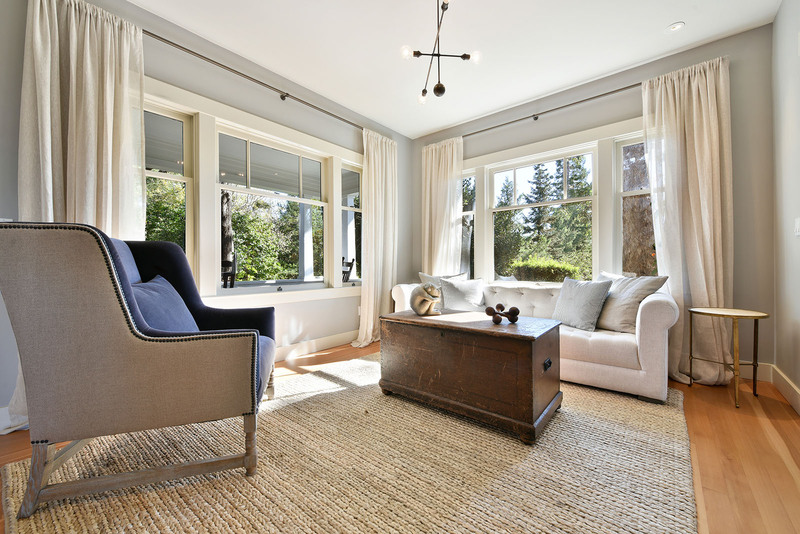 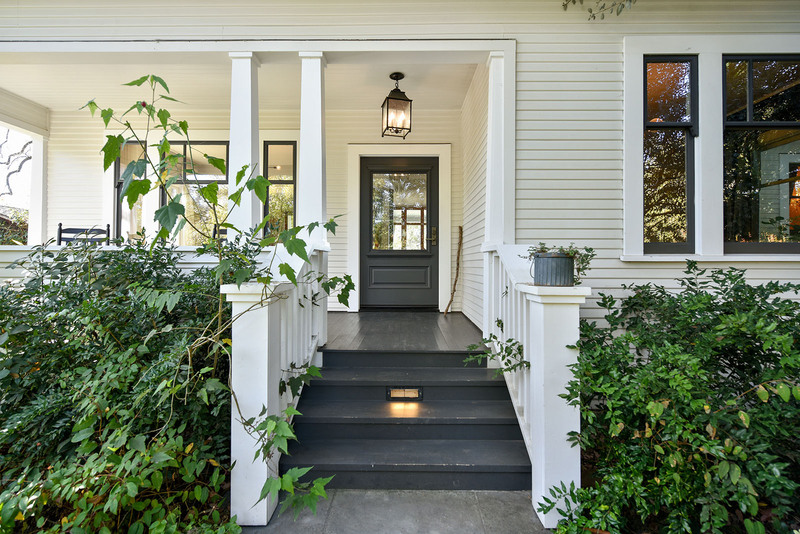 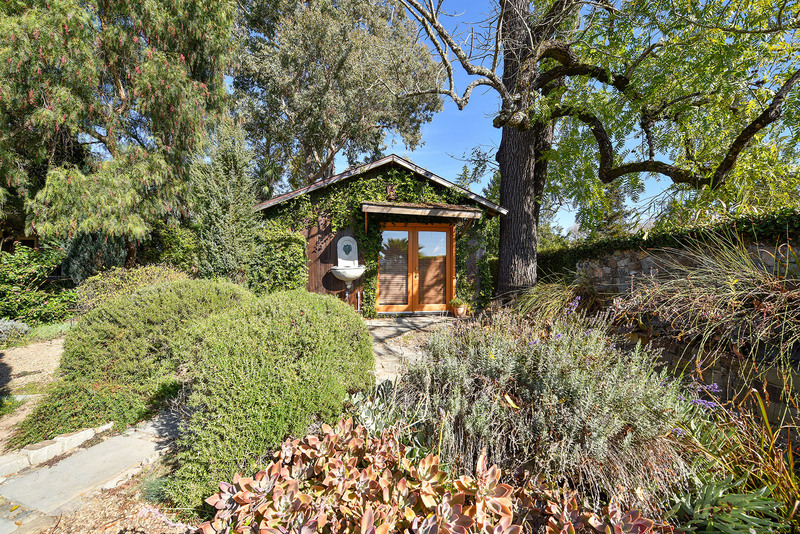 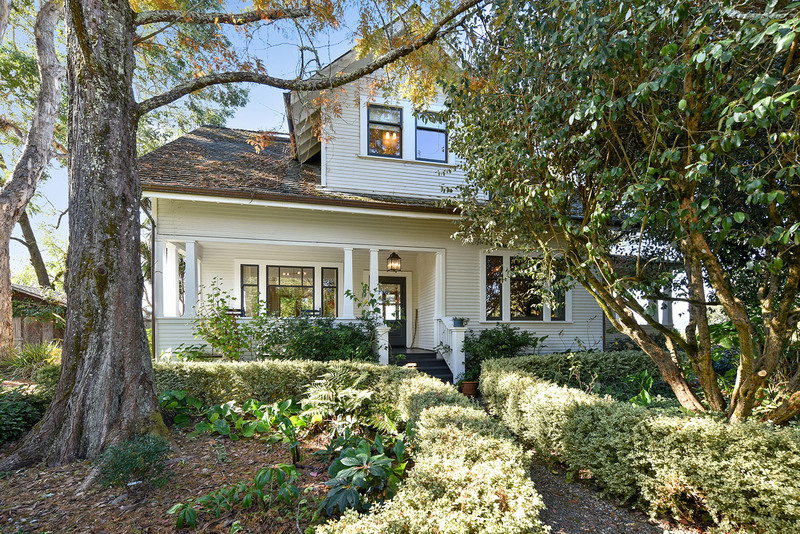 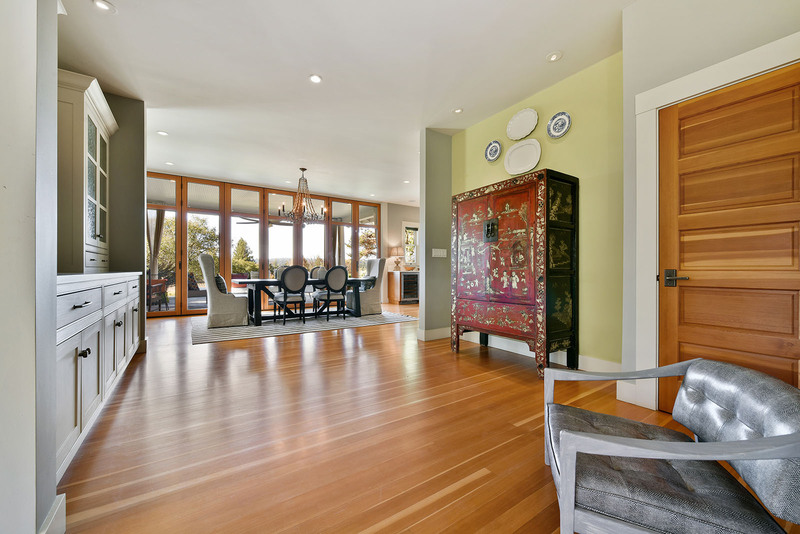 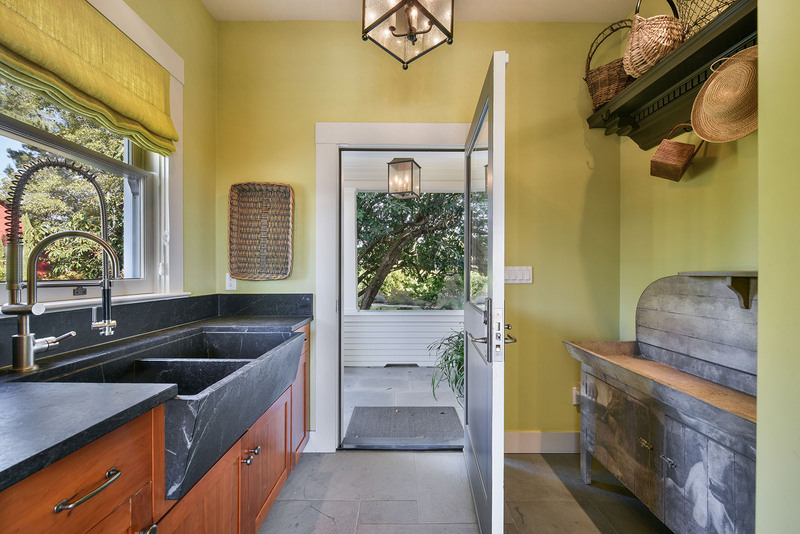 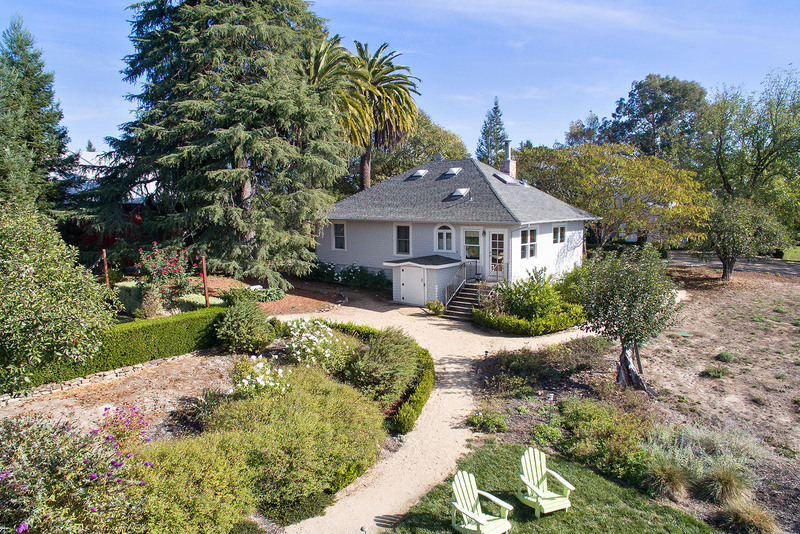 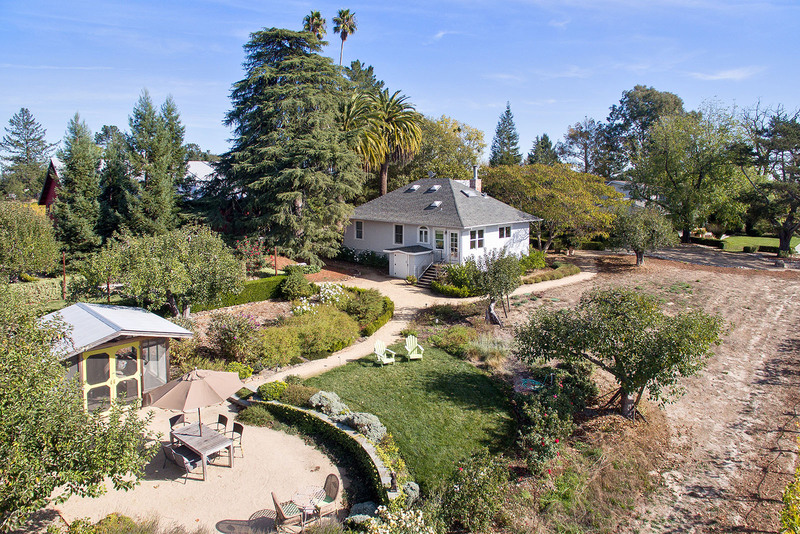 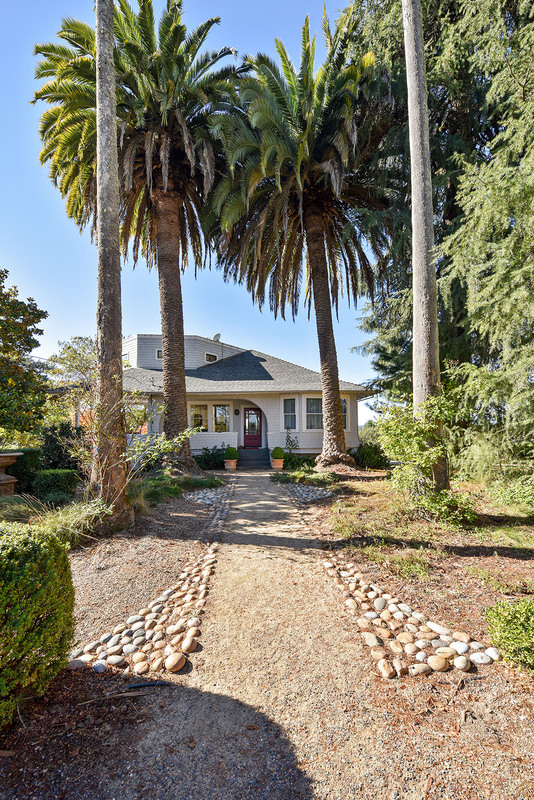 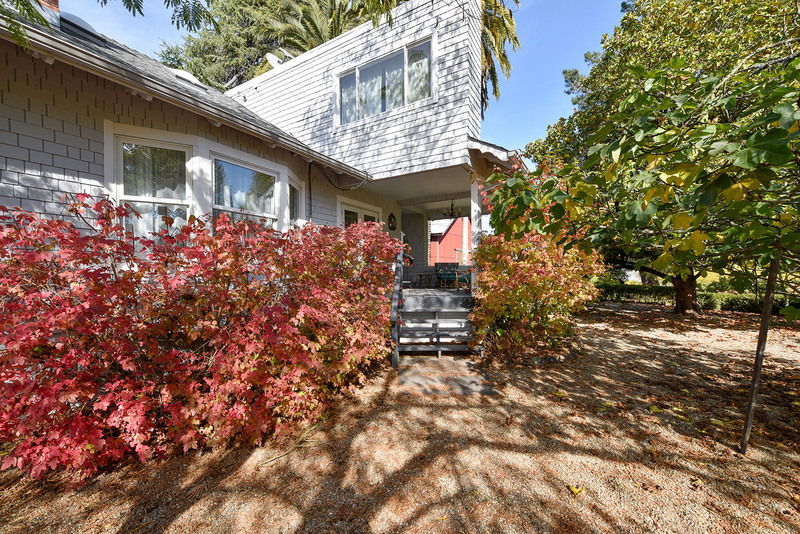 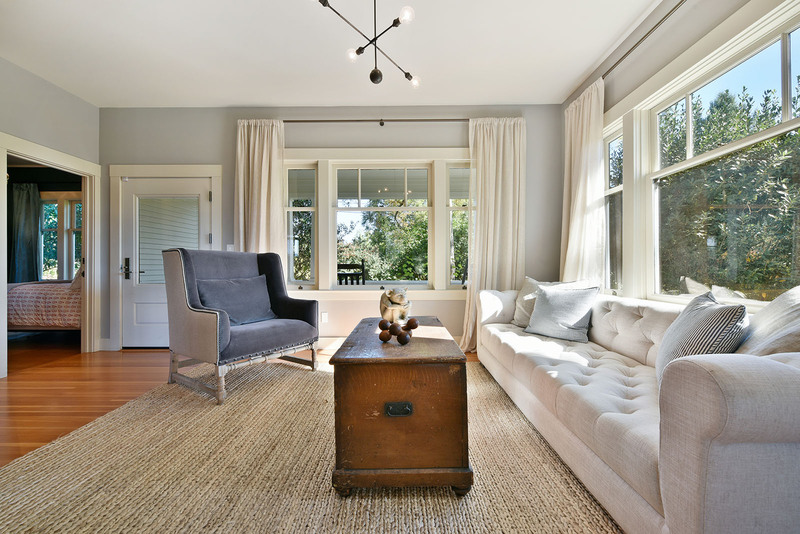 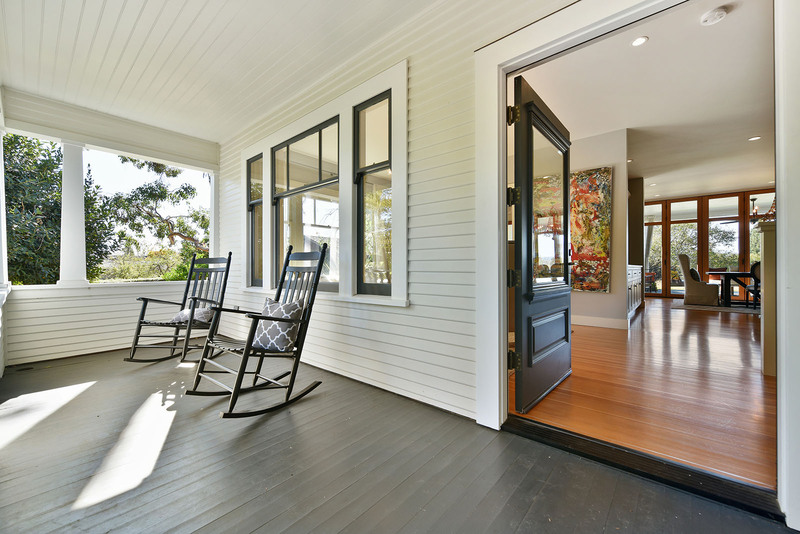 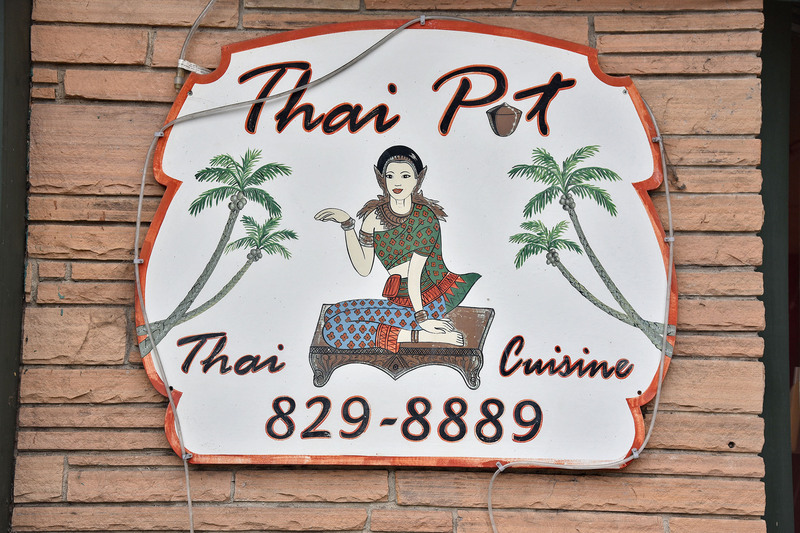 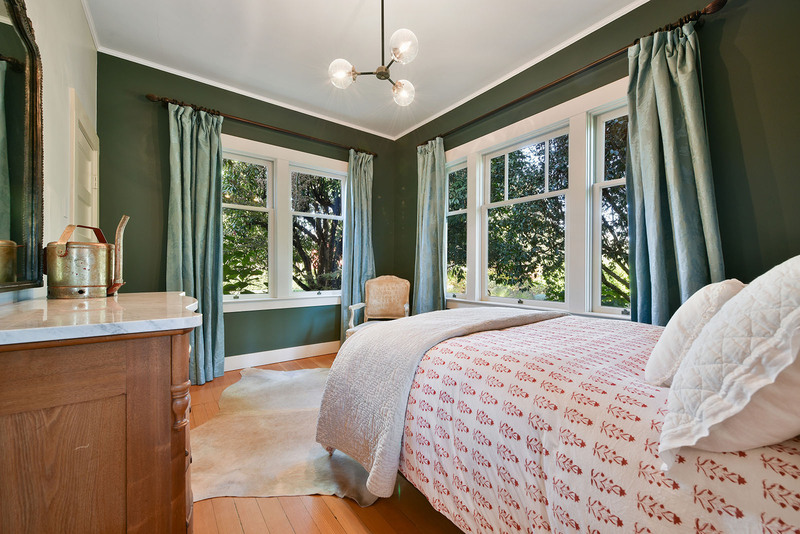 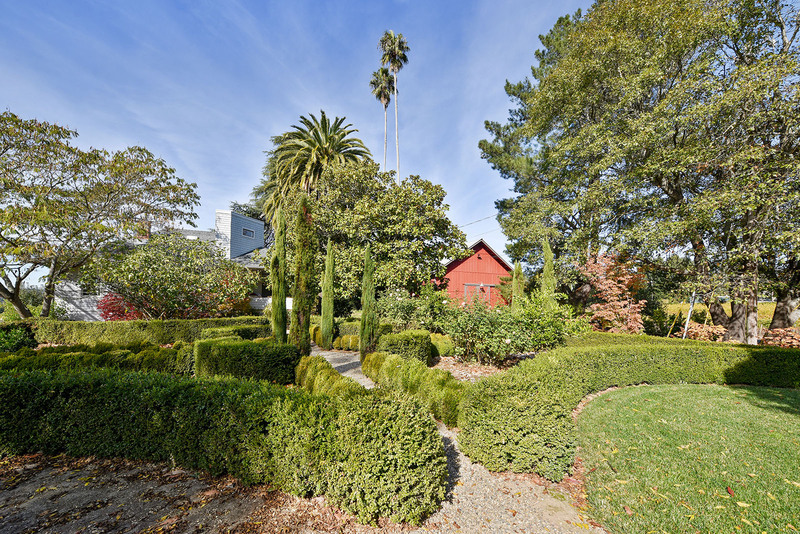 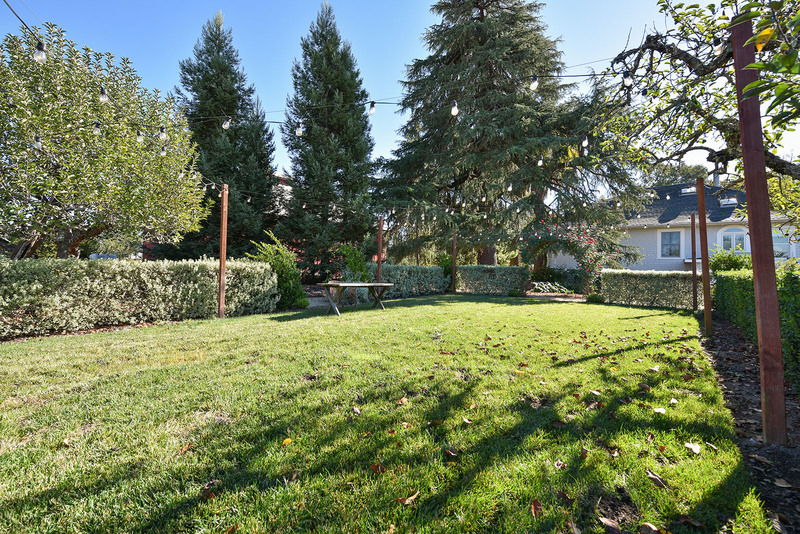 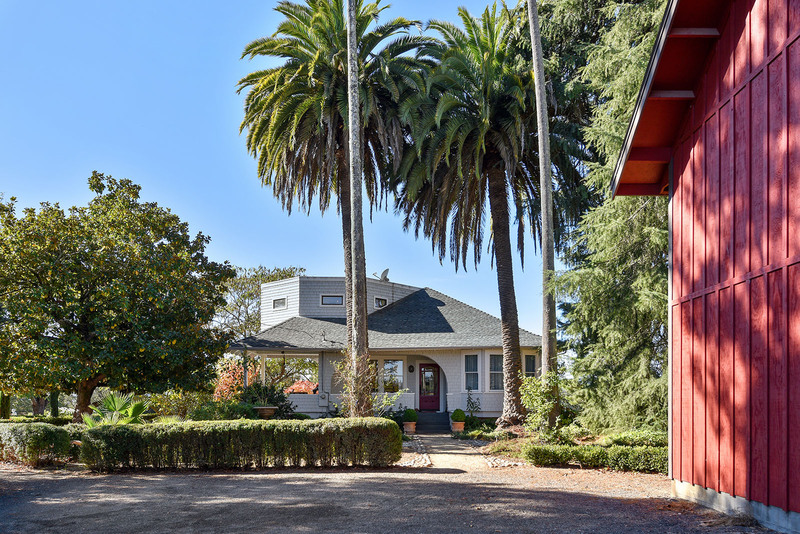 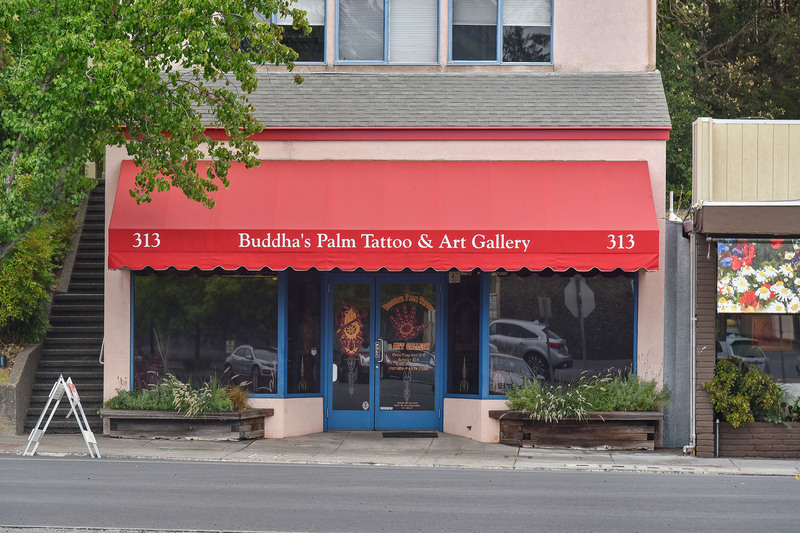 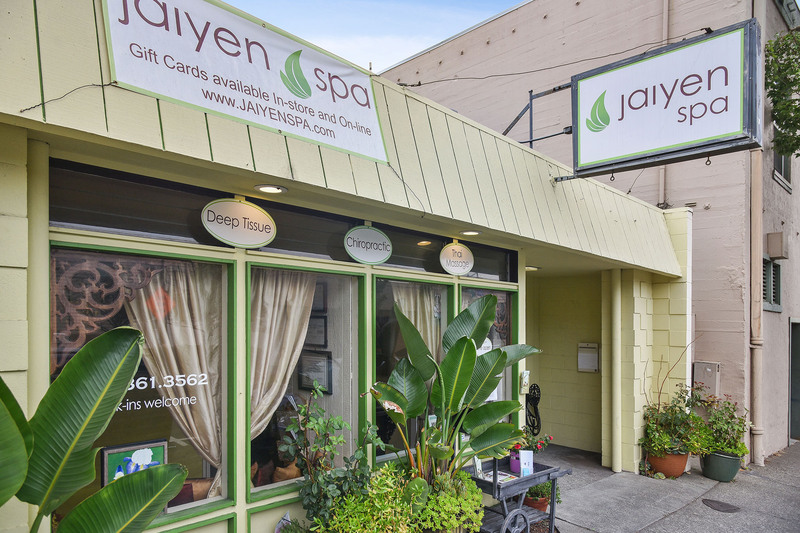 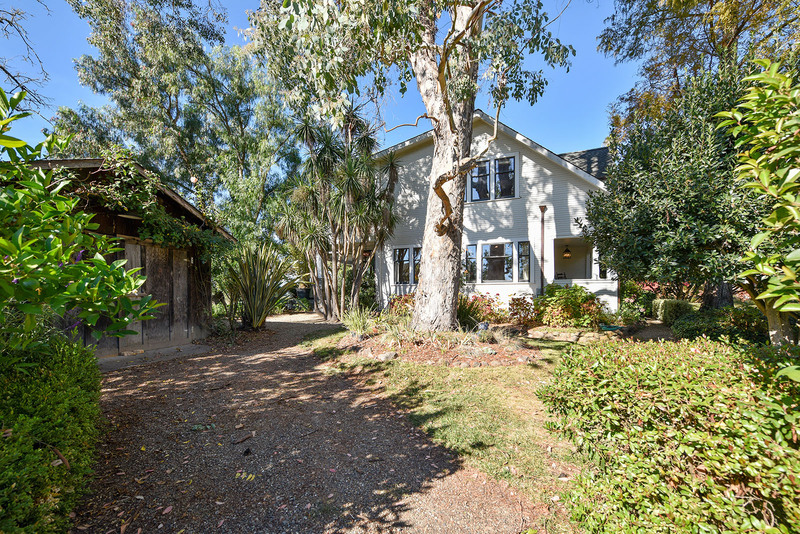 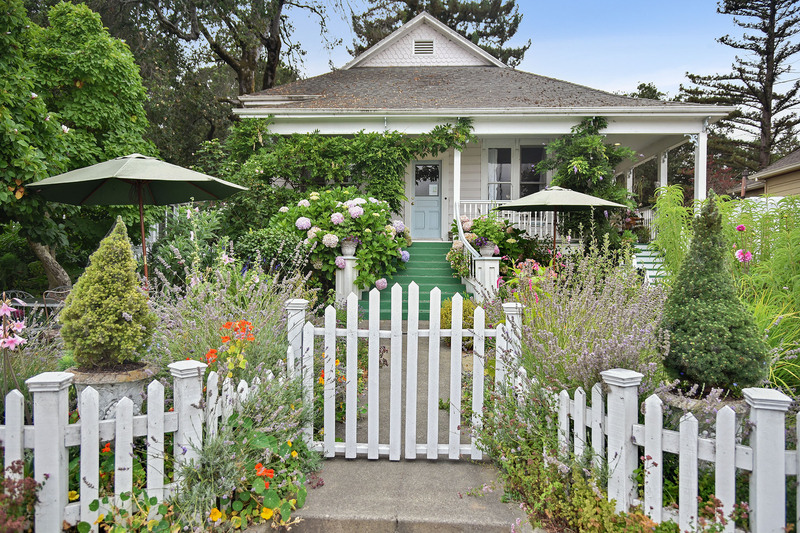 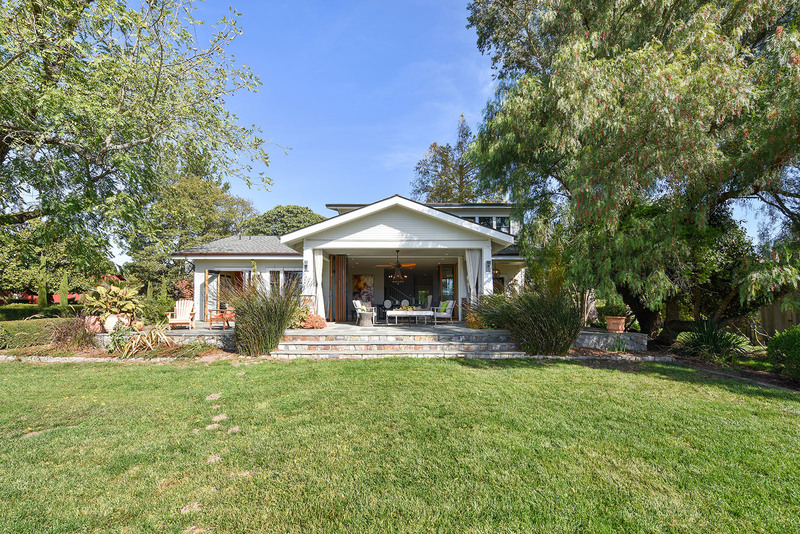 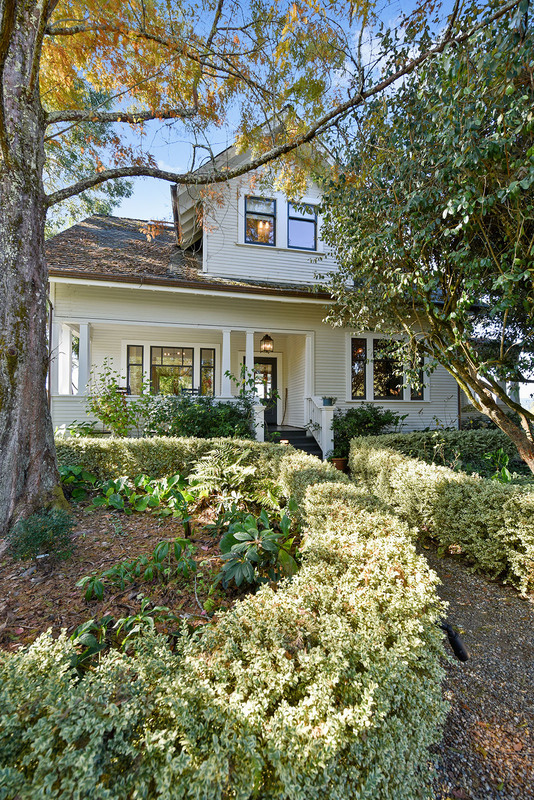 Close to the Sebastopol business district, 100-year old Craftsman bungalows predominate. 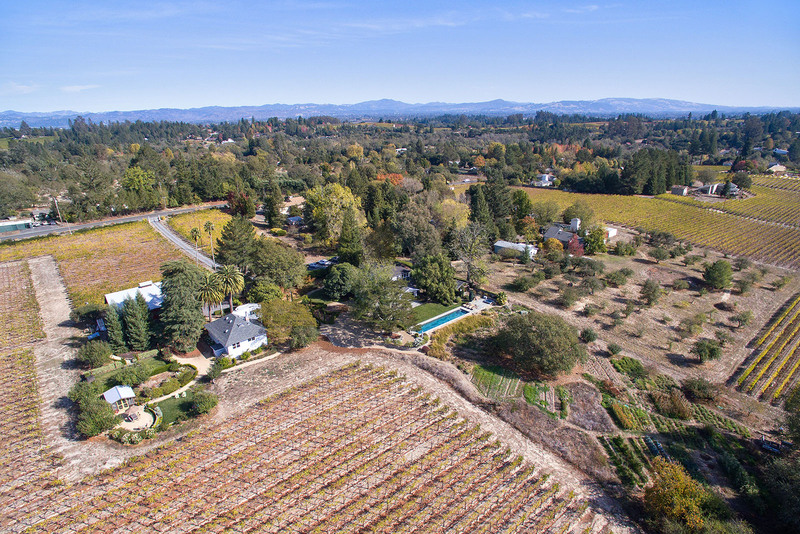 In the countryside, buyers can find custom homes on properties with vineyards, apple orchards, redwoods, and streams. 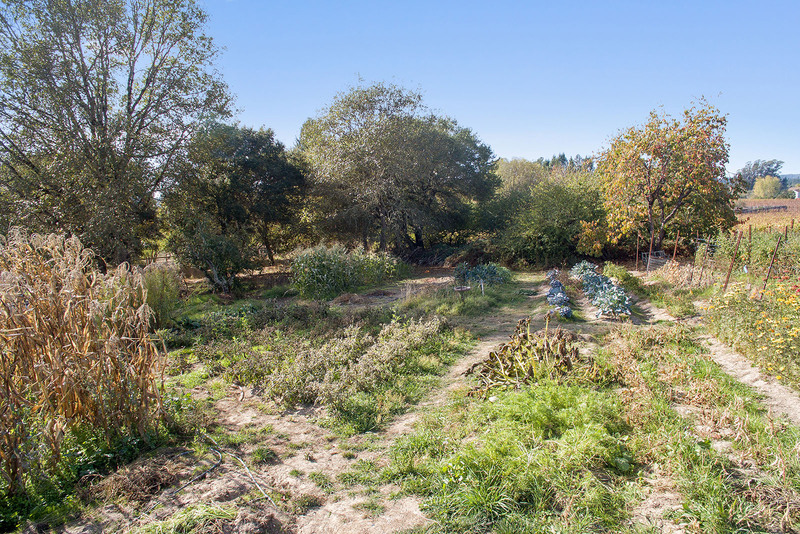 To promote the sustainable farming and locavore movement, Sonoma County Farm Trails, an agritourism and farm-marketing group, offers tours of farms, ranches, and vineyards around Sebastopol.